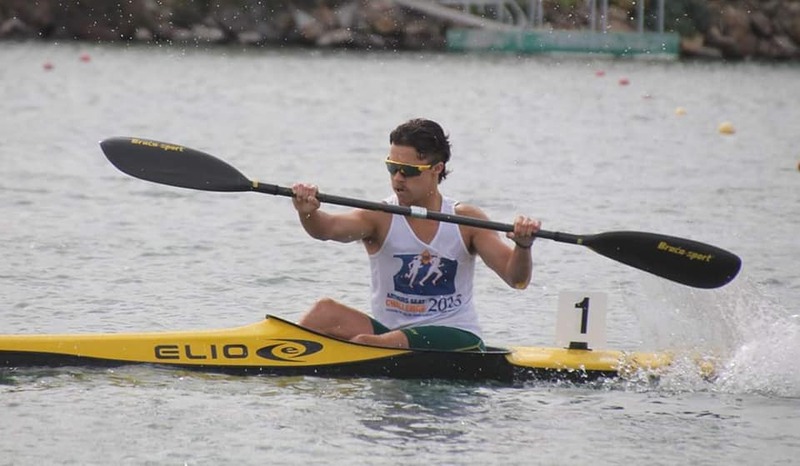 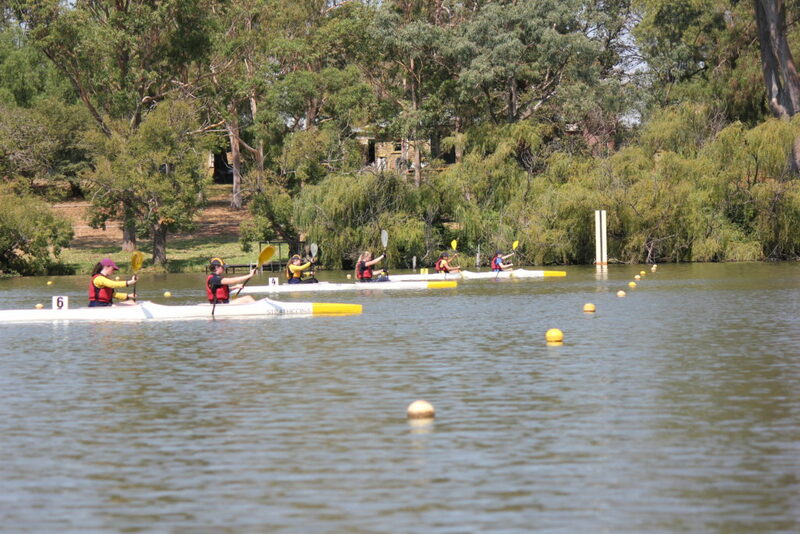 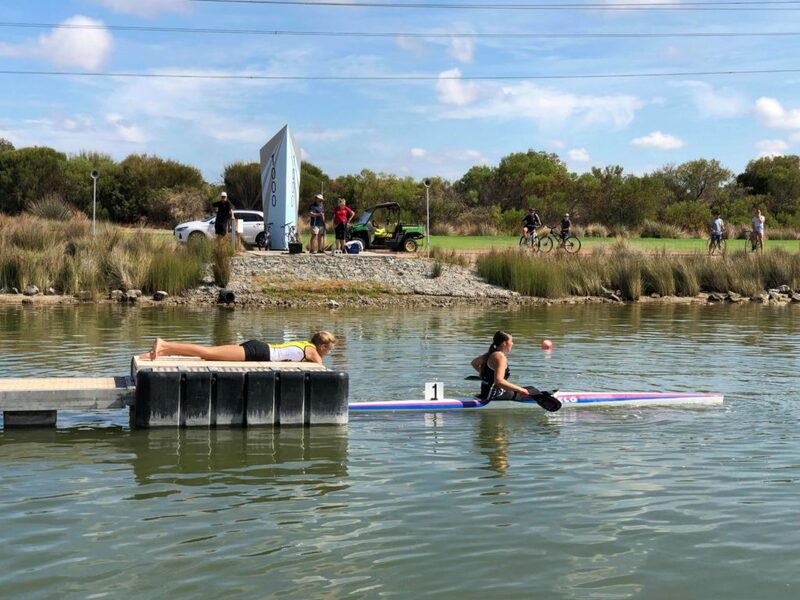 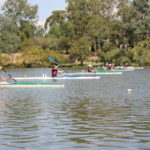 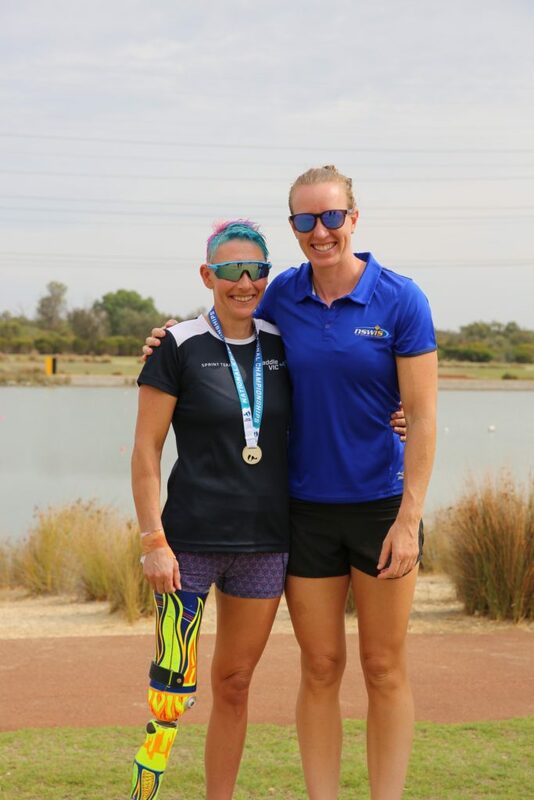 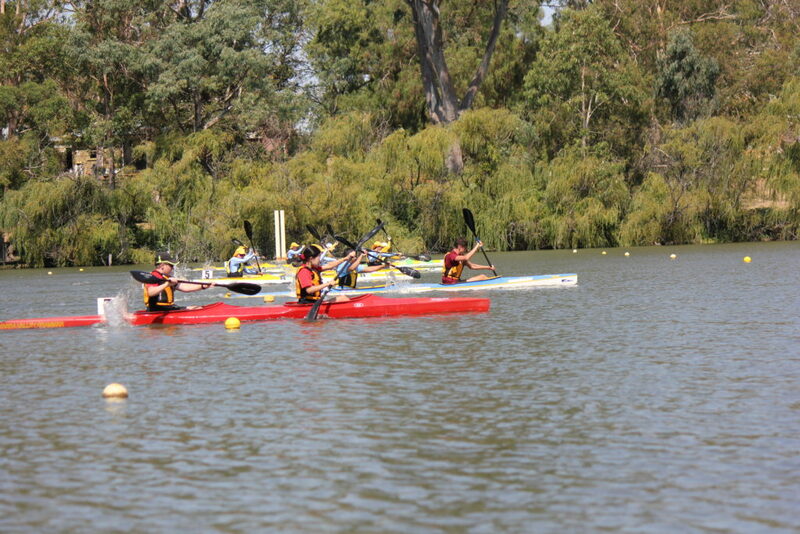 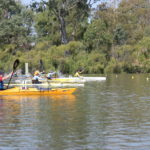 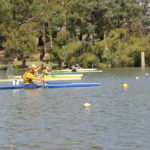 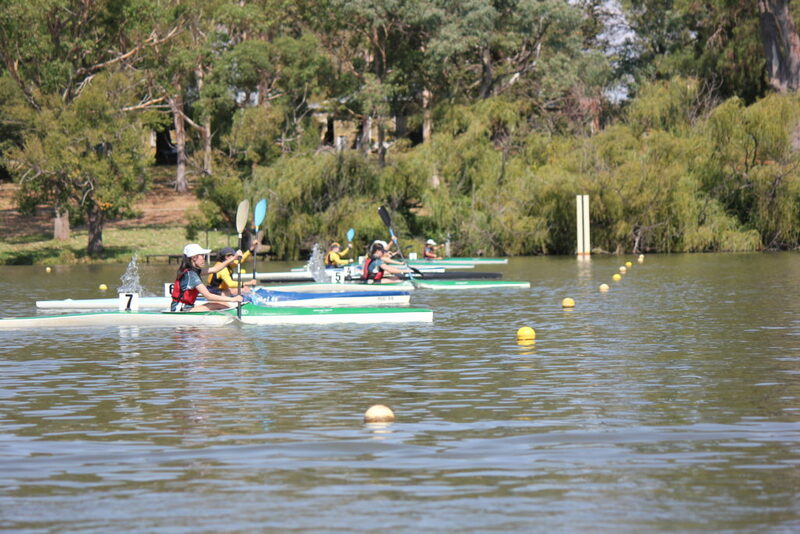 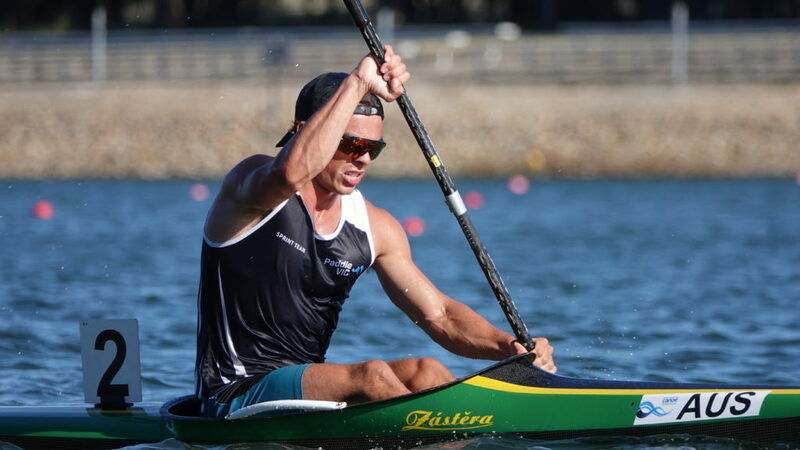 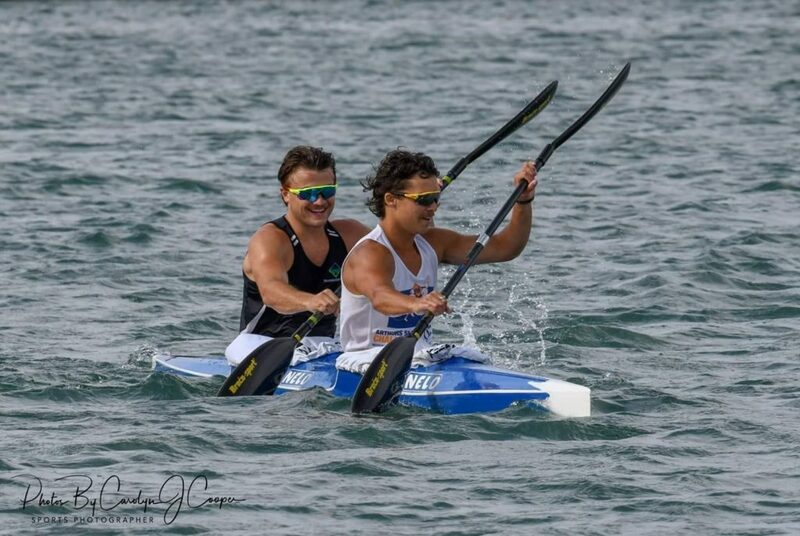 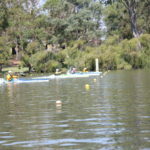 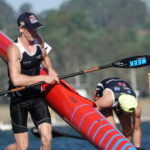 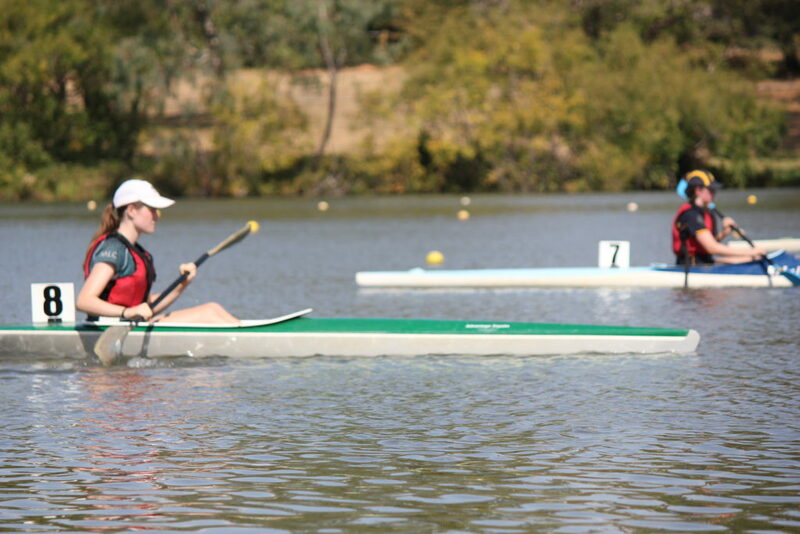 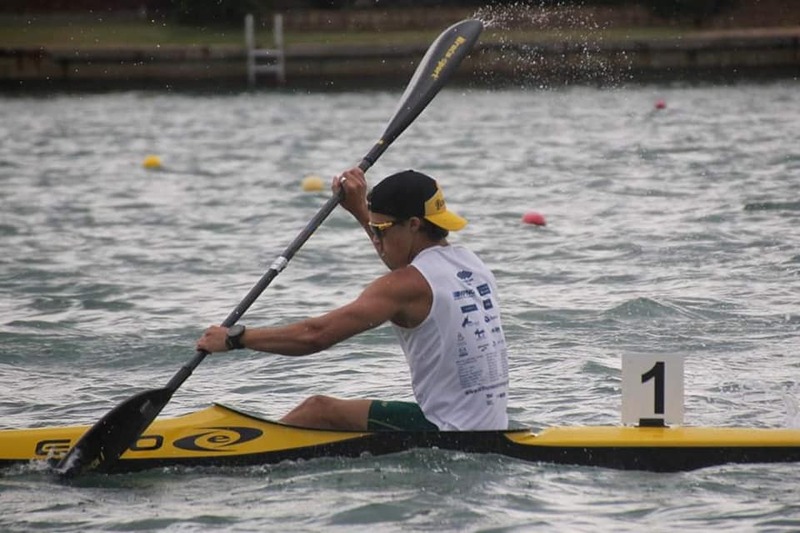 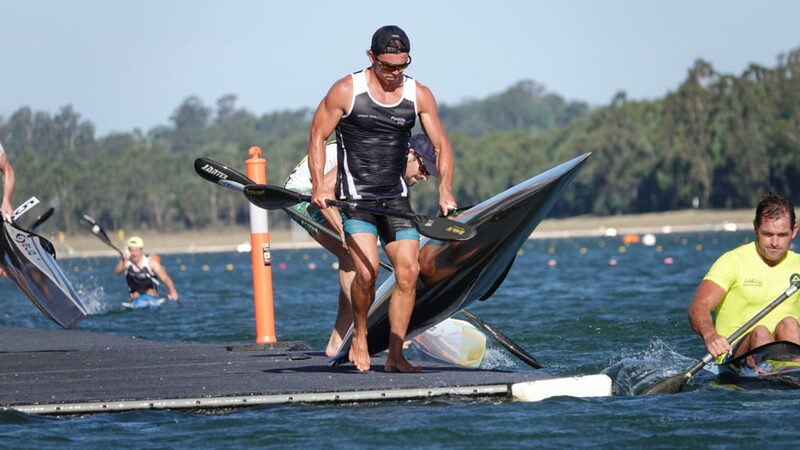 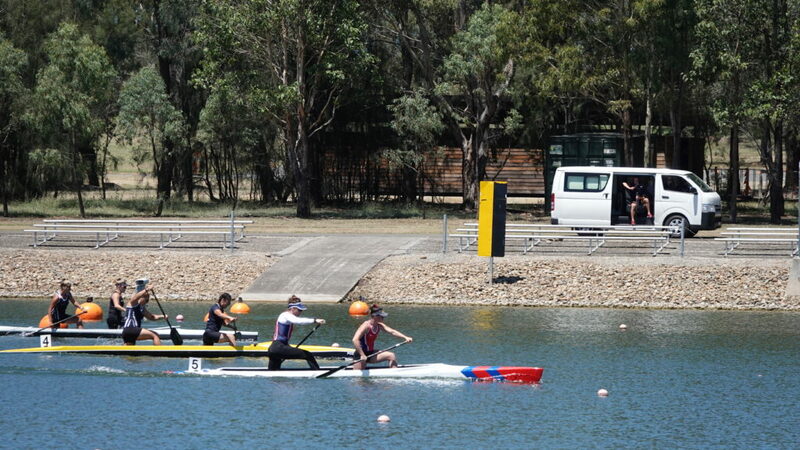 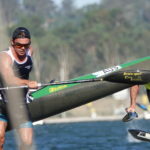 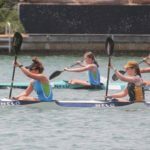 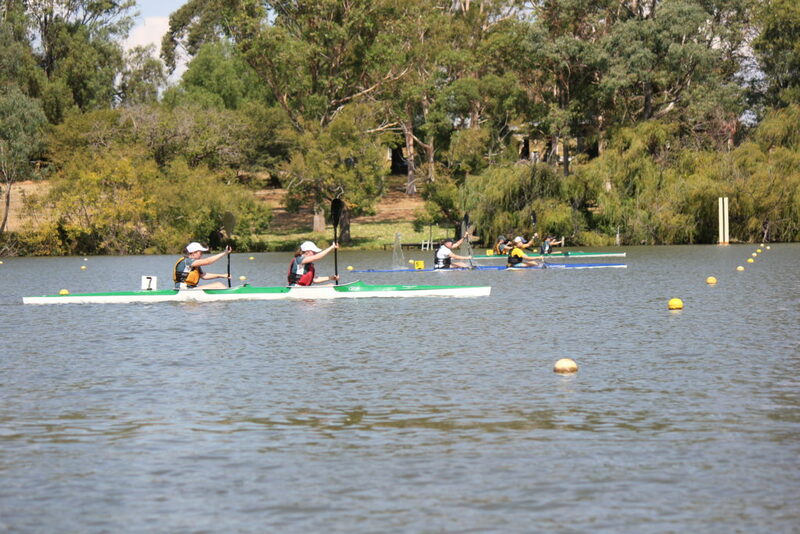 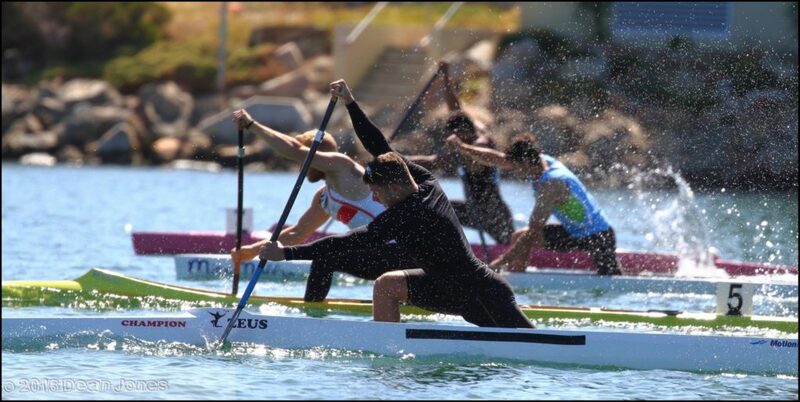 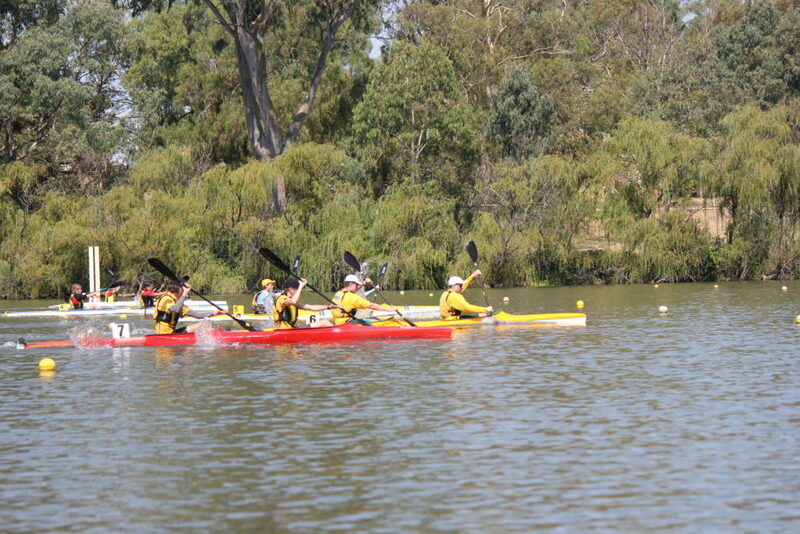 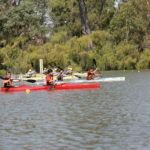 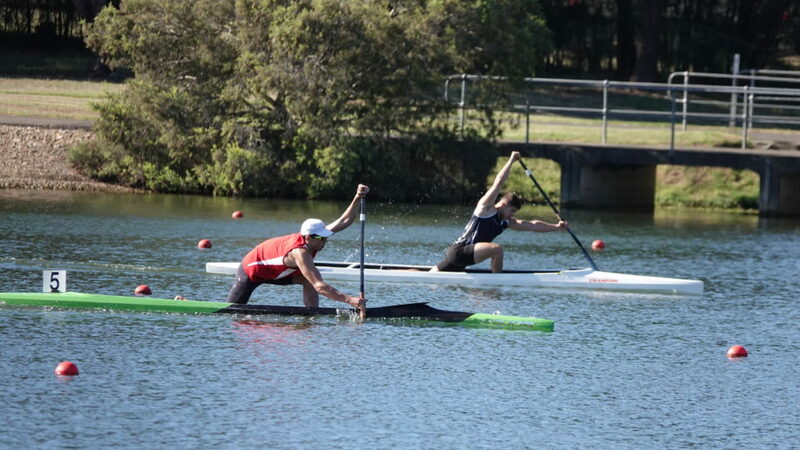 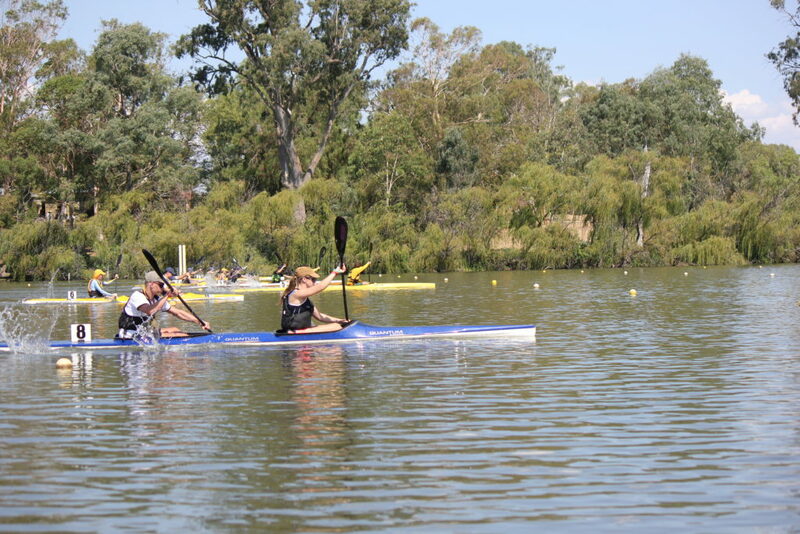 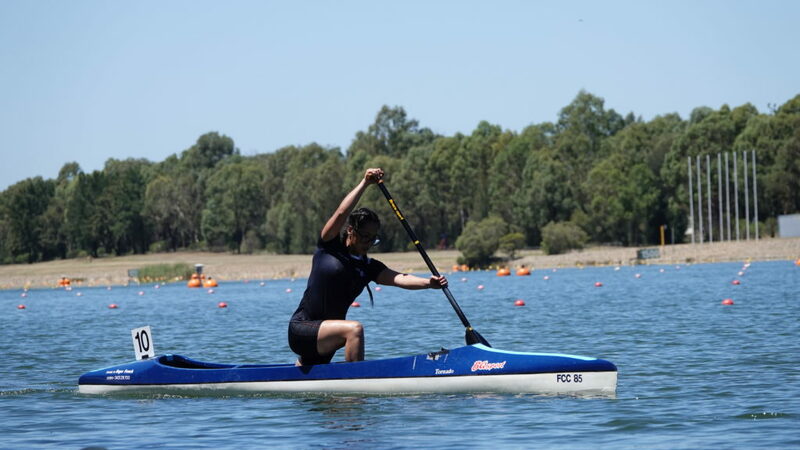 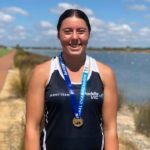 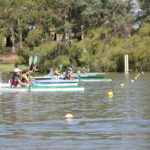 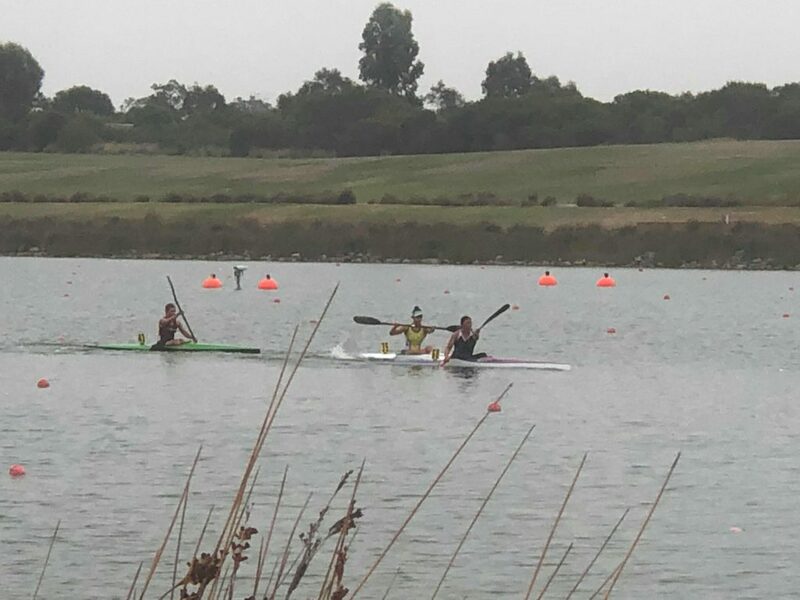 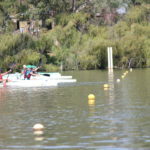 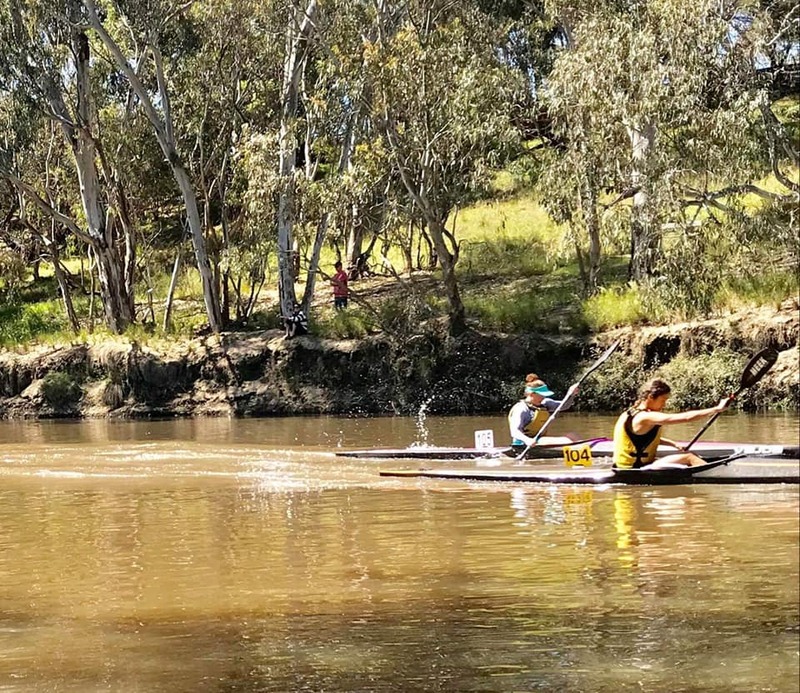 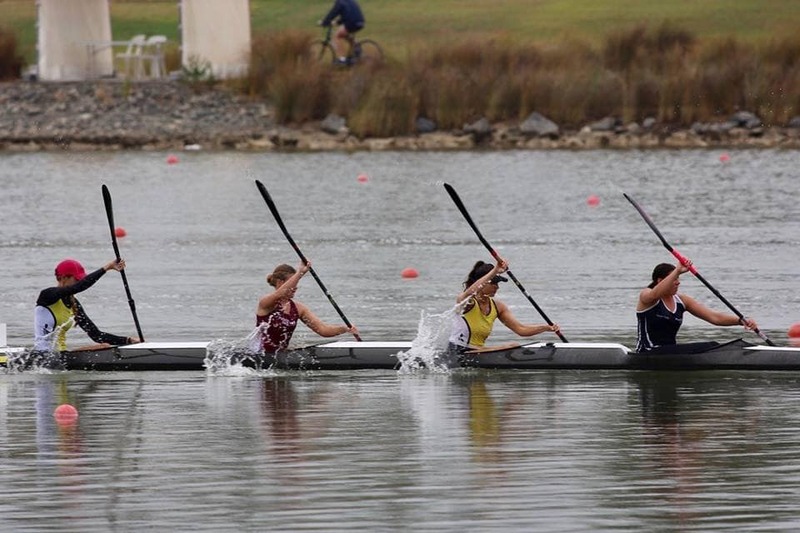 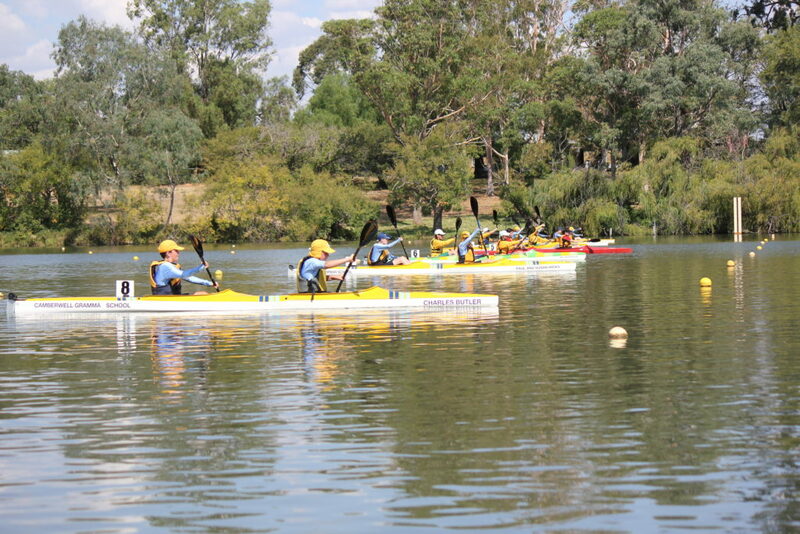 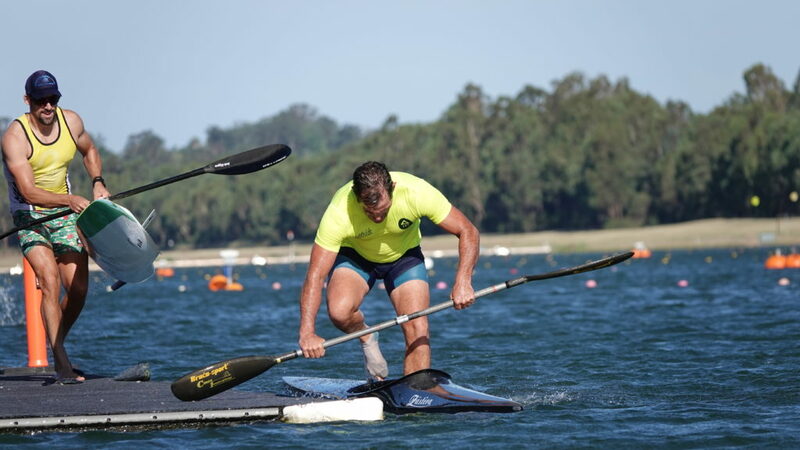 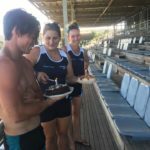 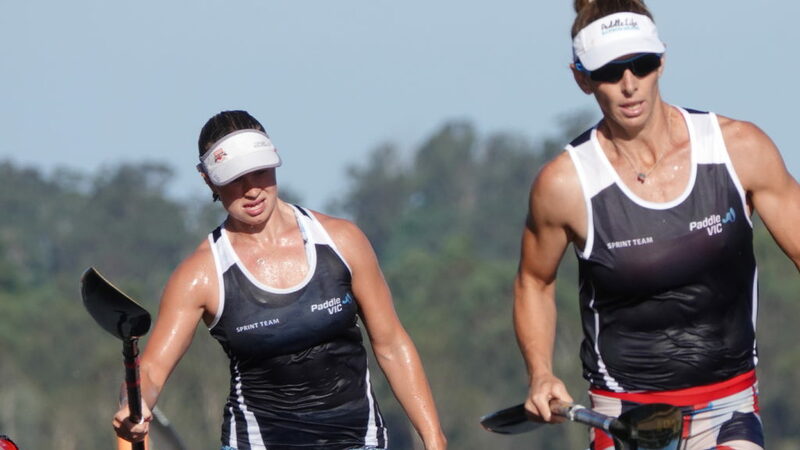 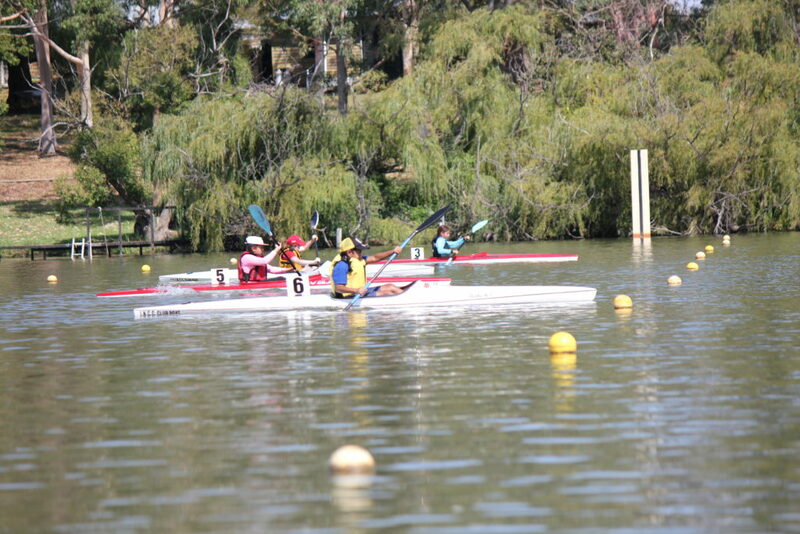 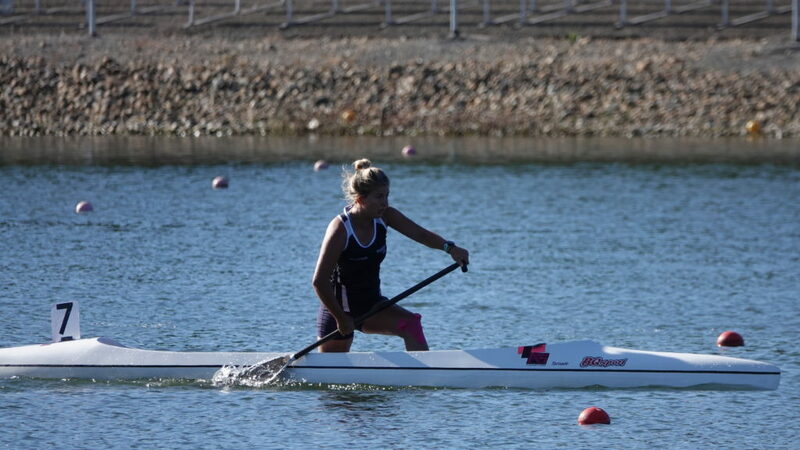 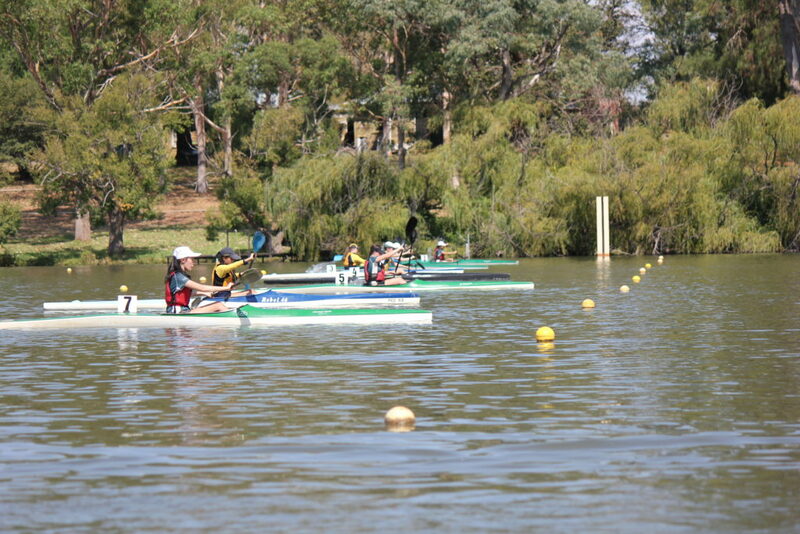 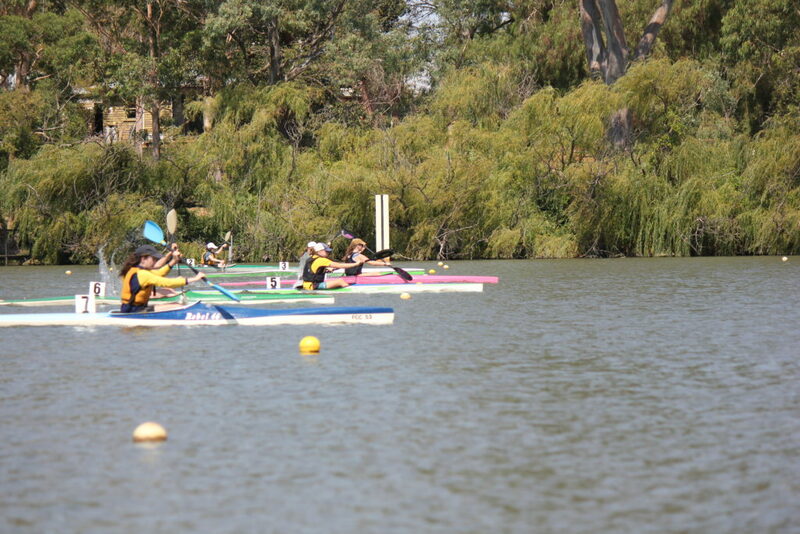 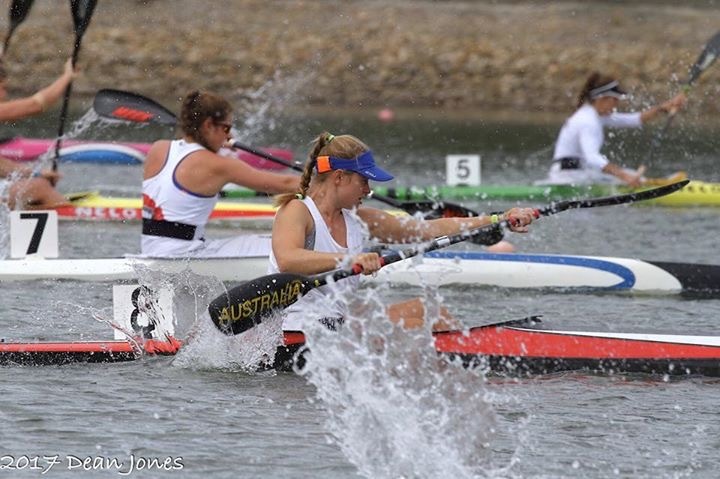 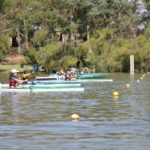 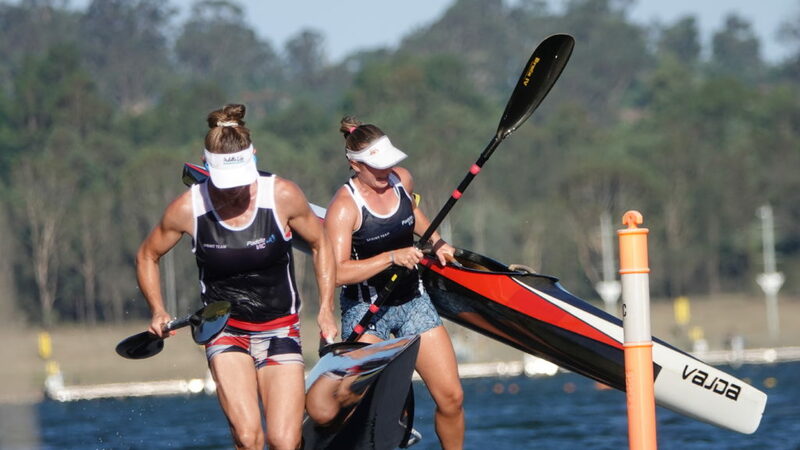 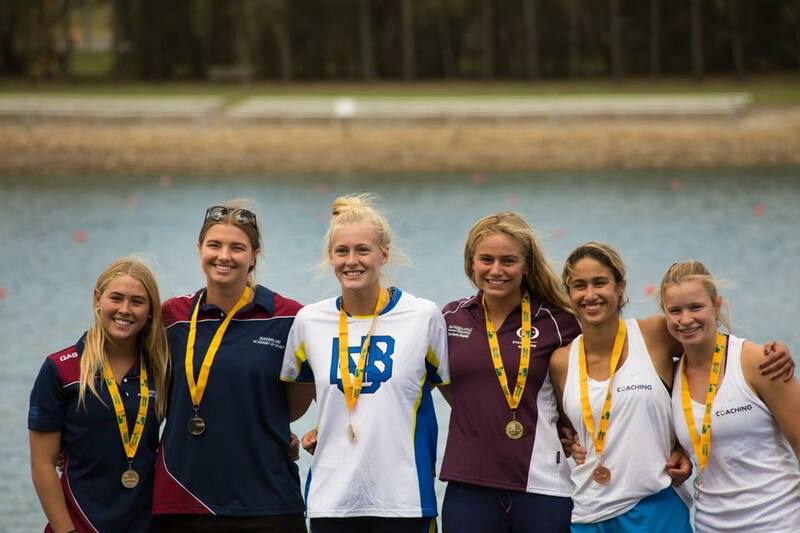 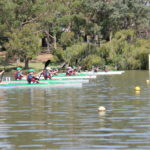 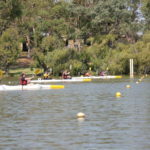 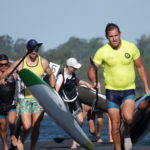 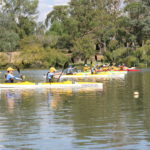 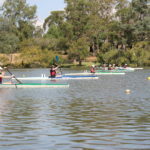 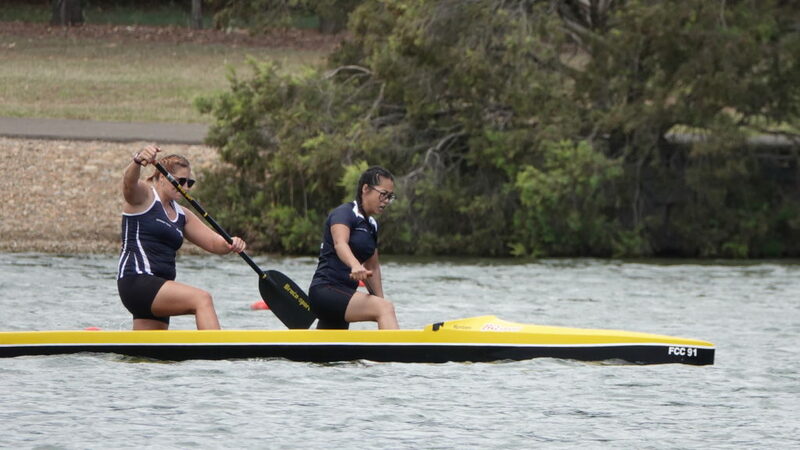 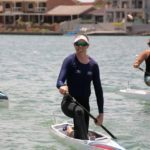 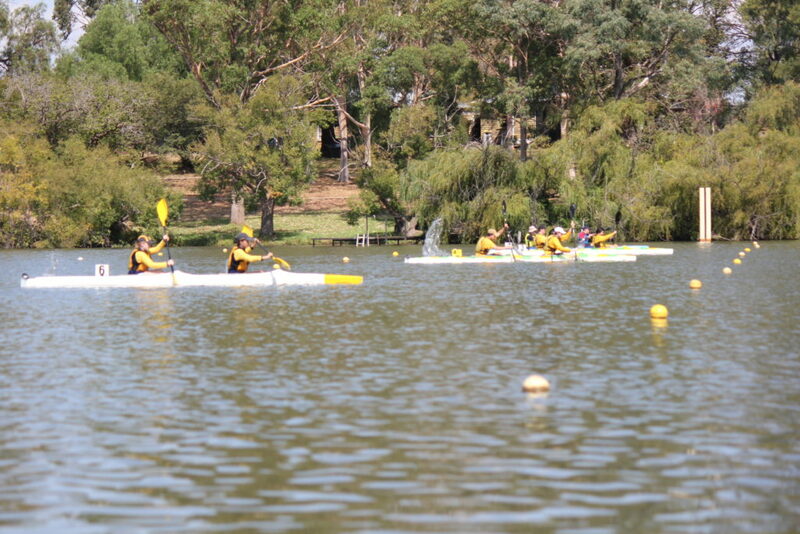 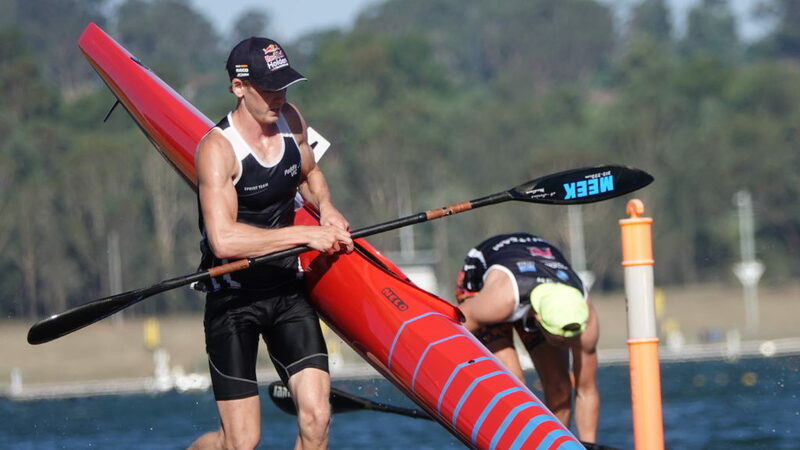 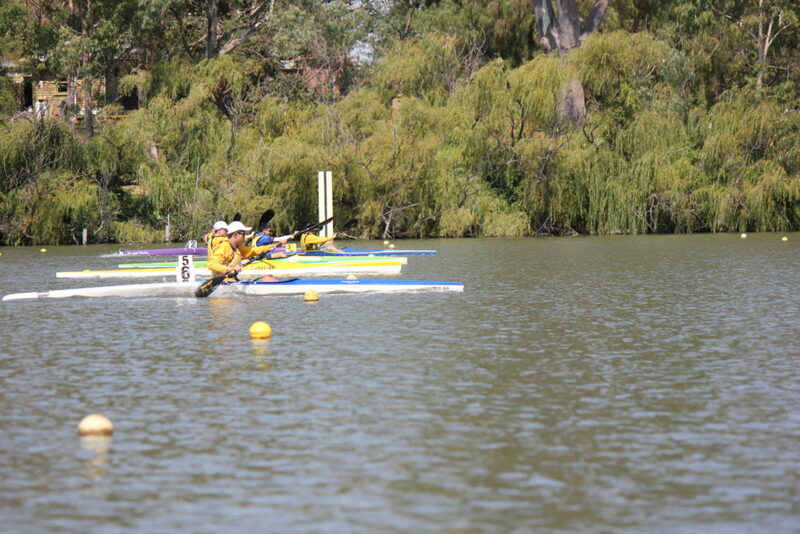 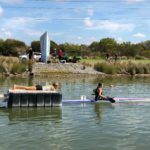 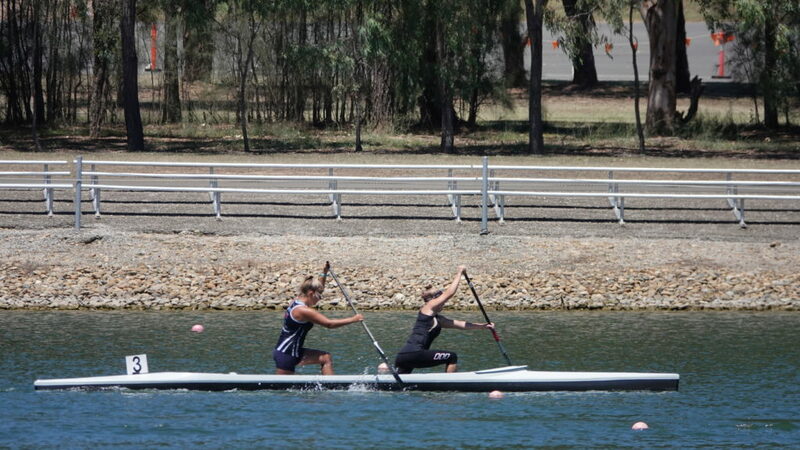 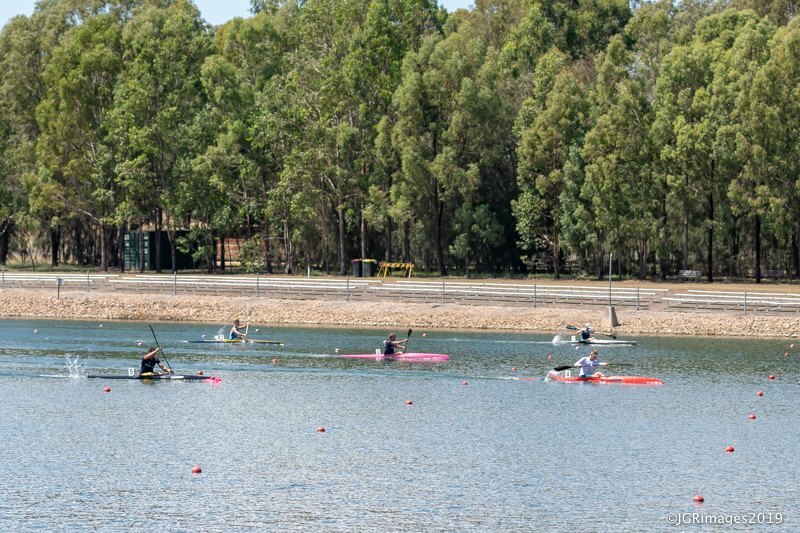 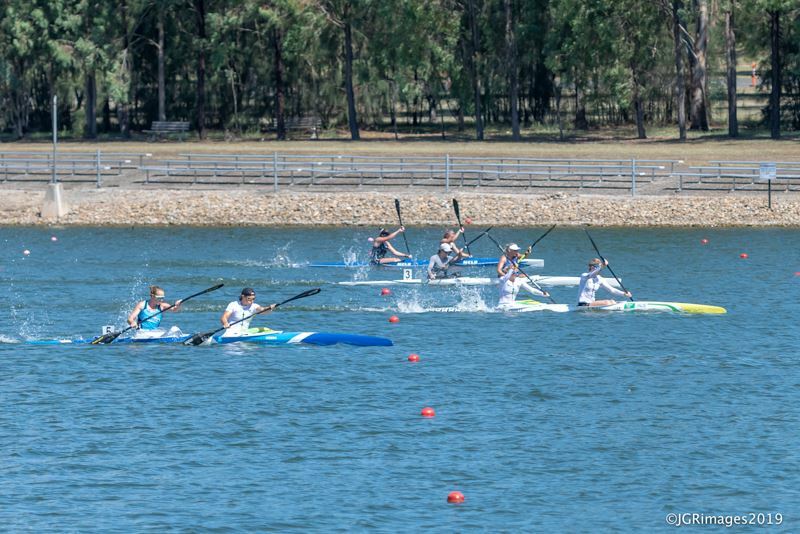 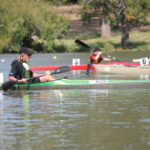 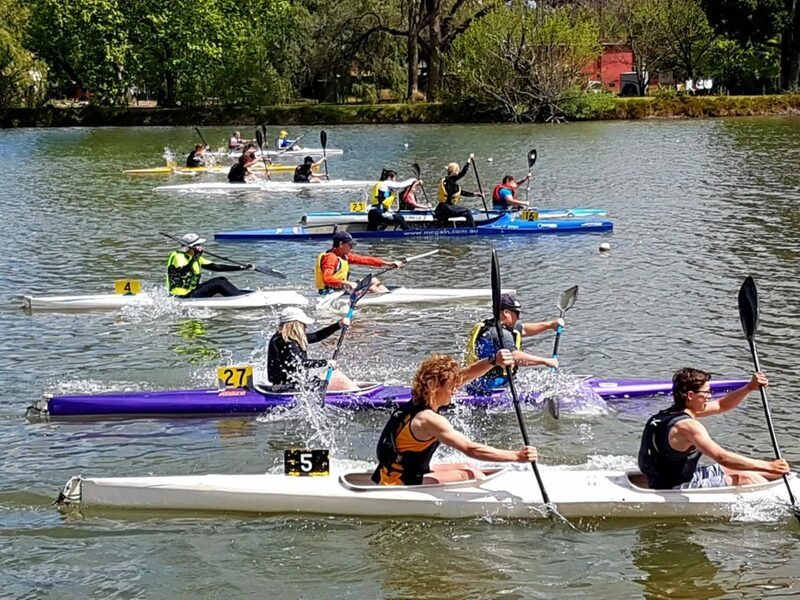 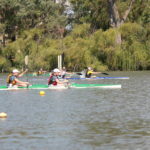 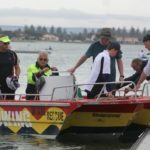 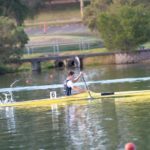 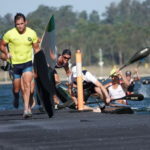 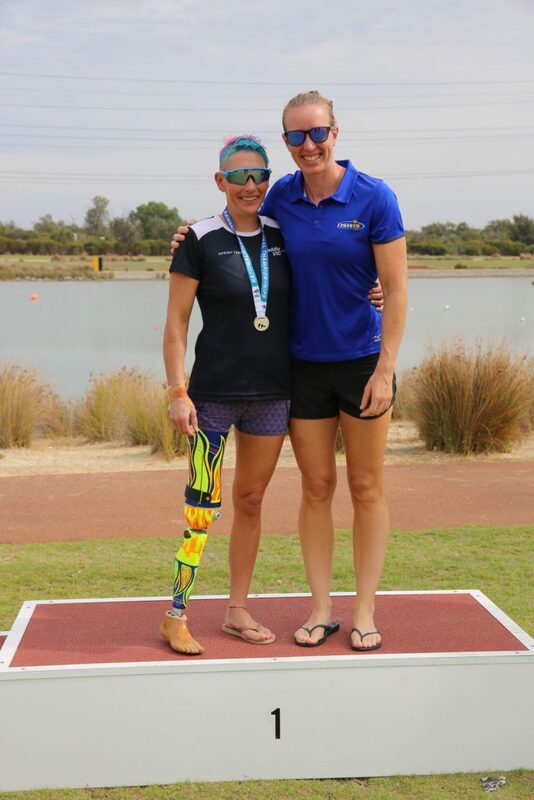 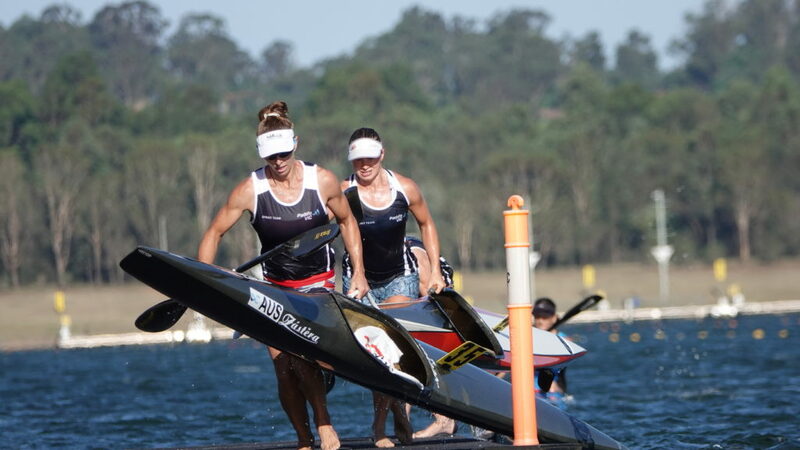 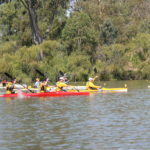 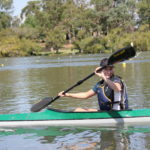 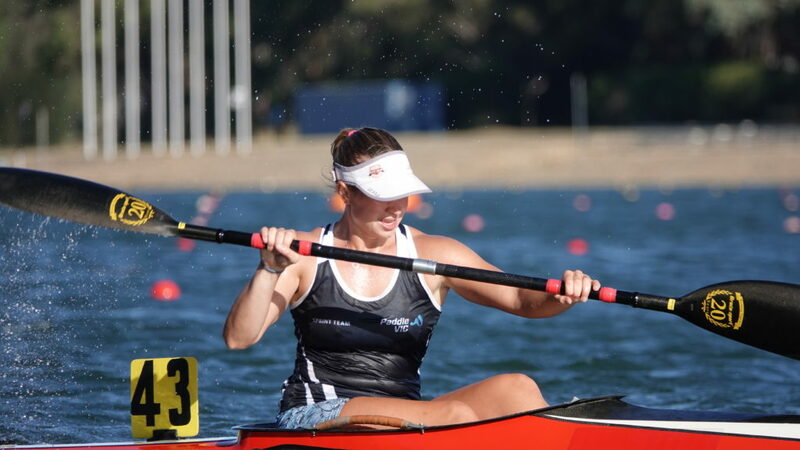 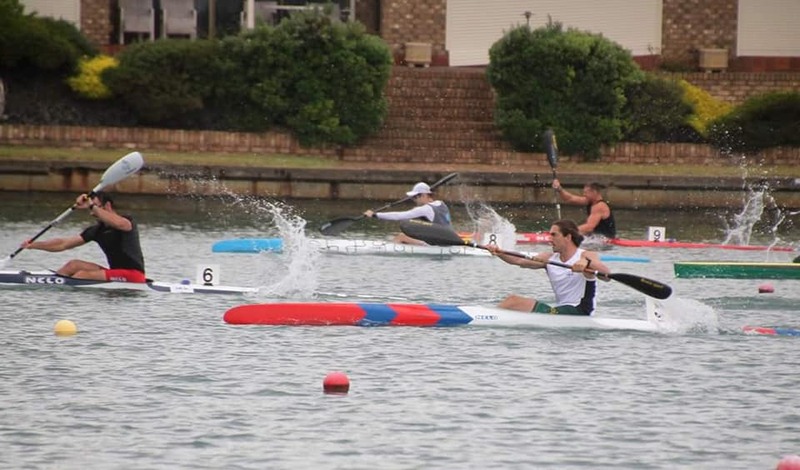 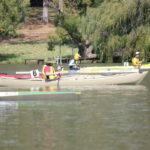 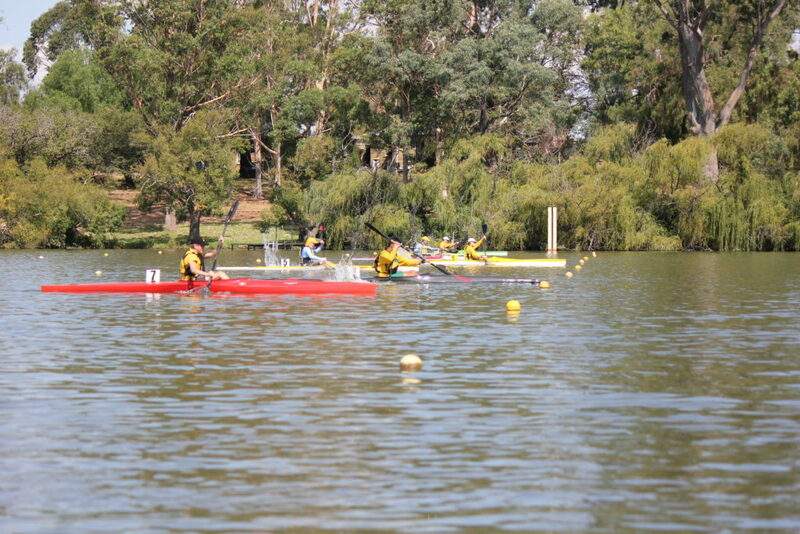 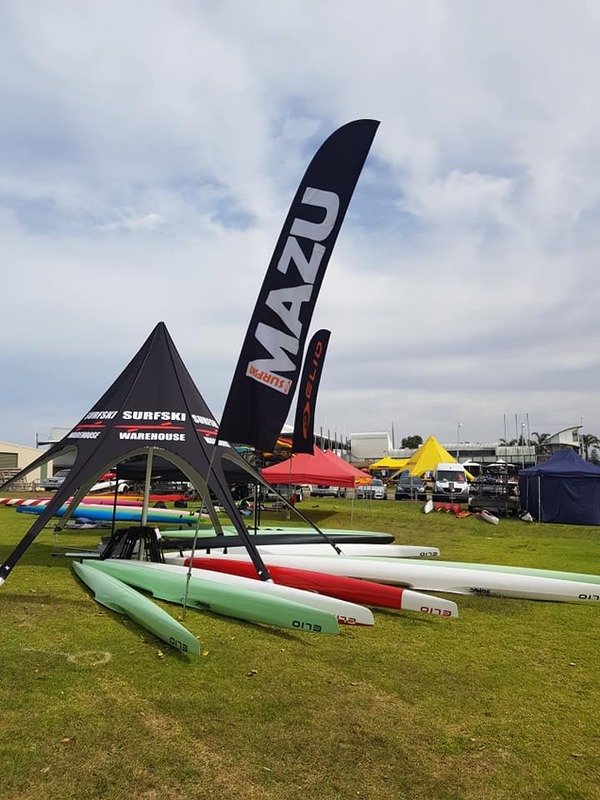 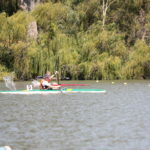 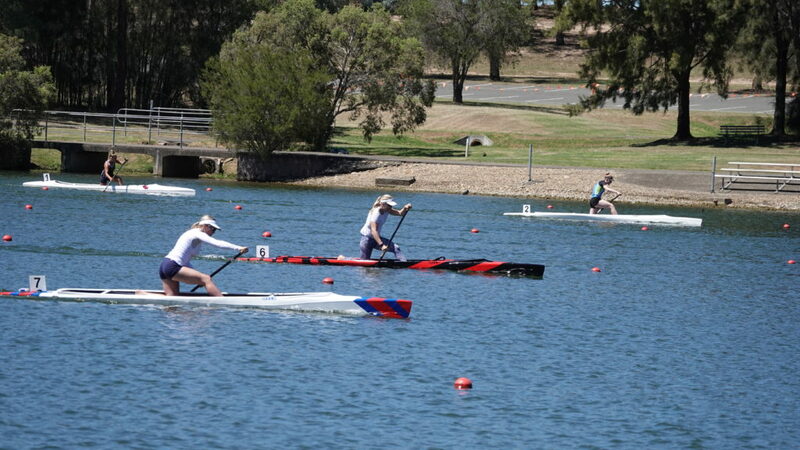 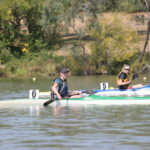 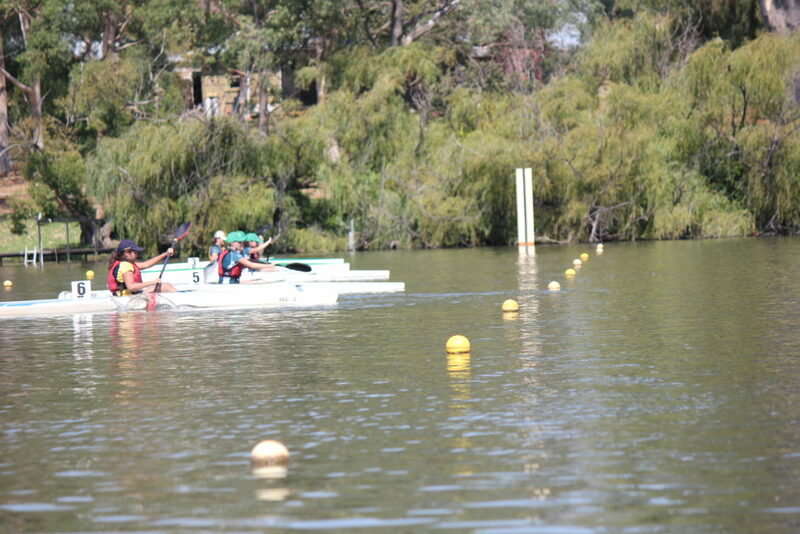 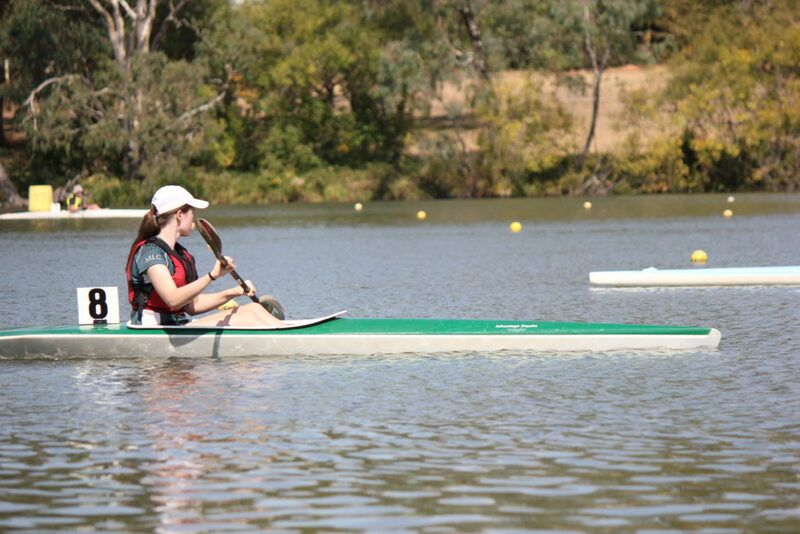 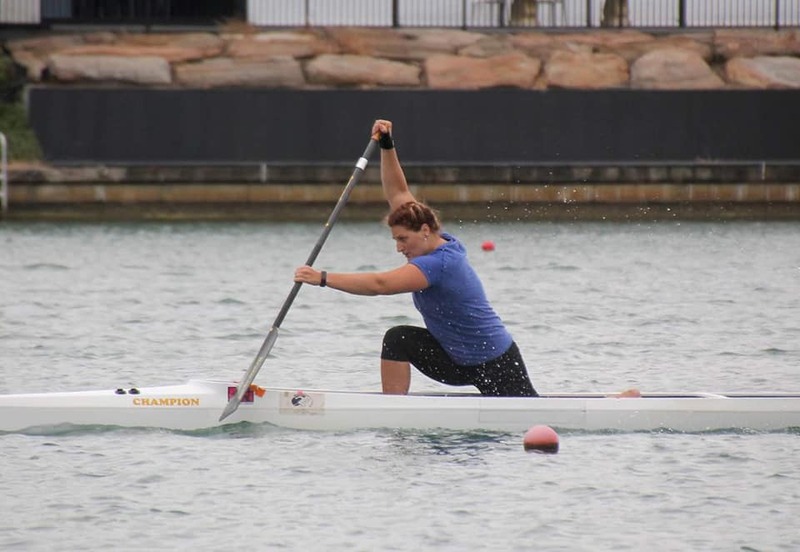 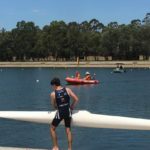 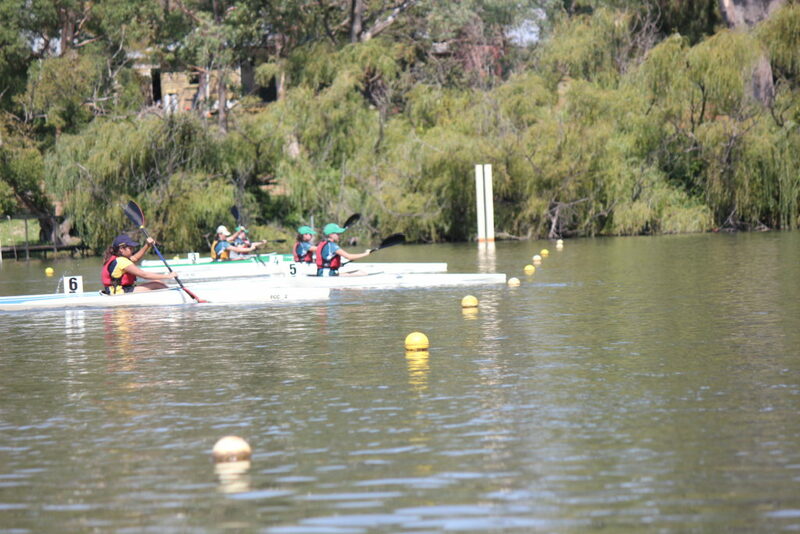 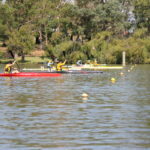 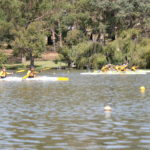 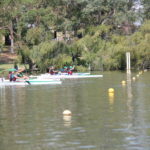 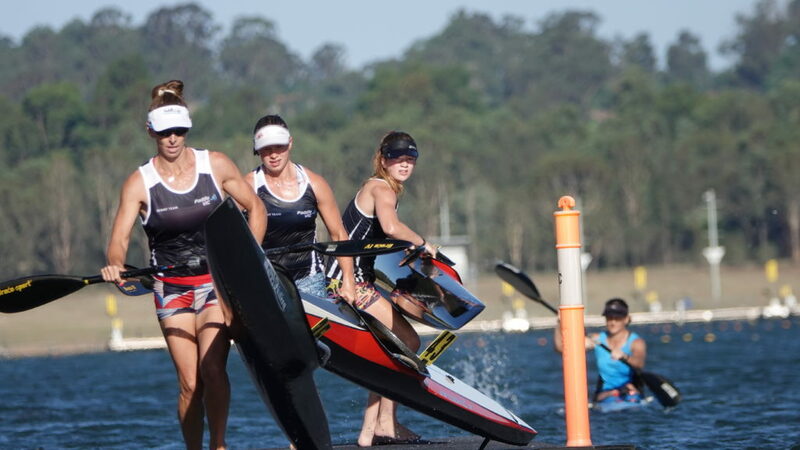 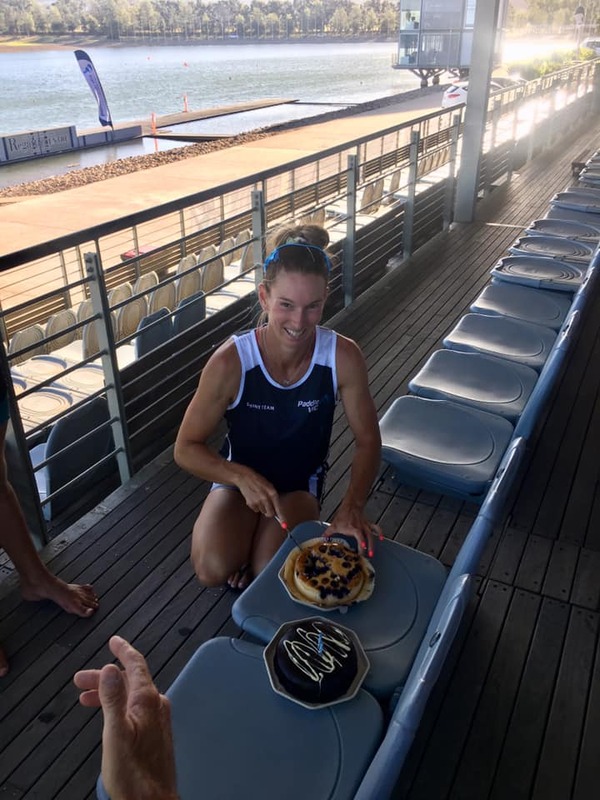 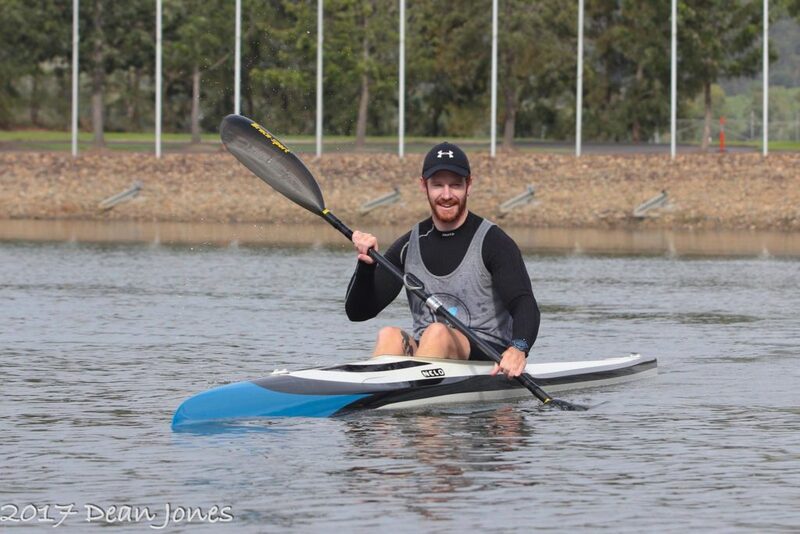 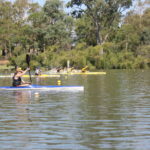 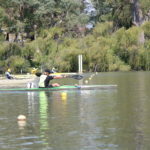 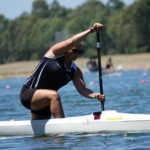 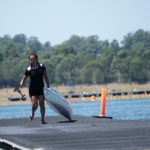 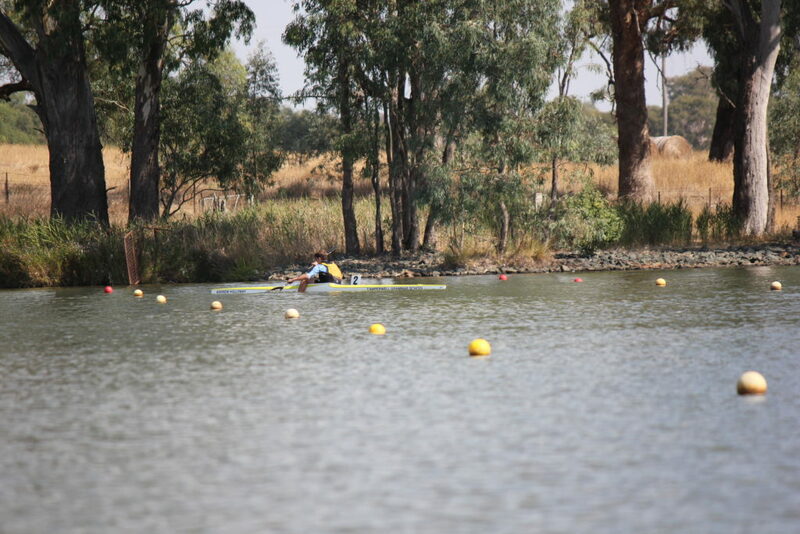 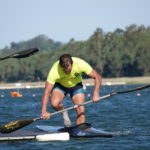 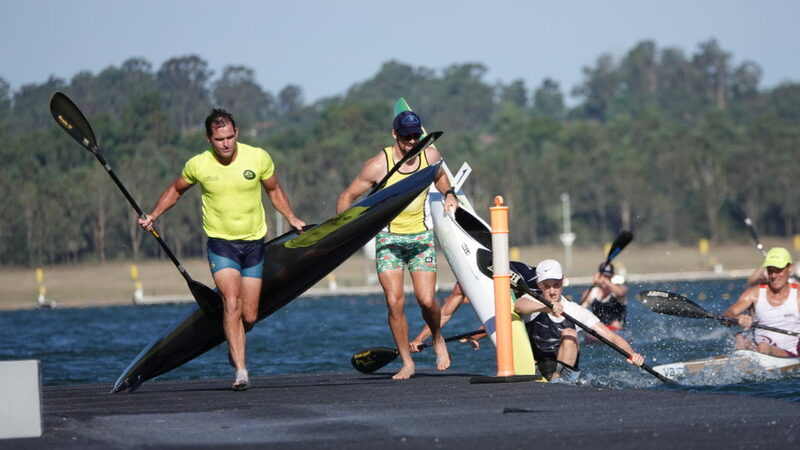 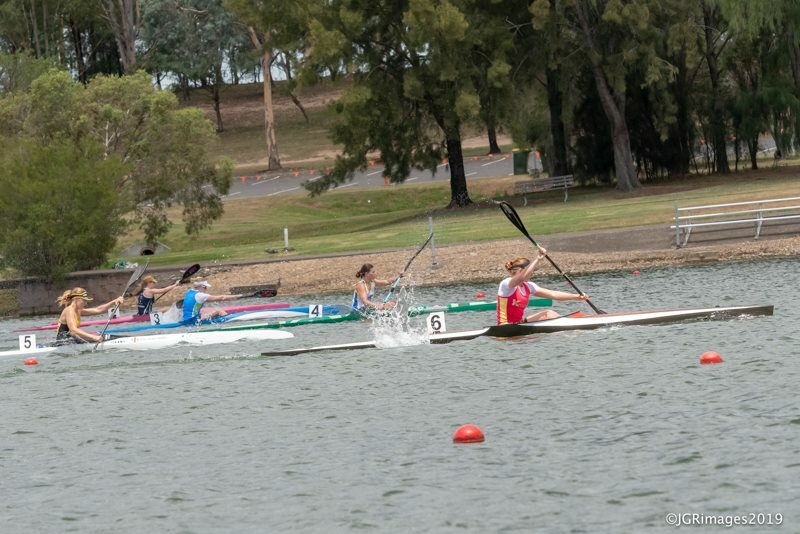 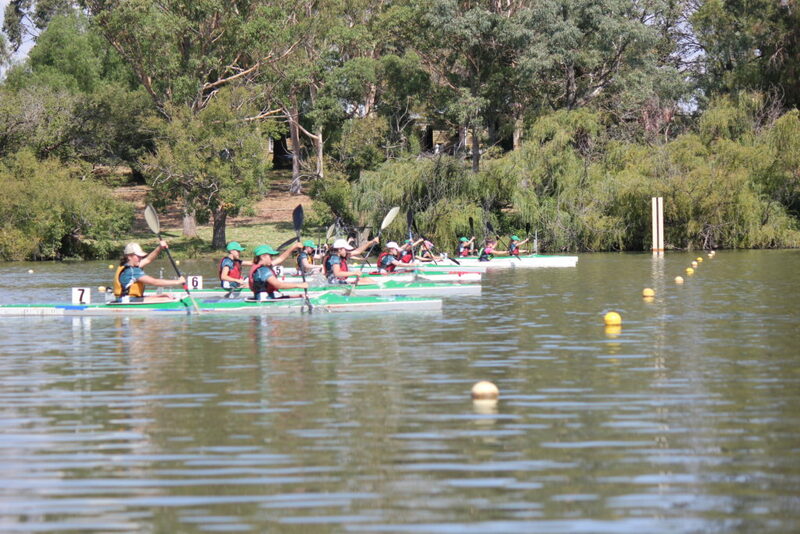 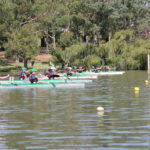 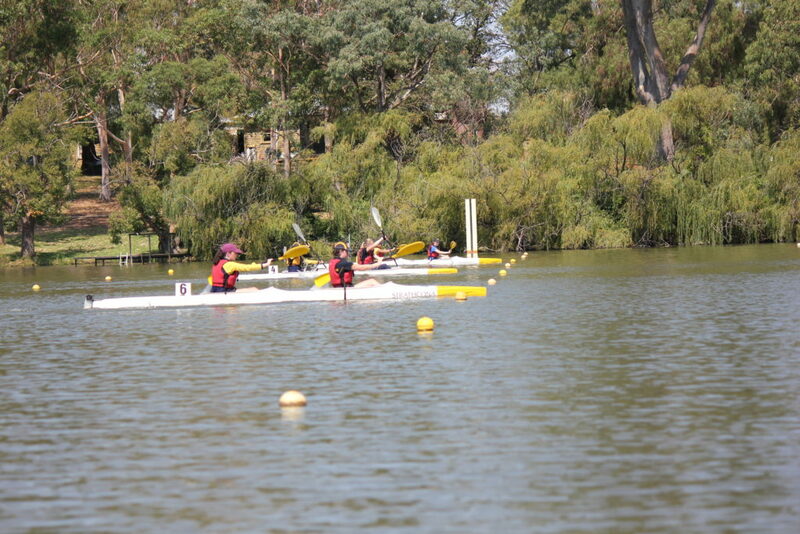 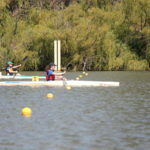 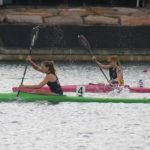 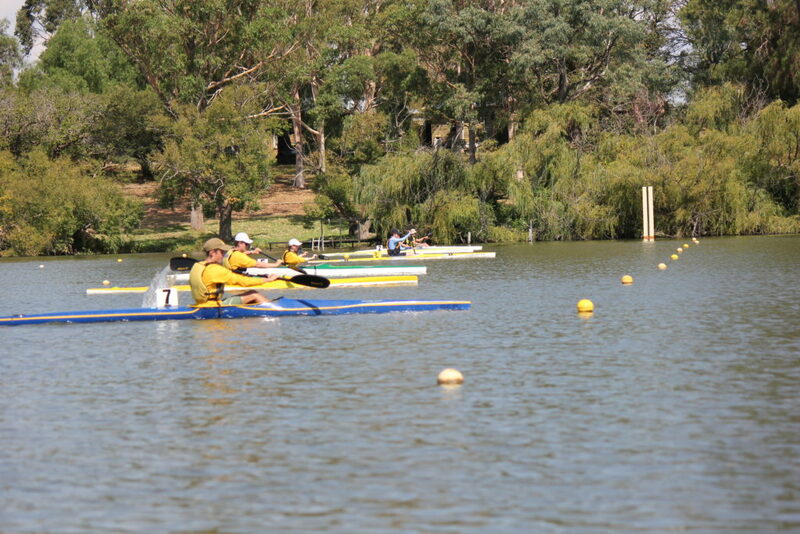 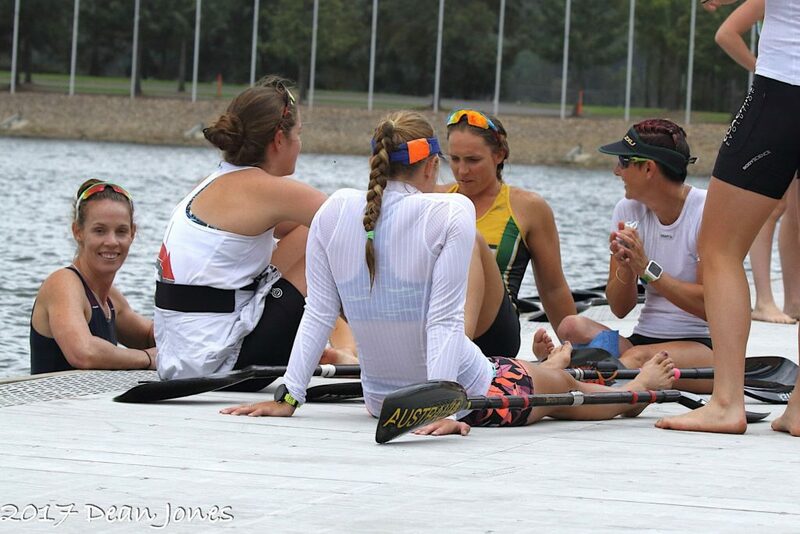 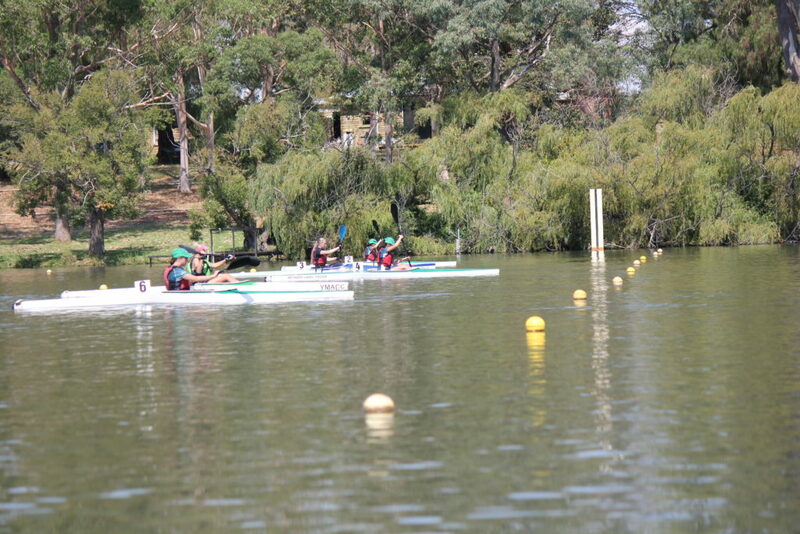 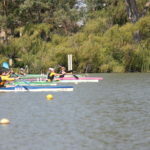 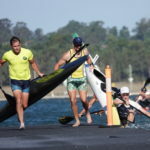 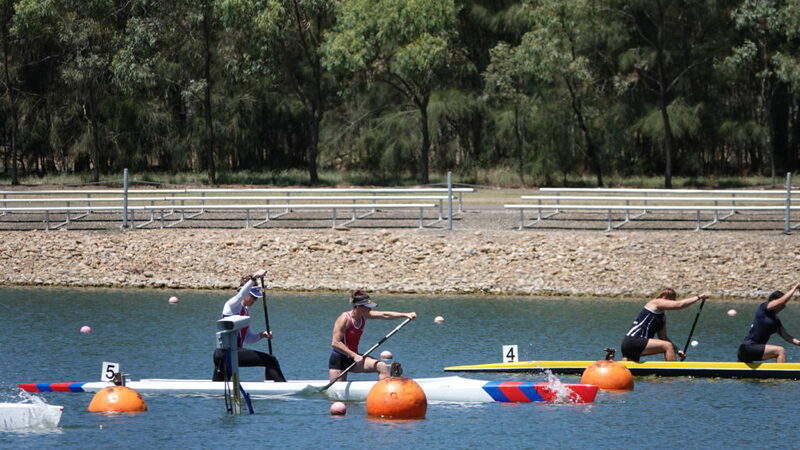 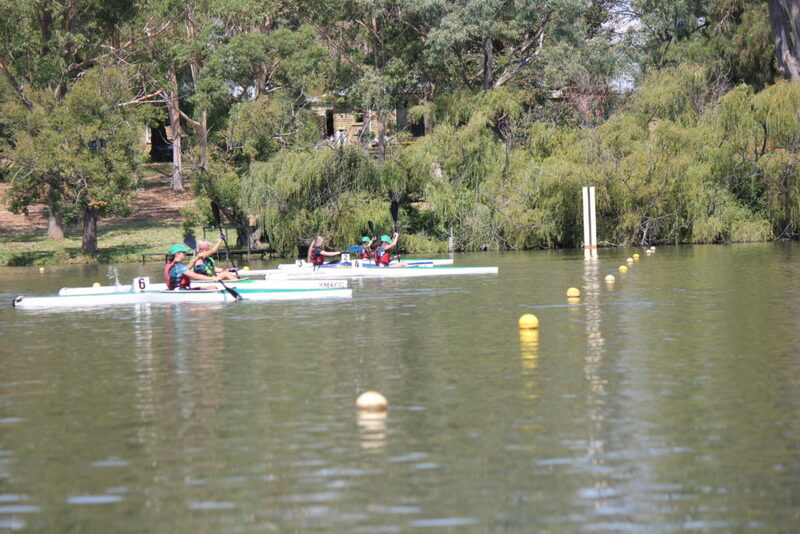 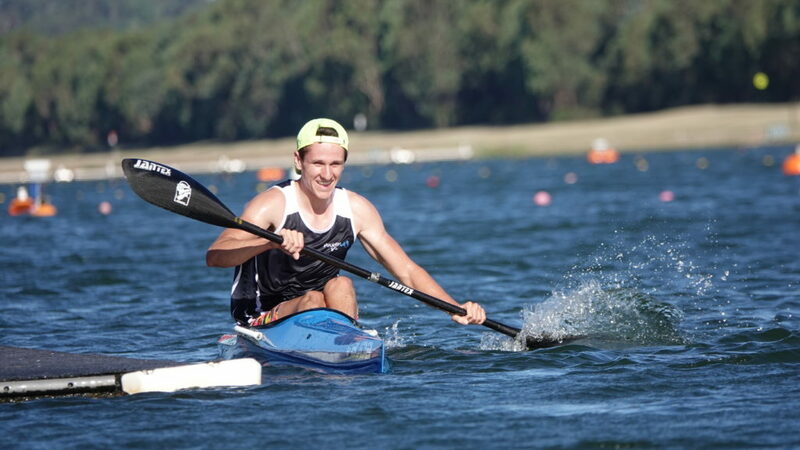 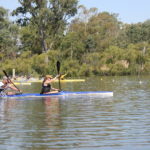 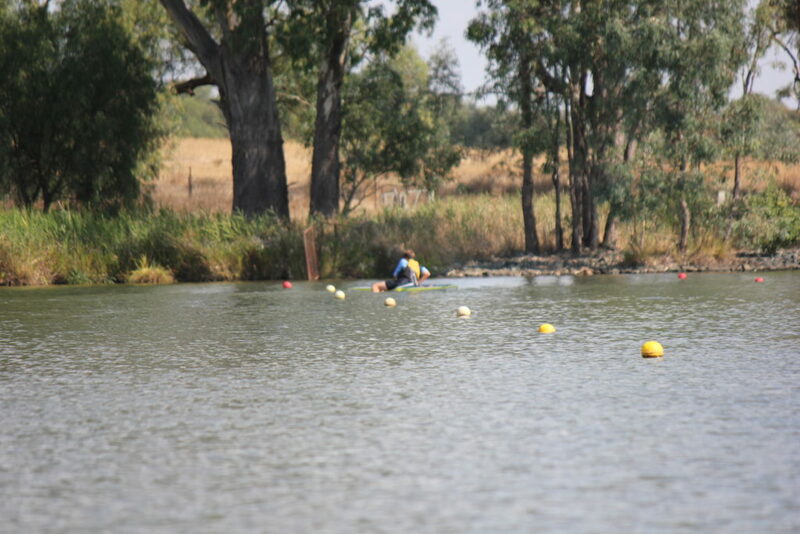 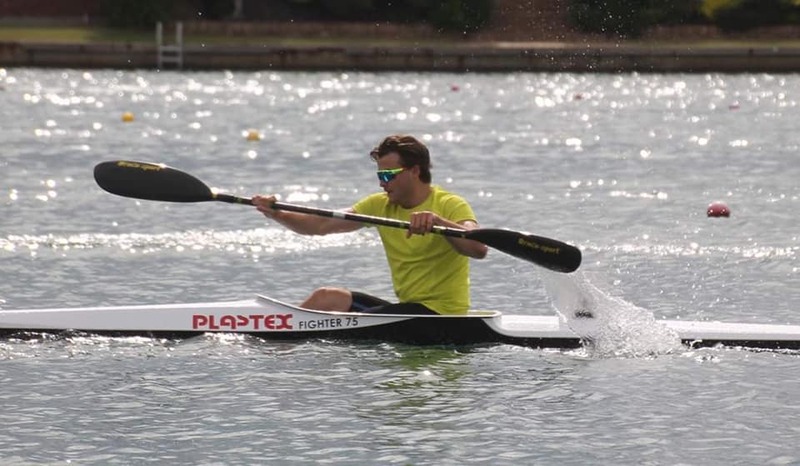 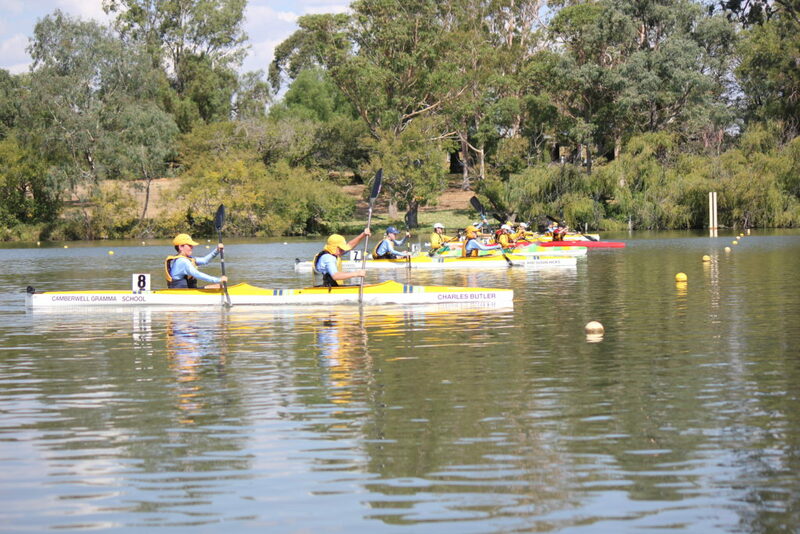 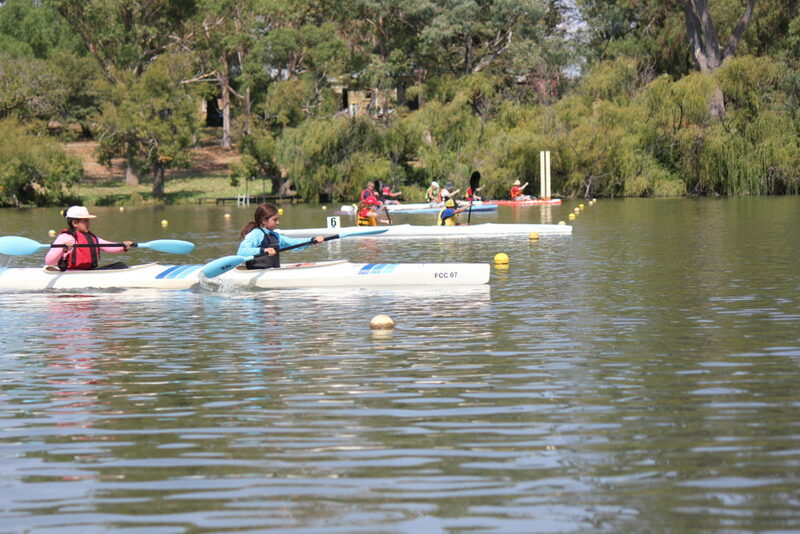 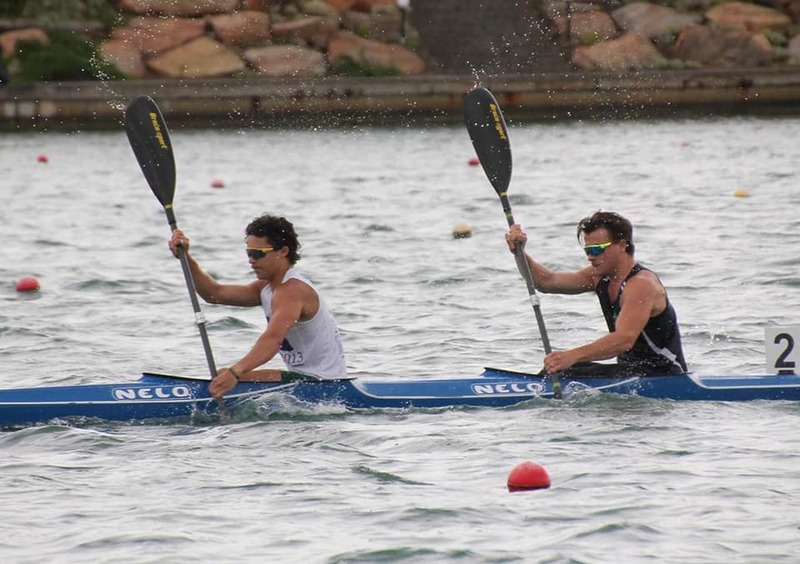 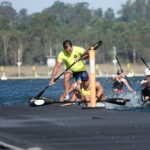 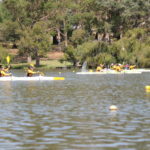 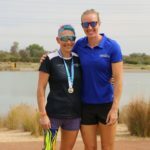 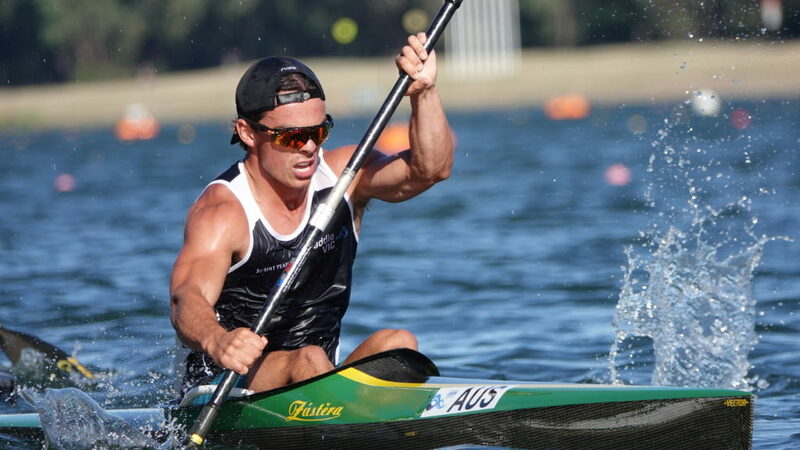 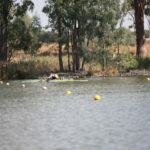 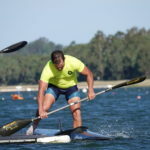 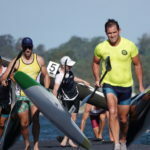 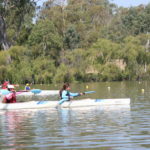 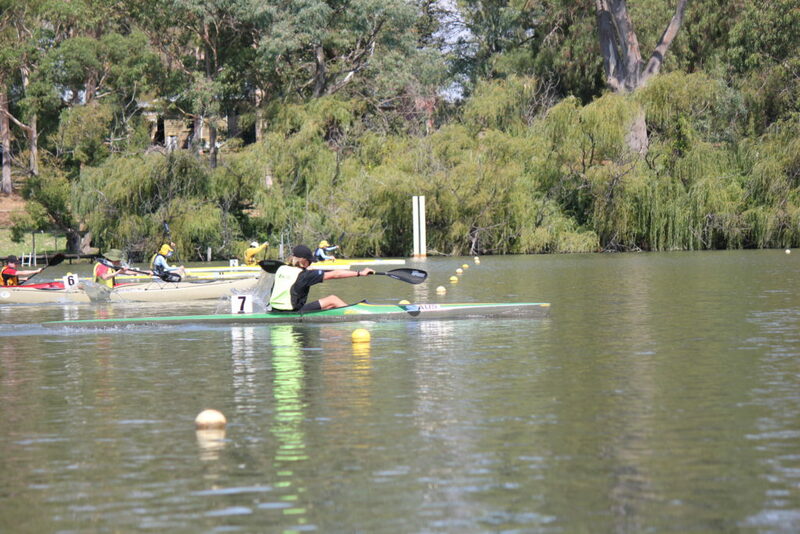 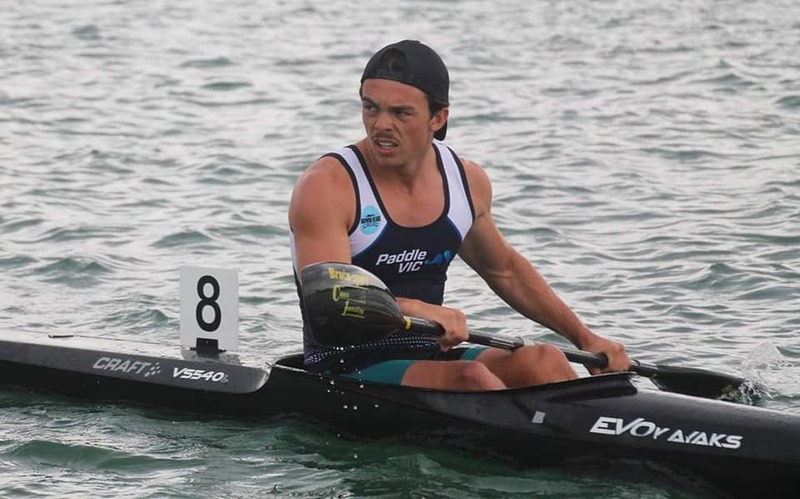 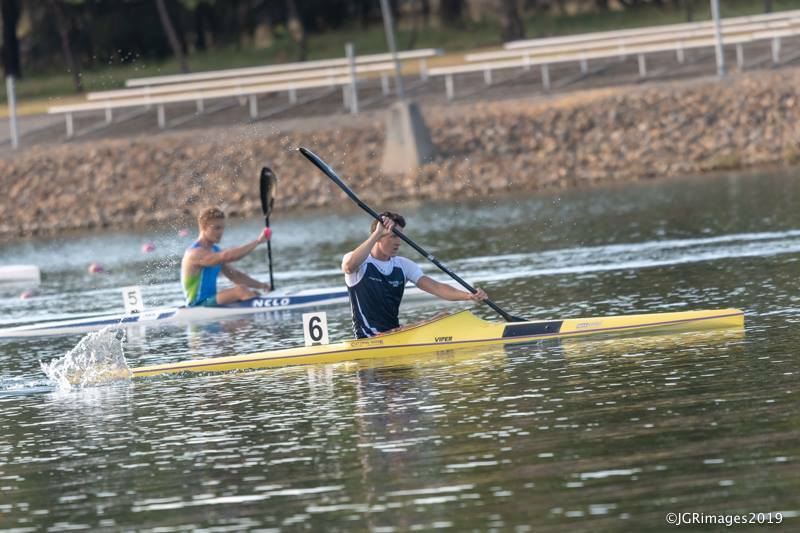 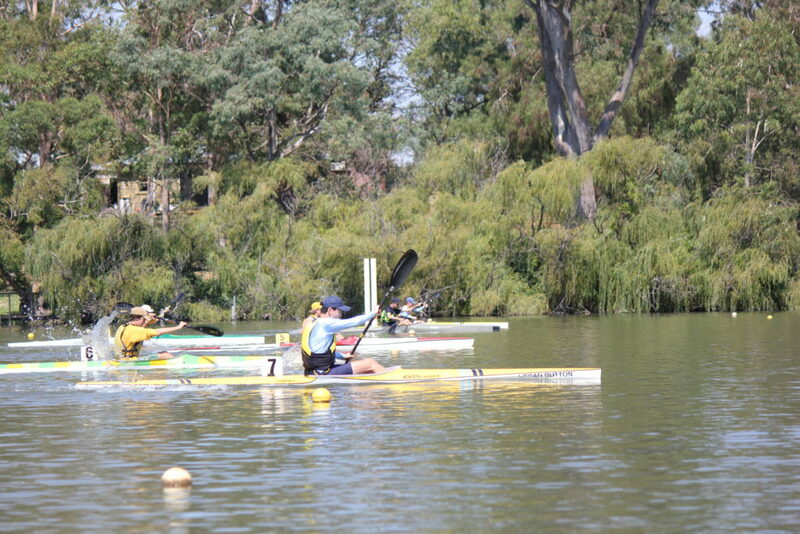 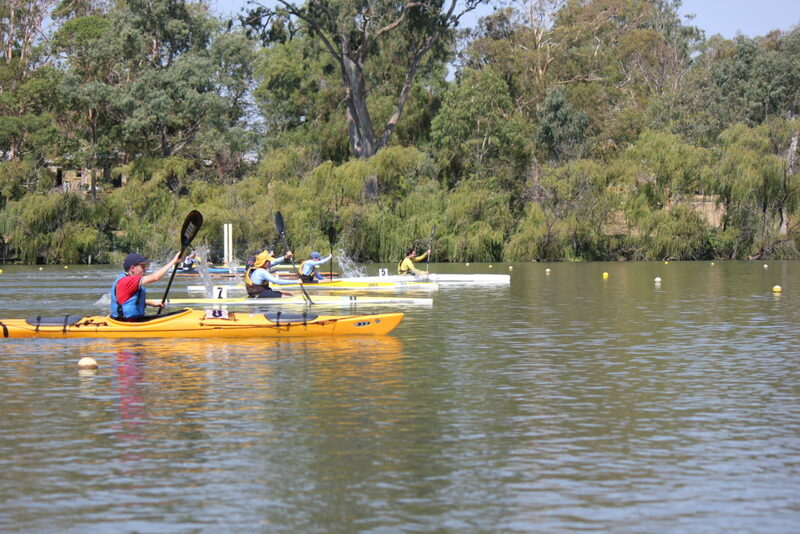 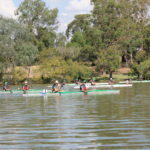 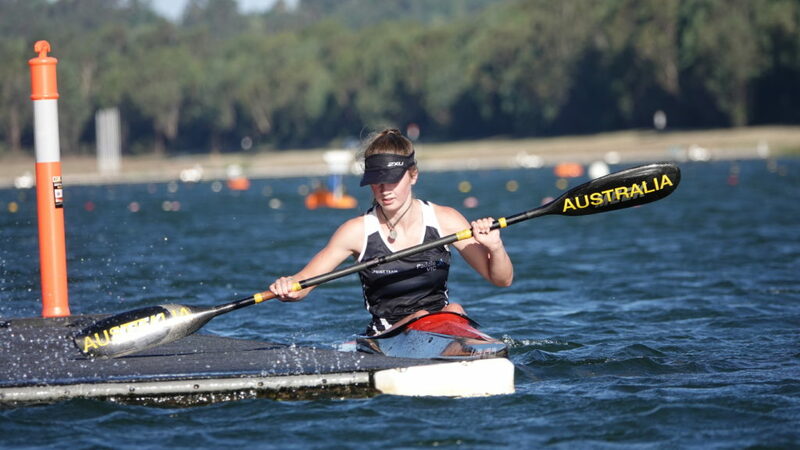 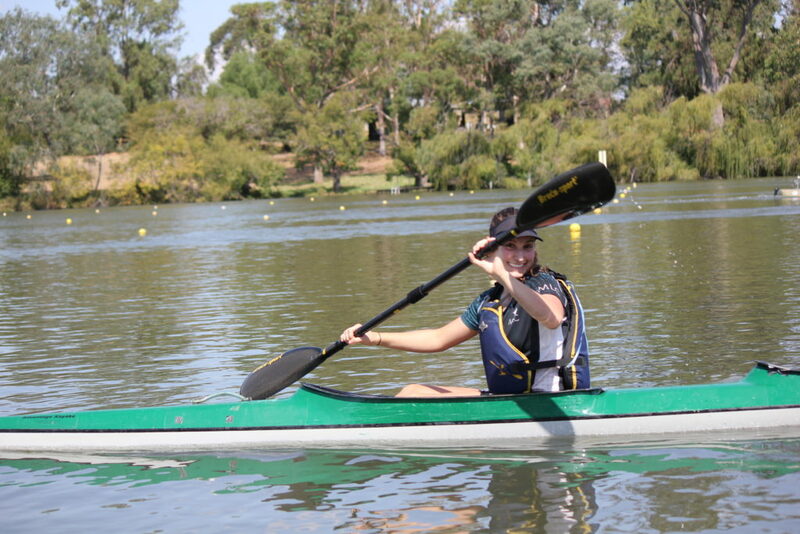 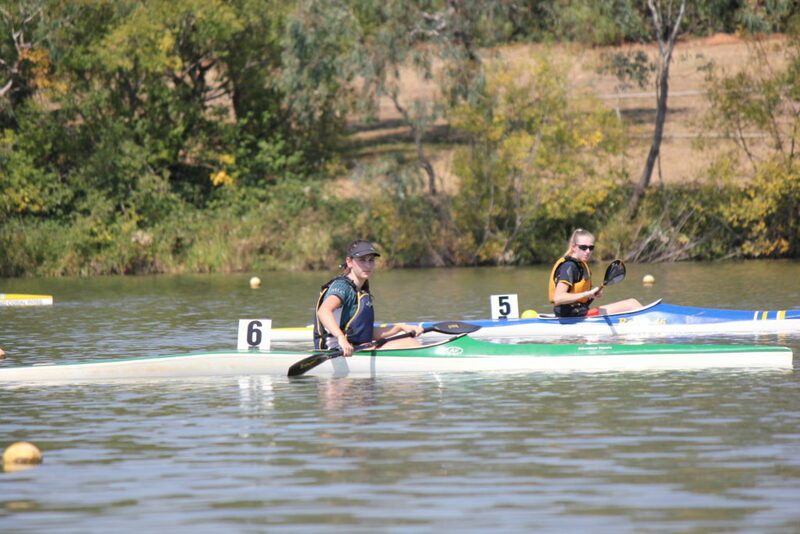 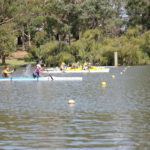 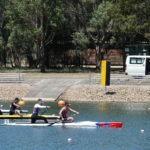 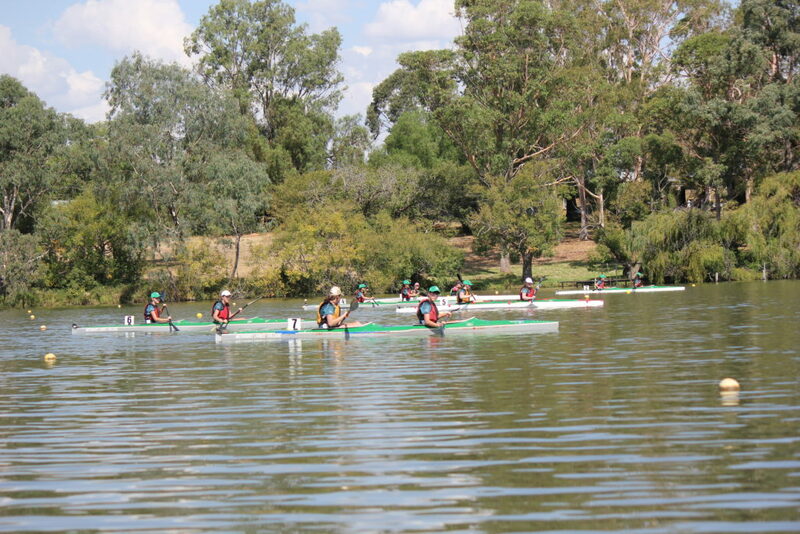 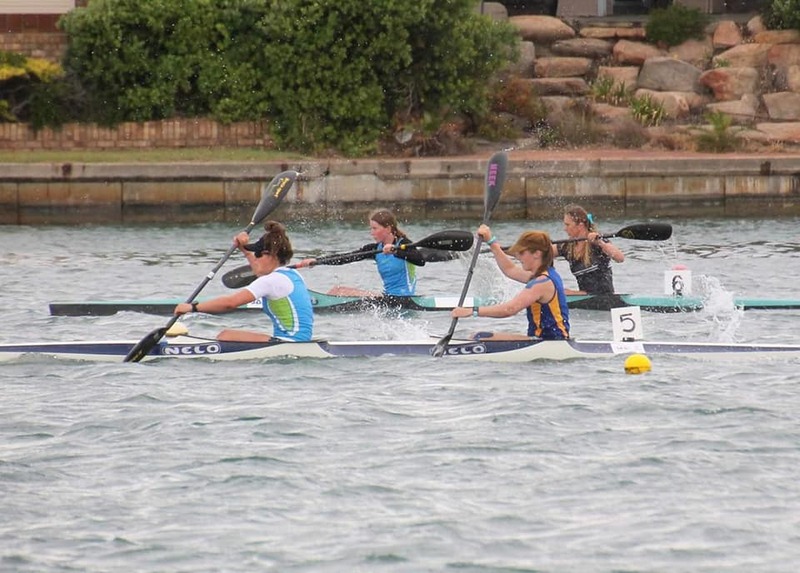 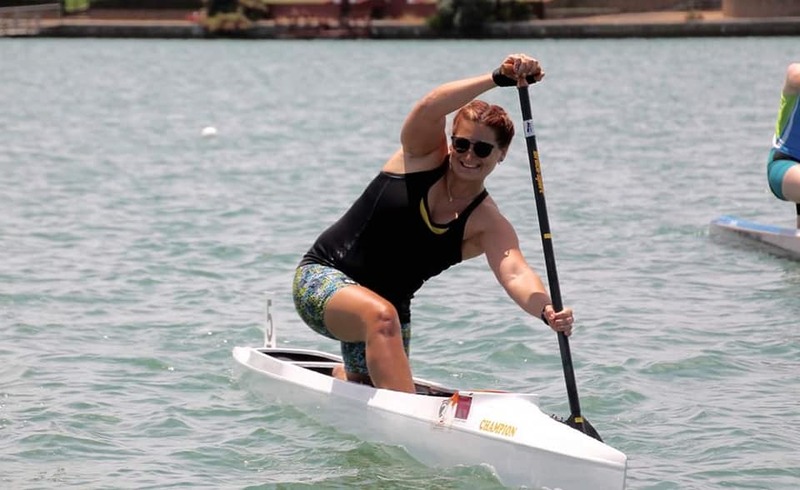 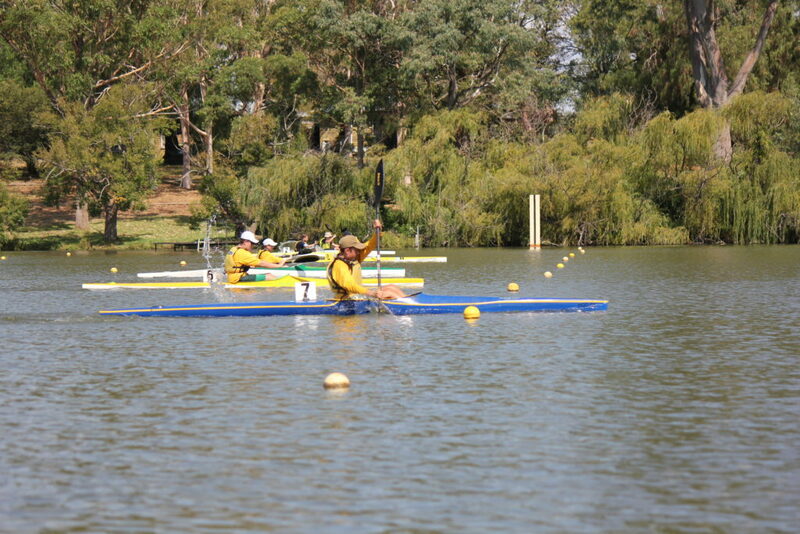 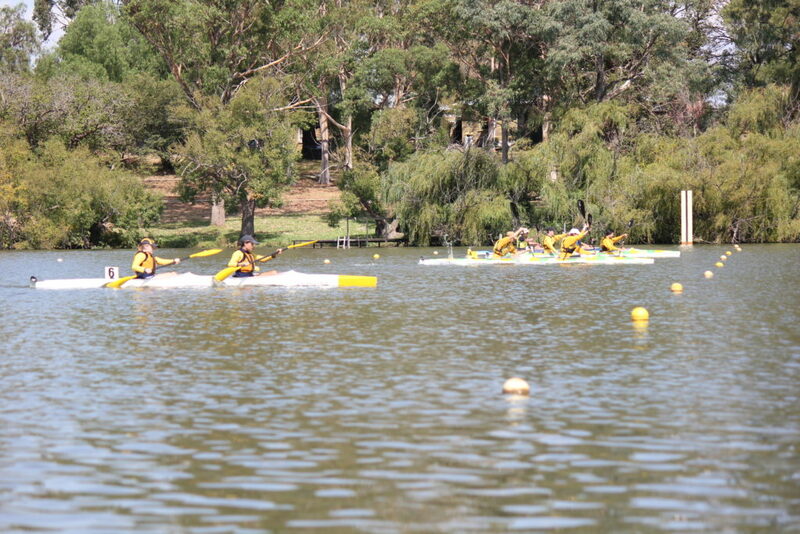 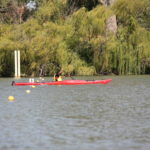 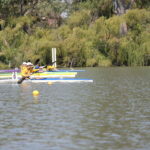 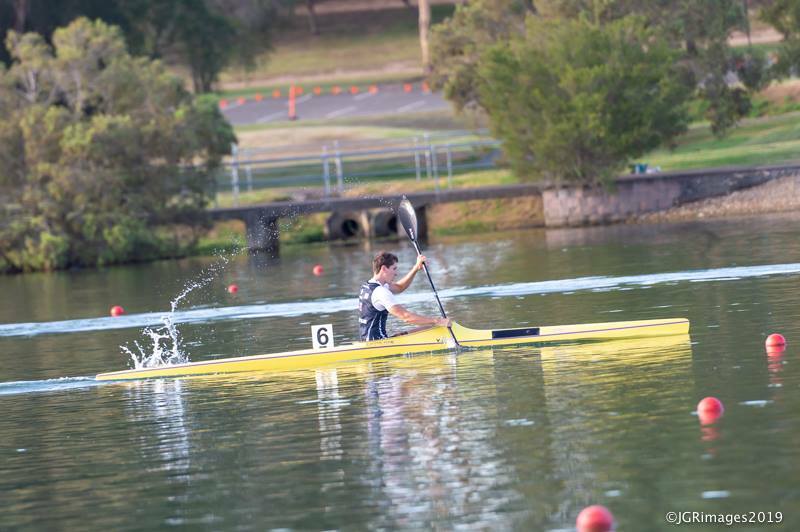 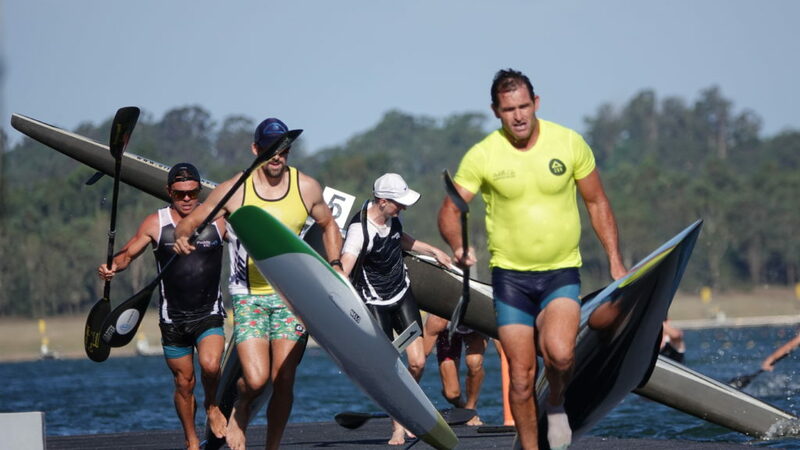 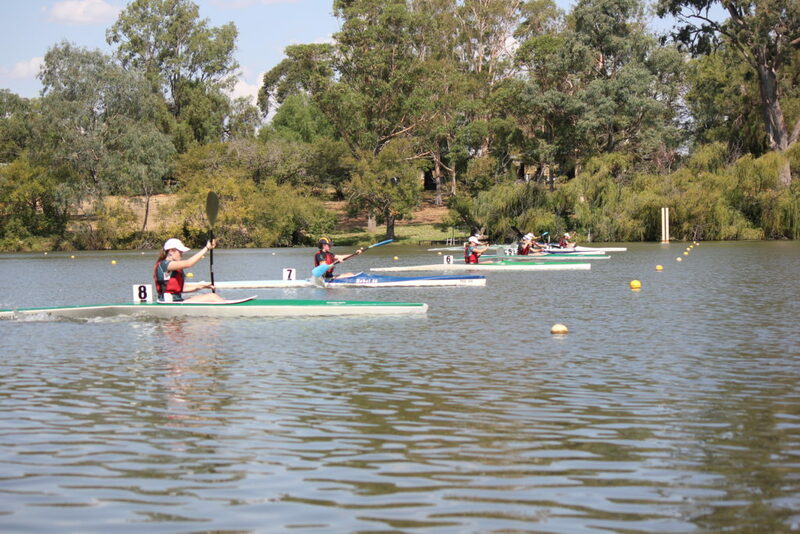 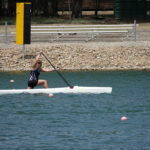 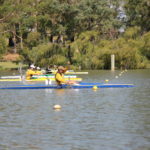 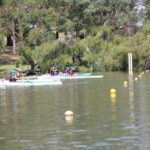 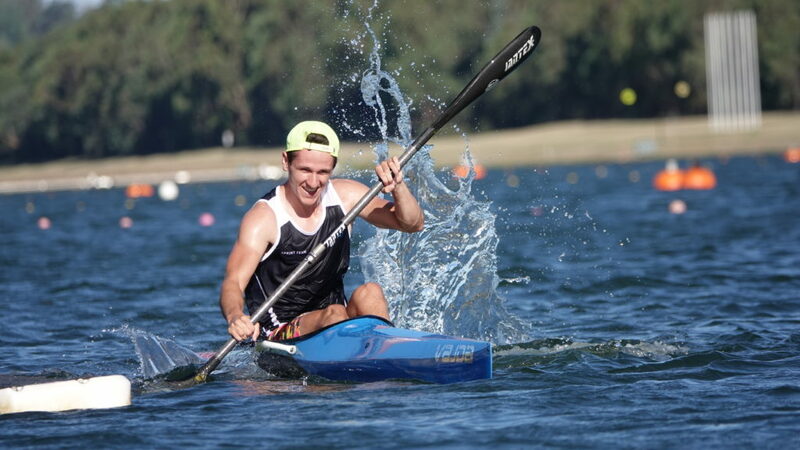 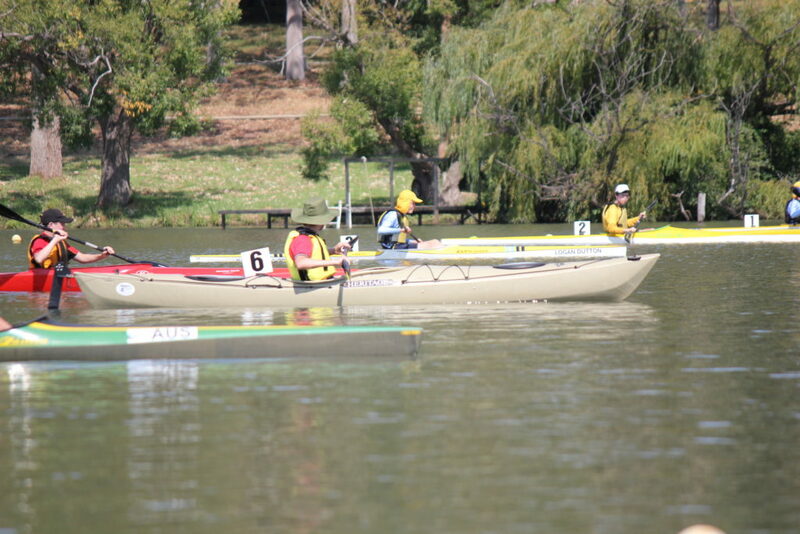 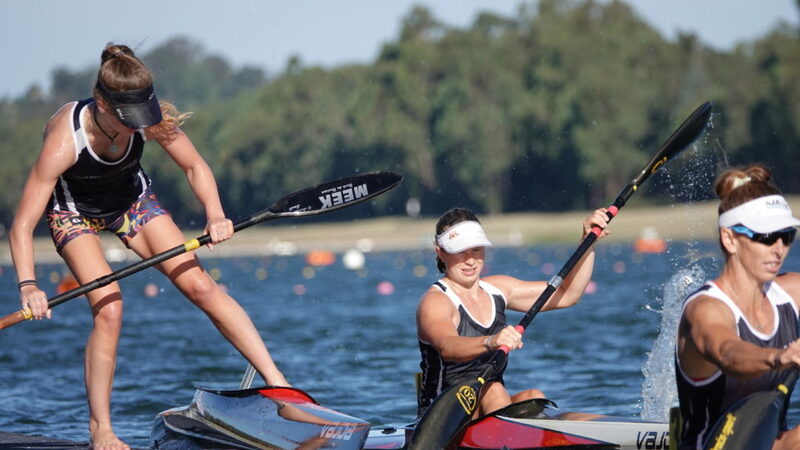 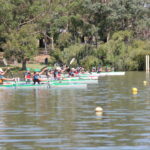 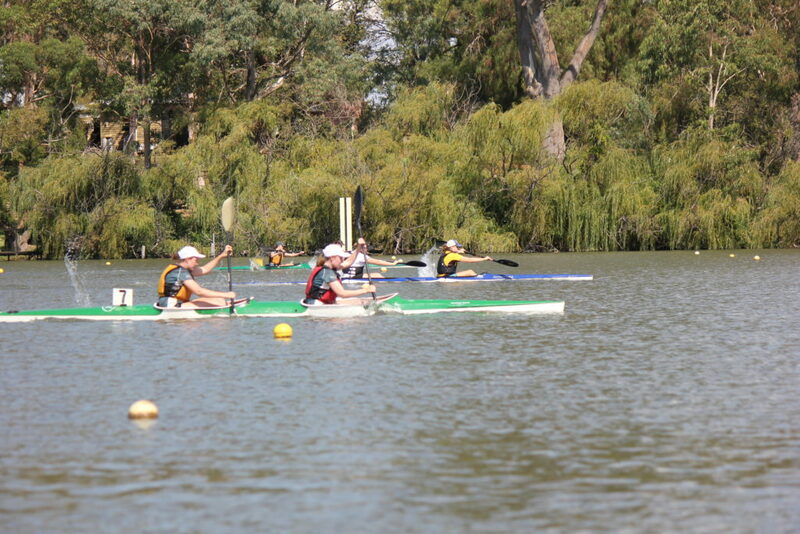 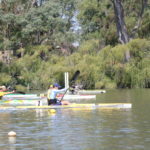 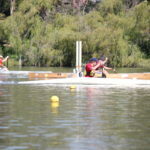 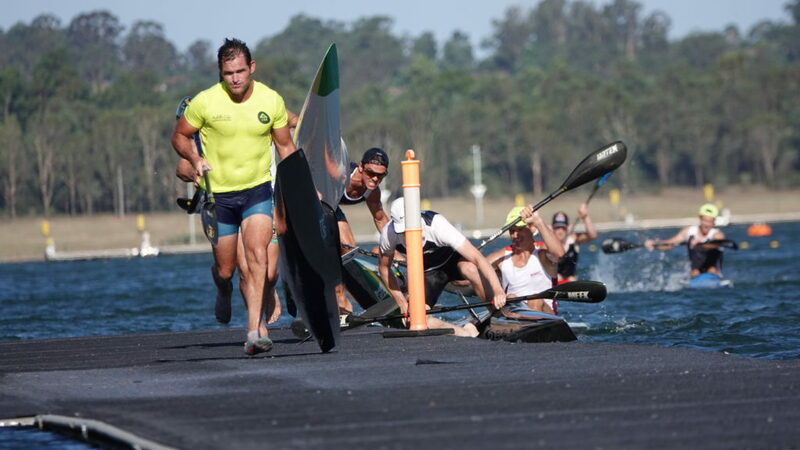 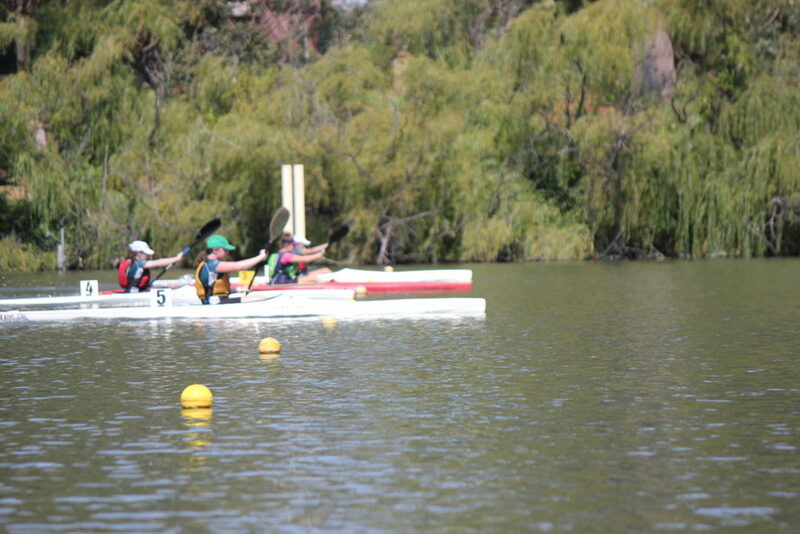 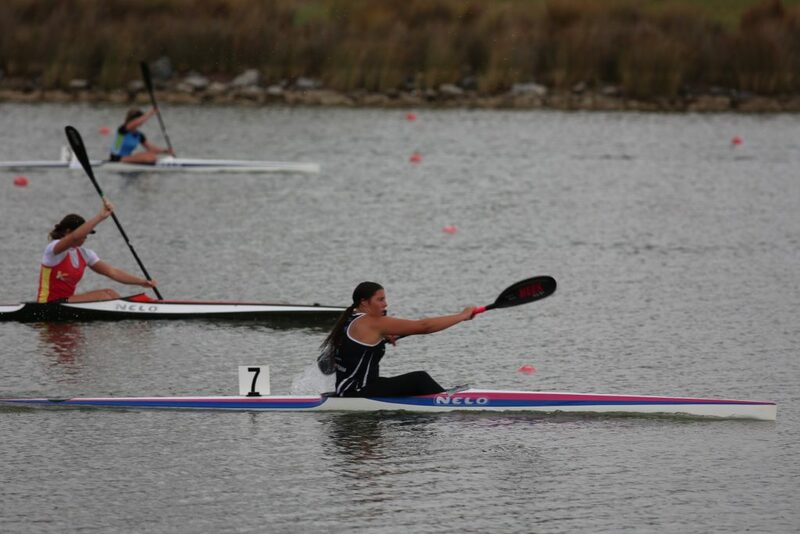 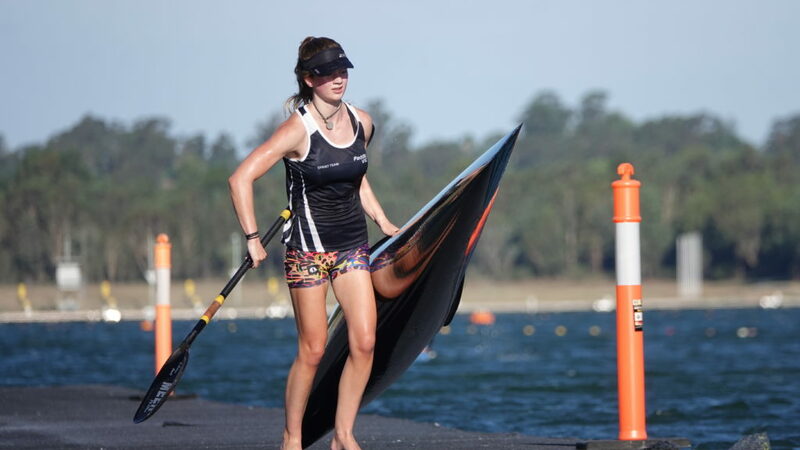 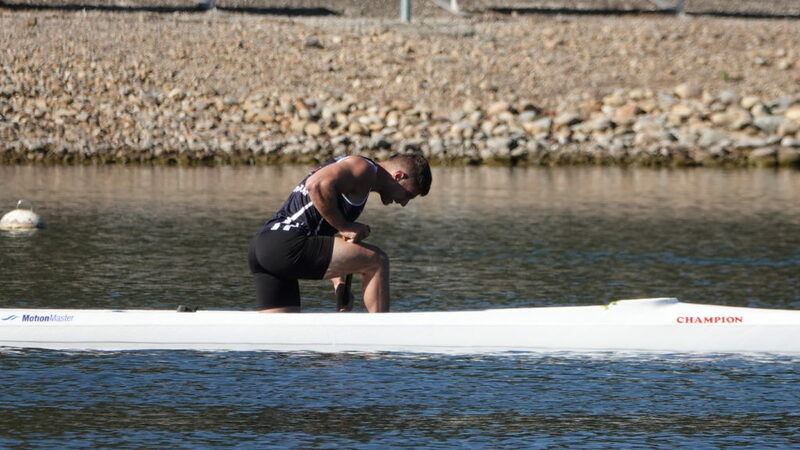 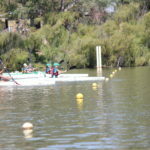 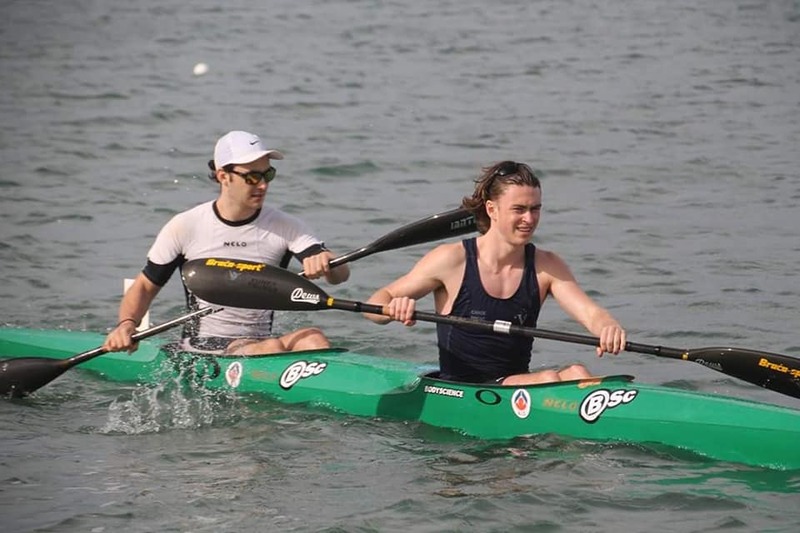 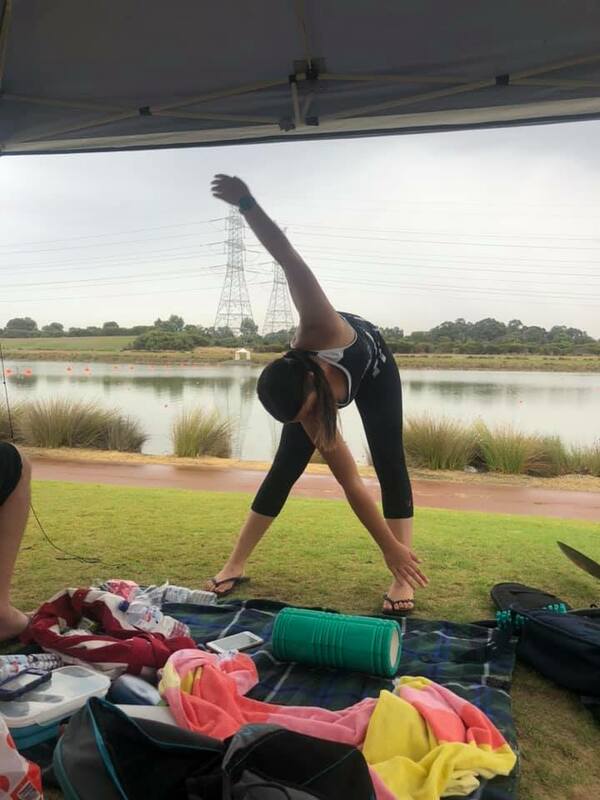 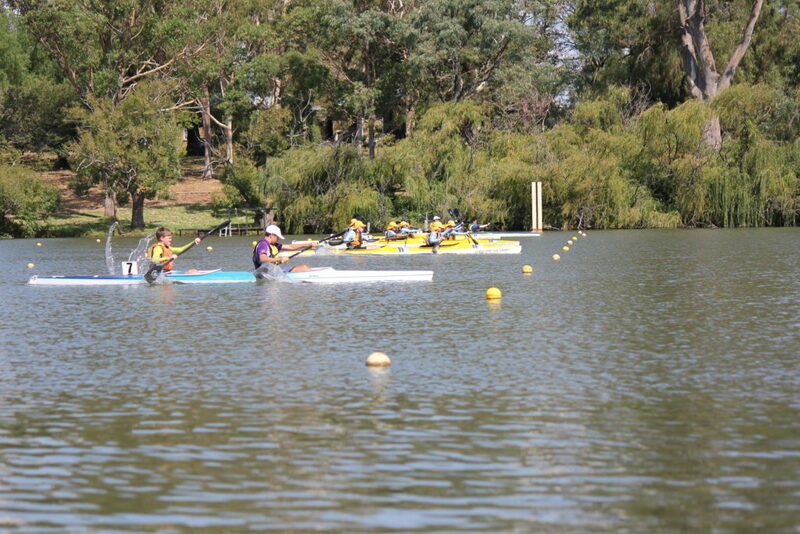 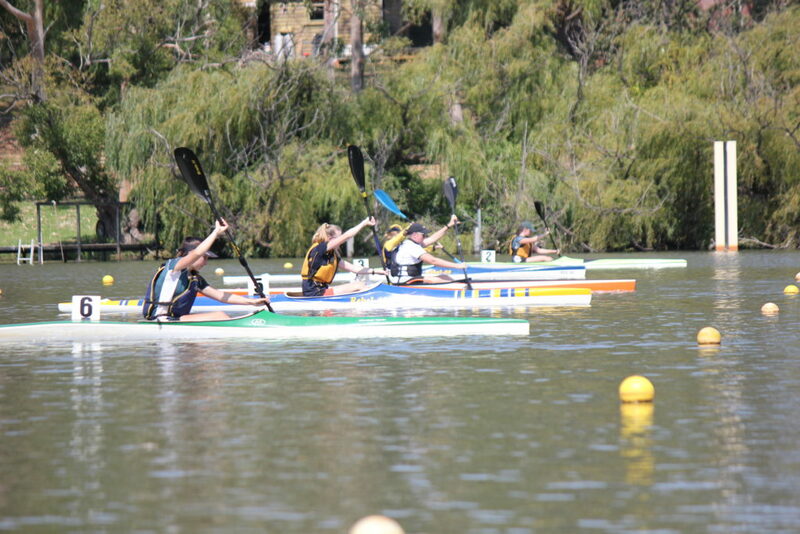 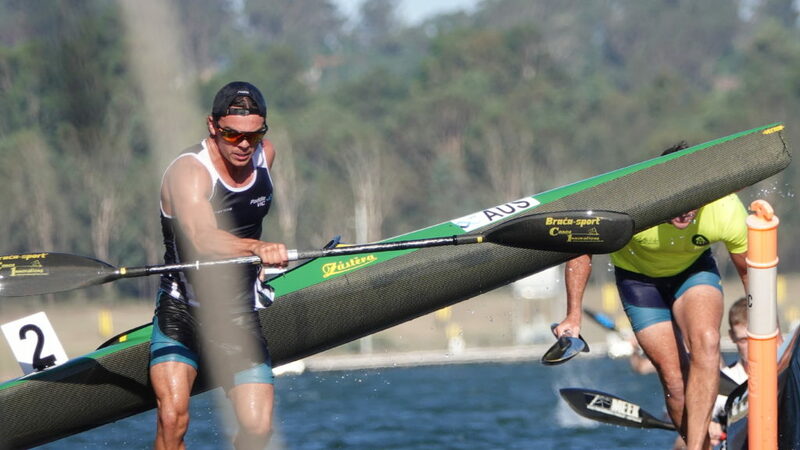 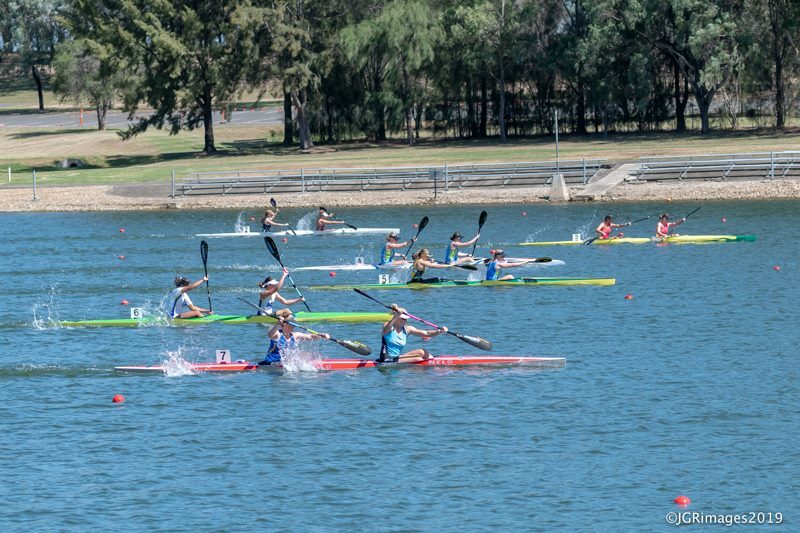 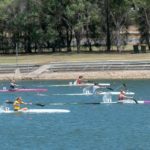 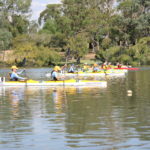 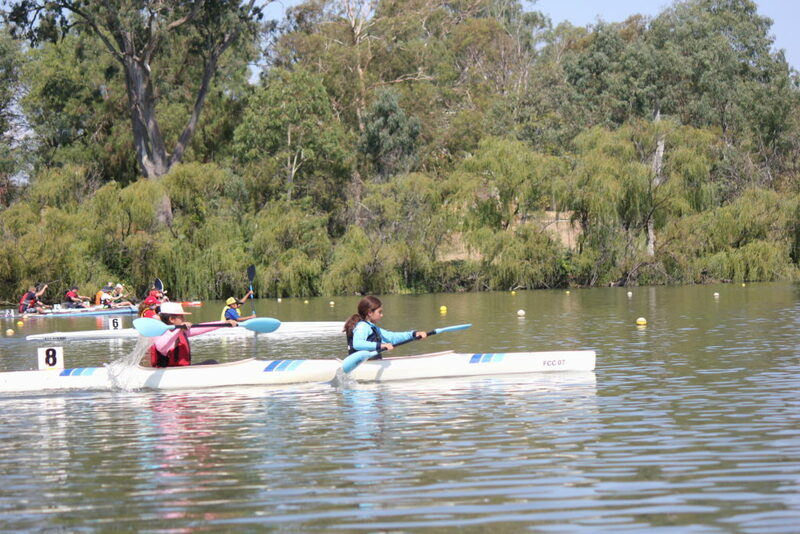 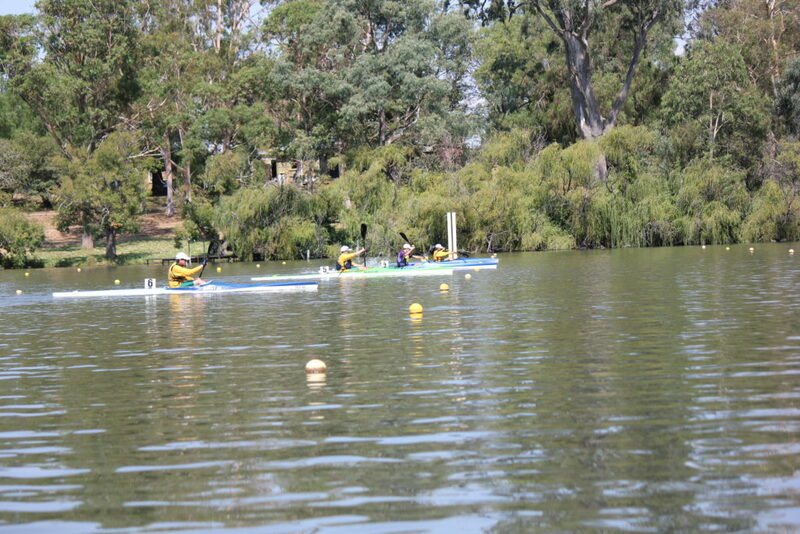 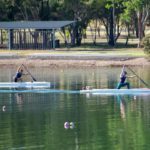 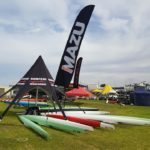 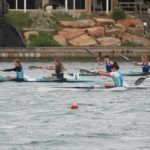 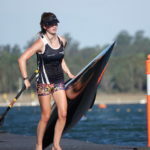 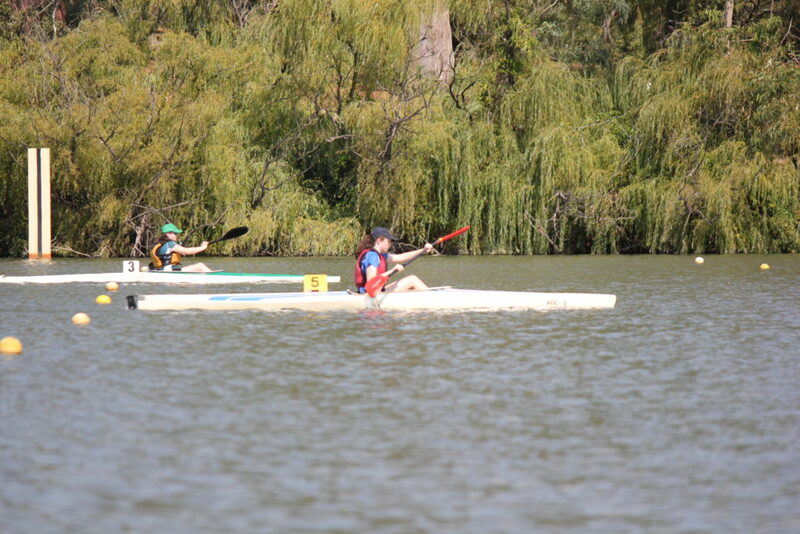 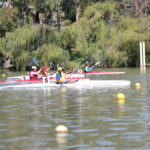 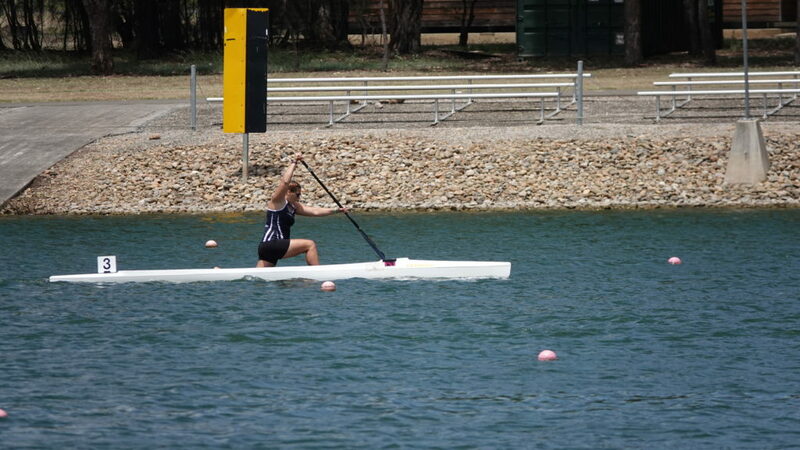 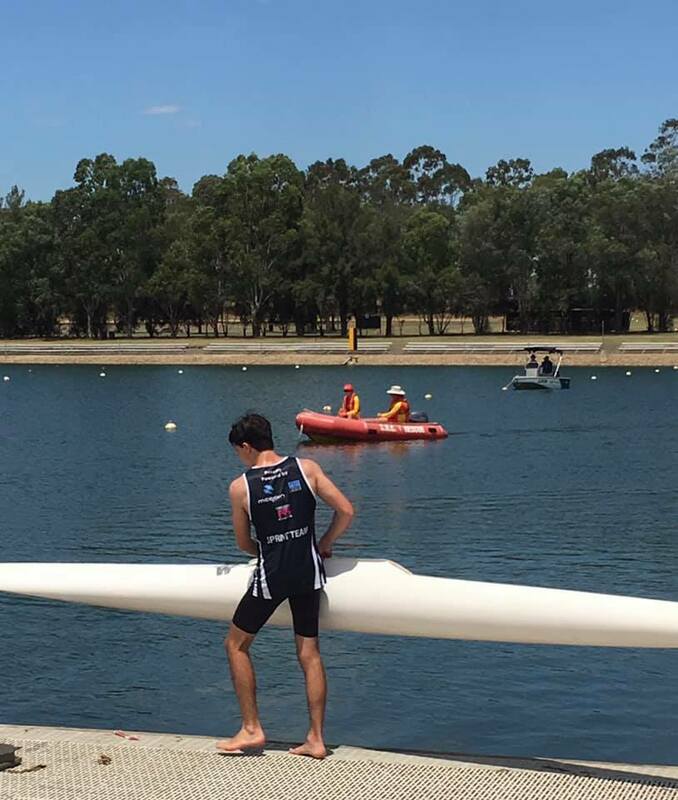 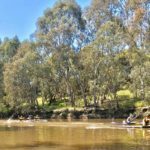 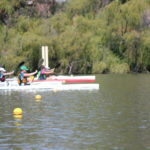 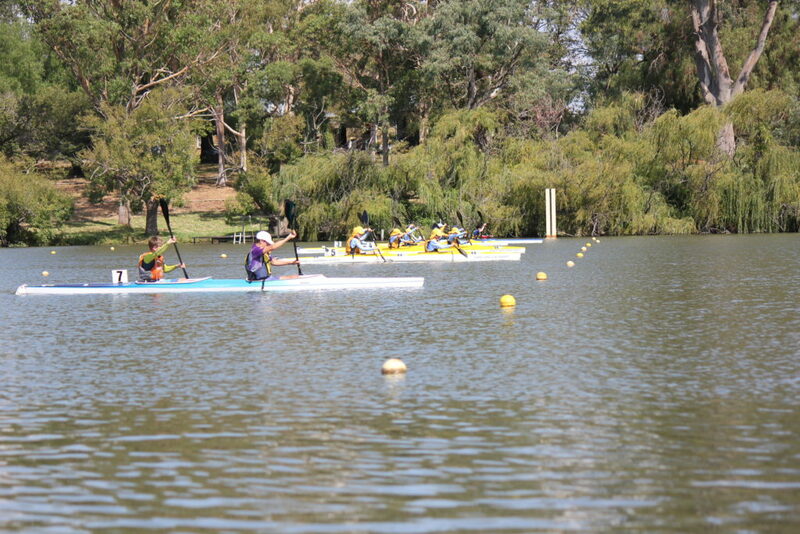 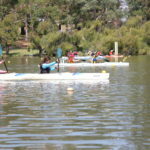 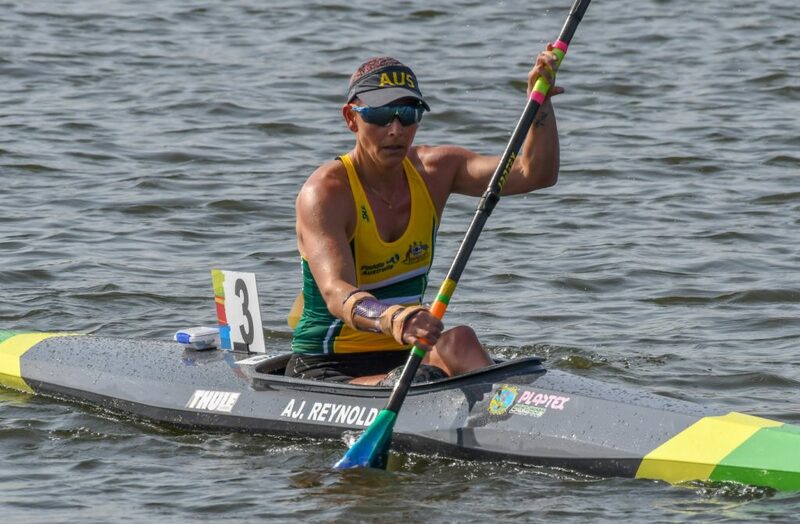 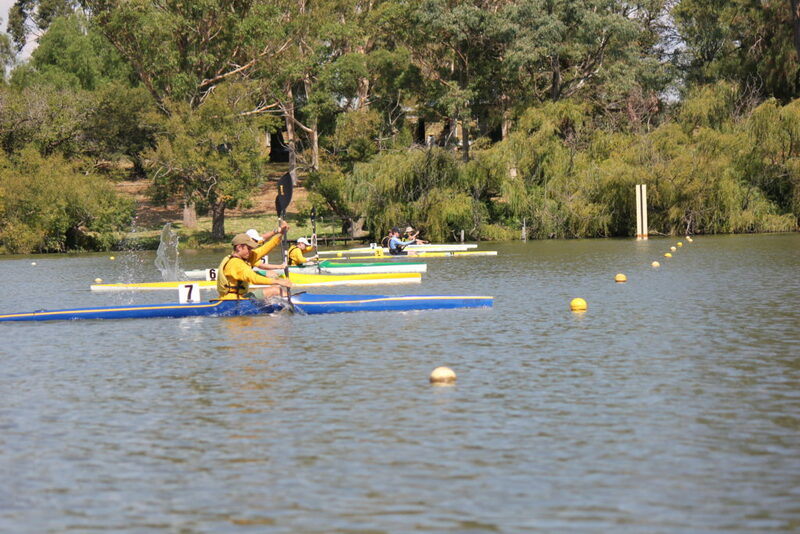 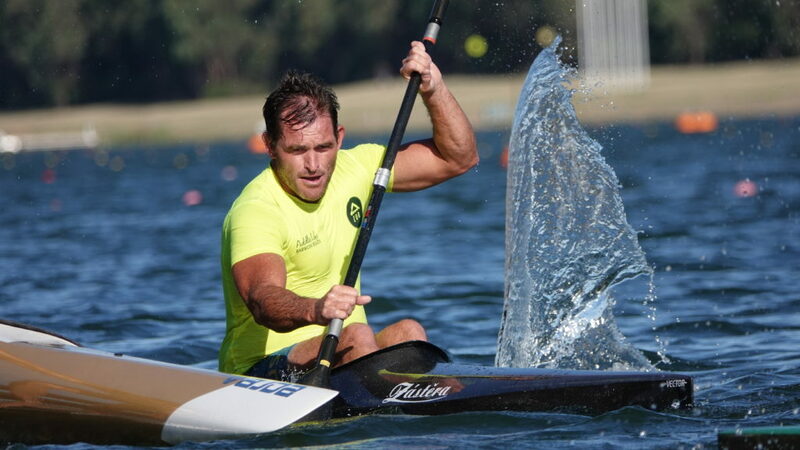 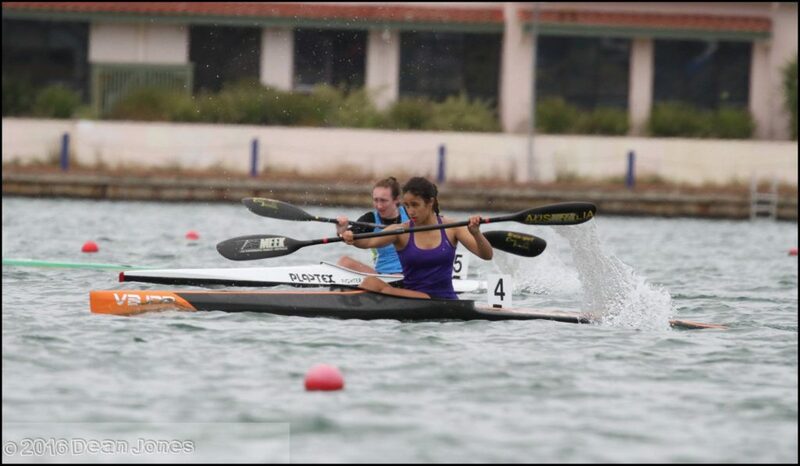 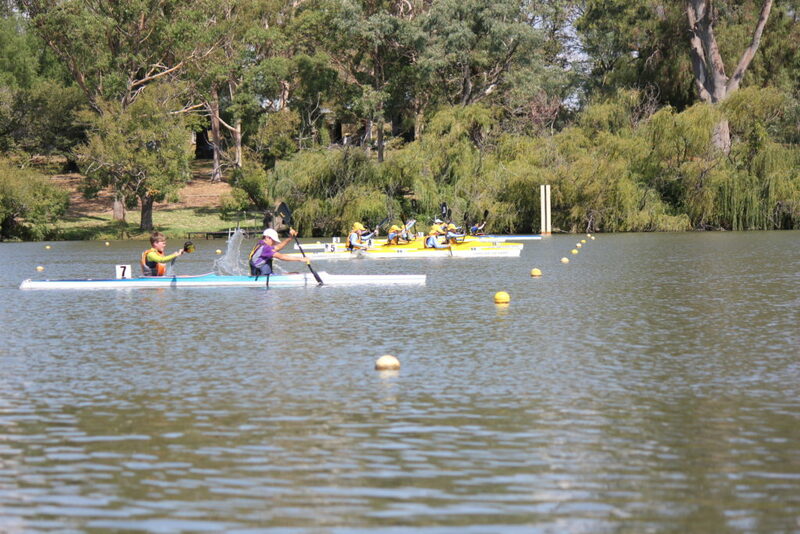 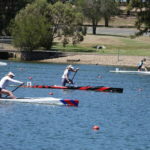 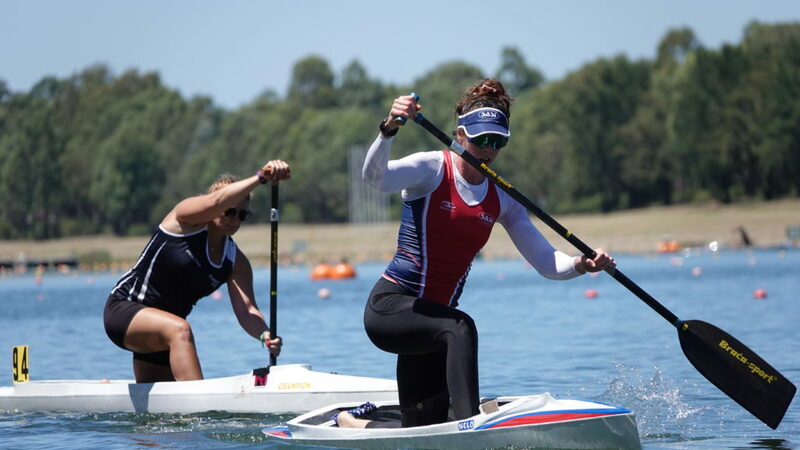 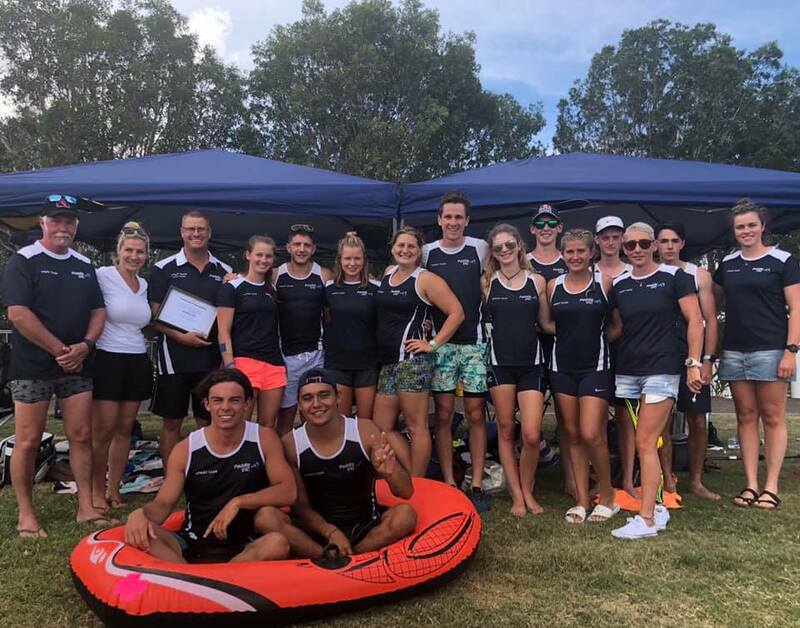 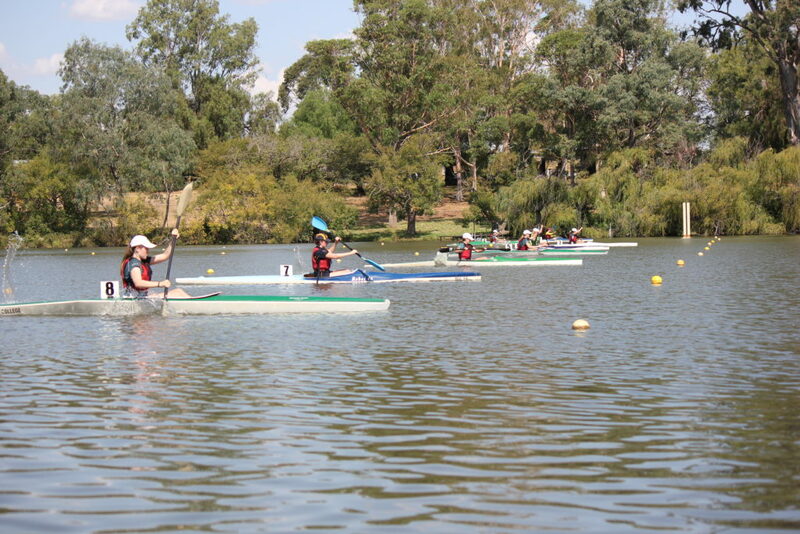 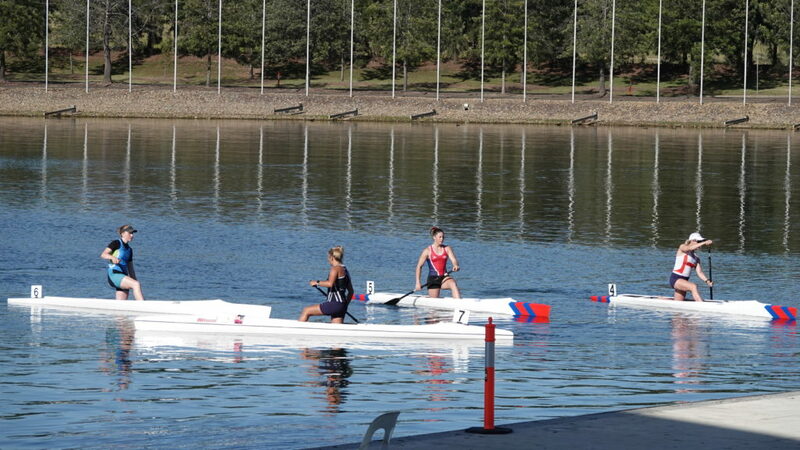 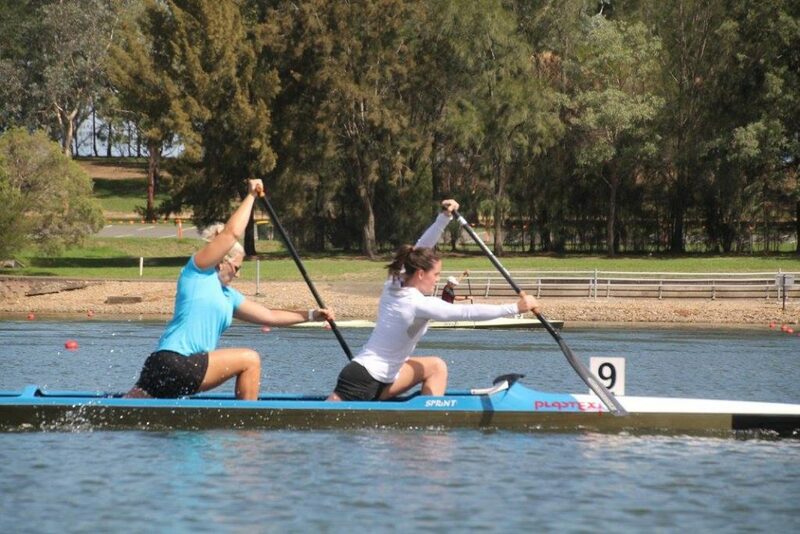 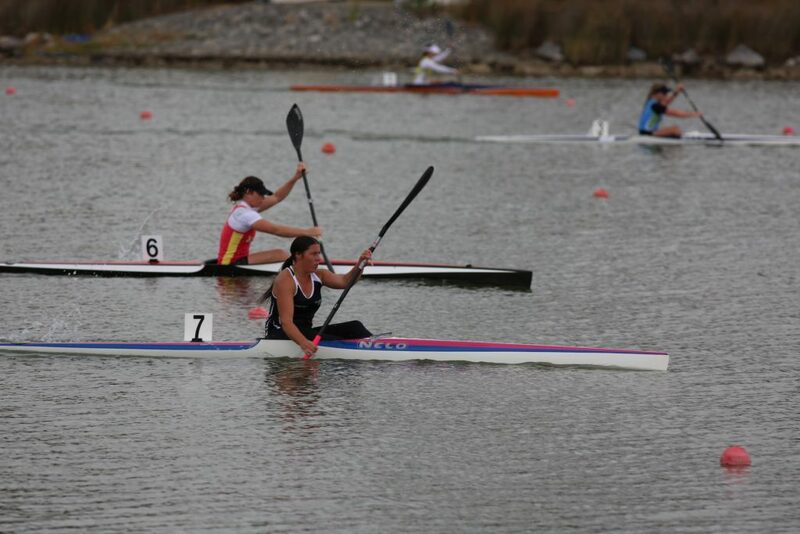 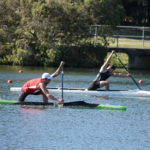 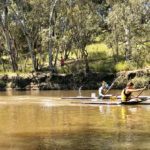 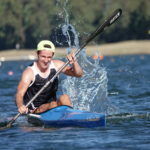 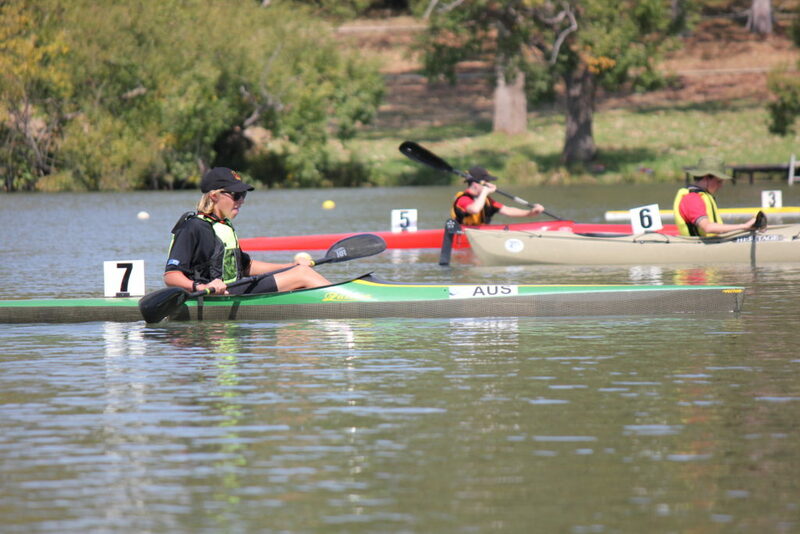 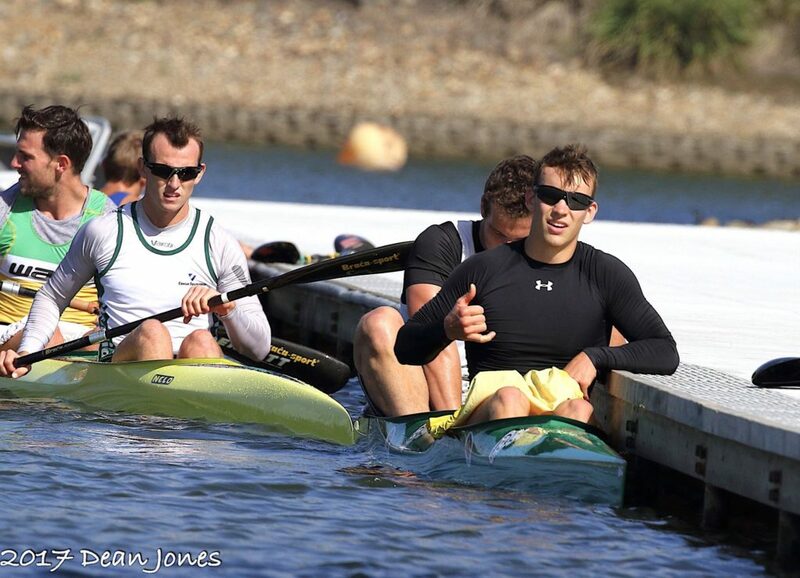 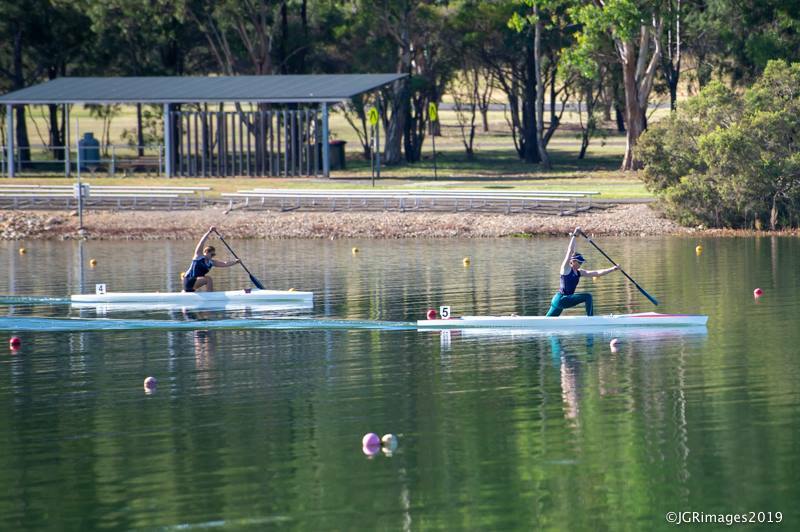 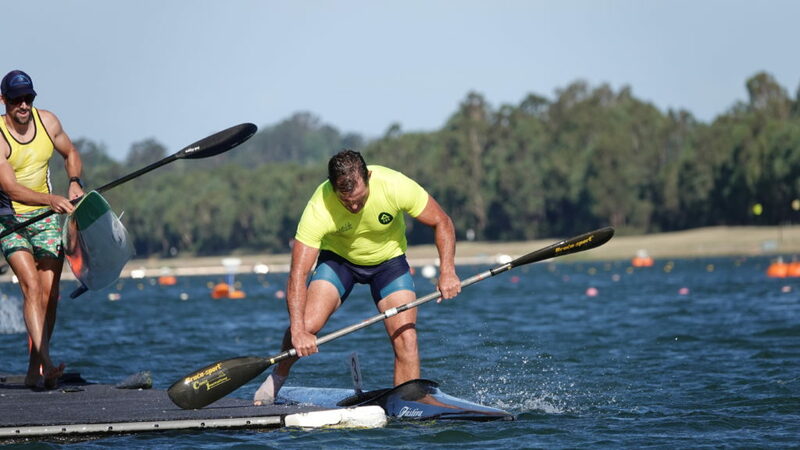 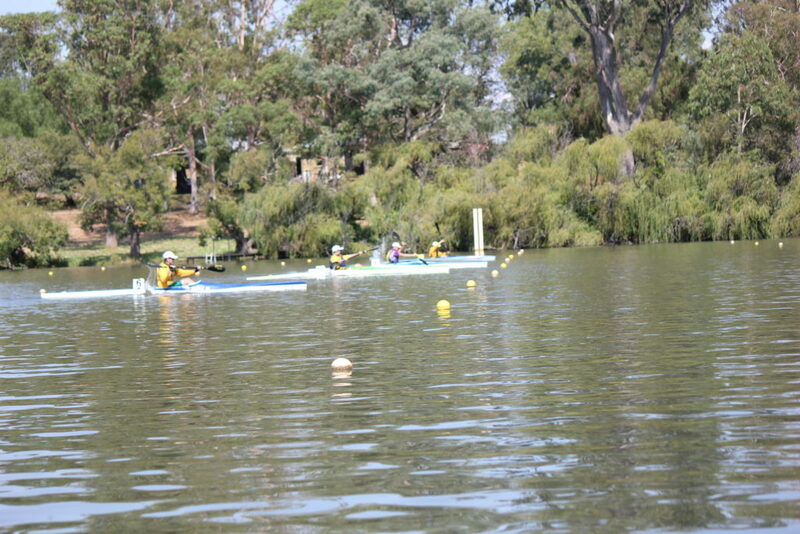 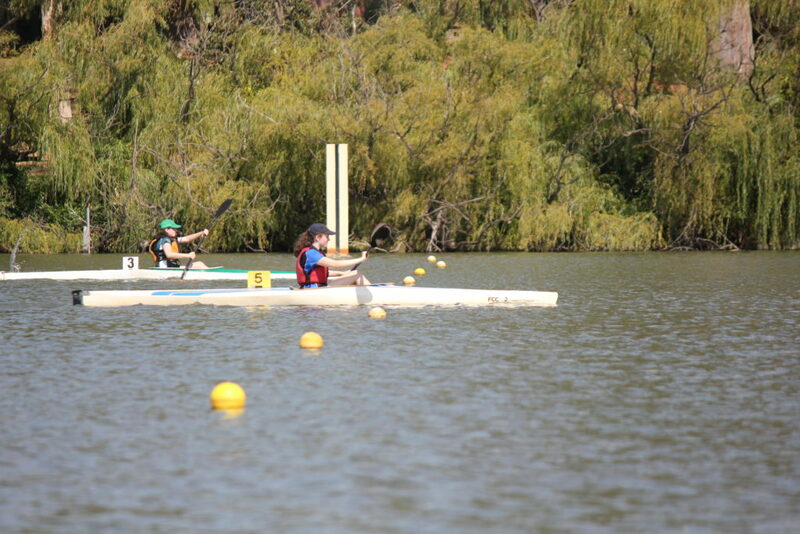 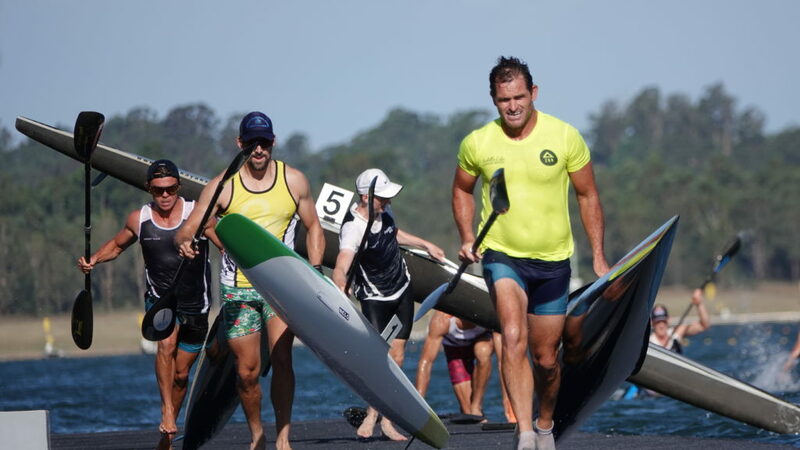 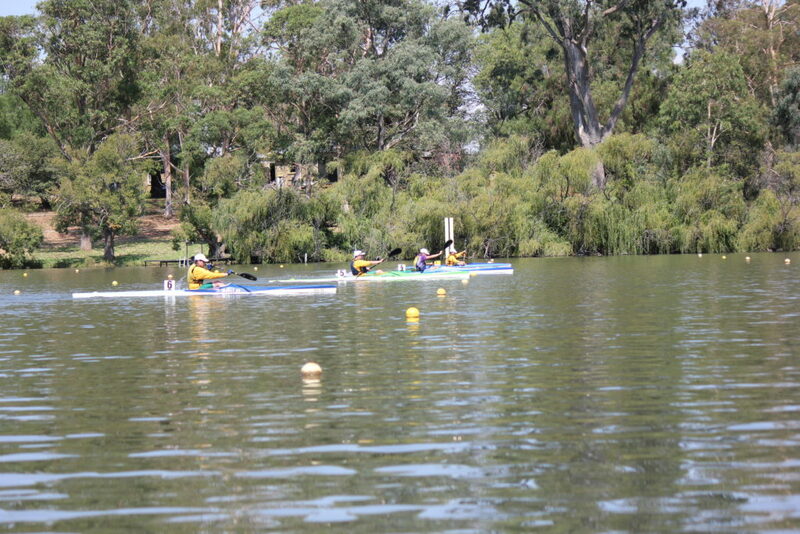 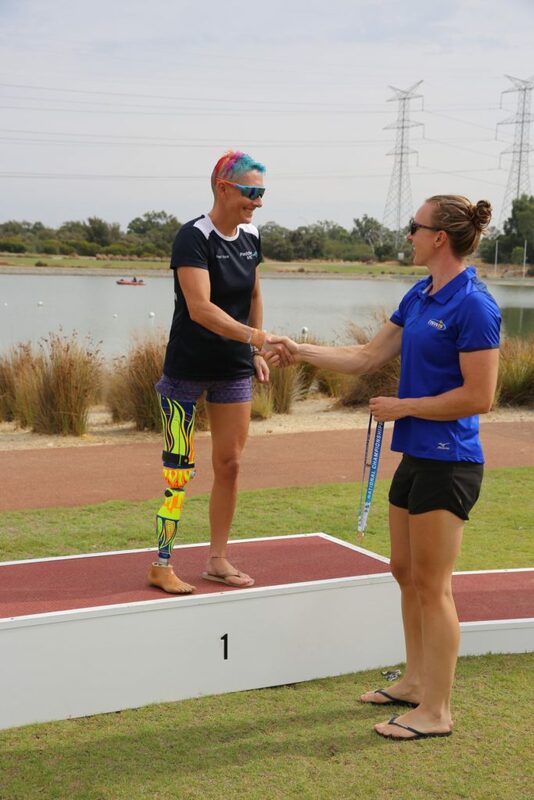 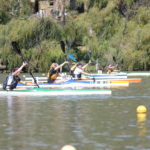 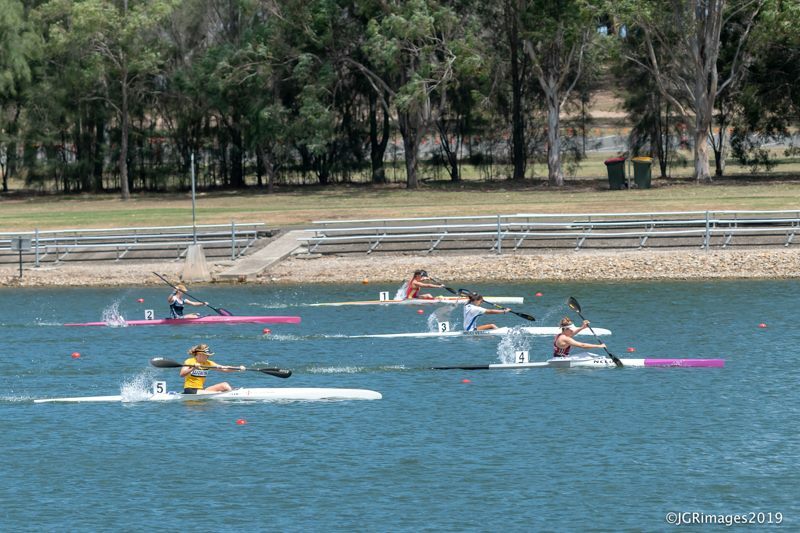 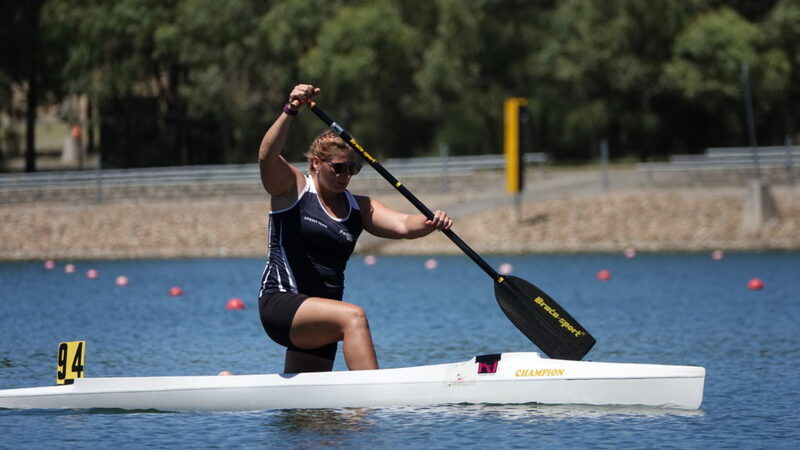 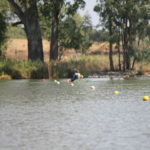 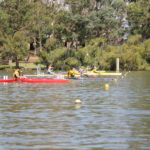 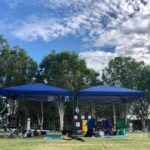 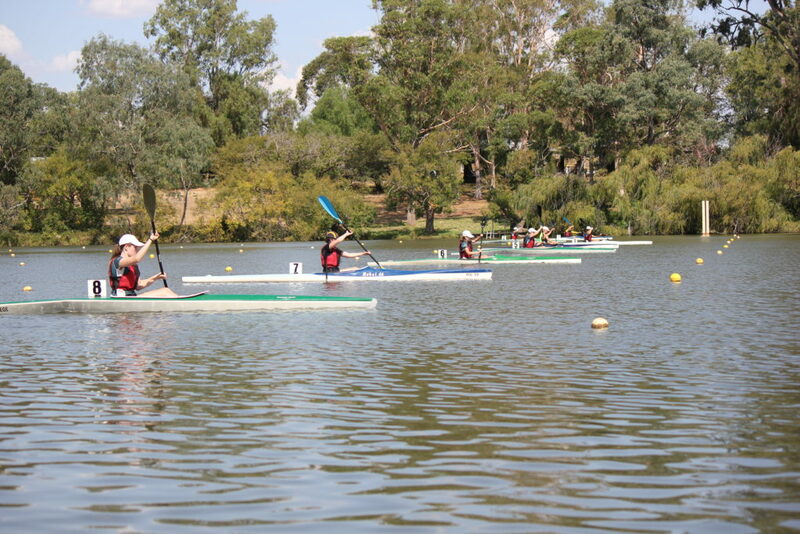 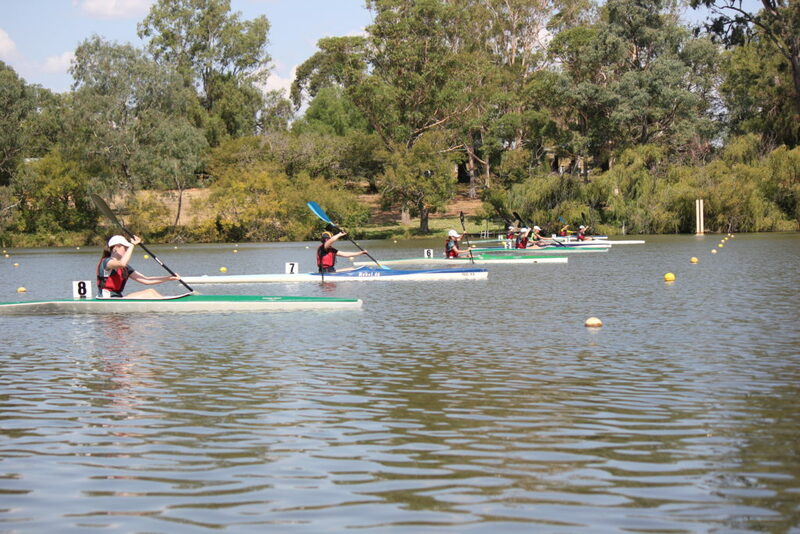 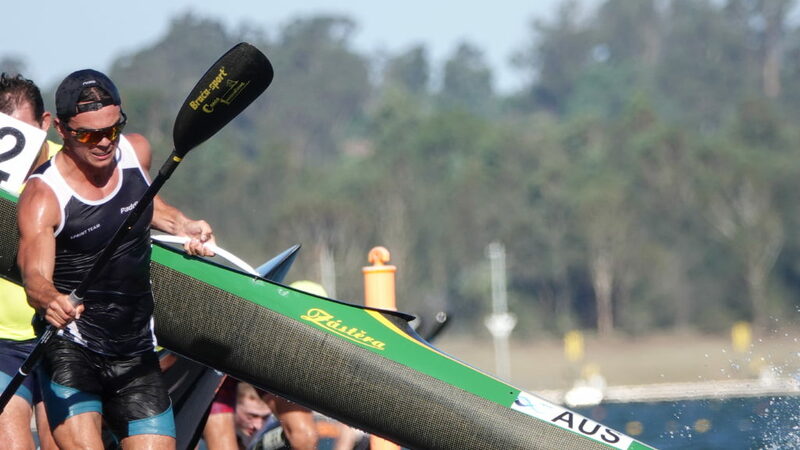 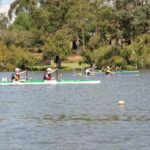 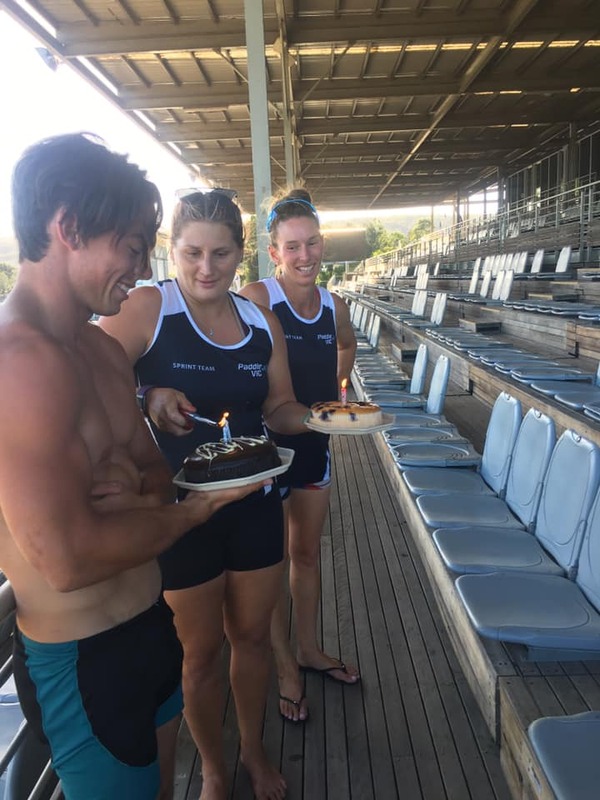 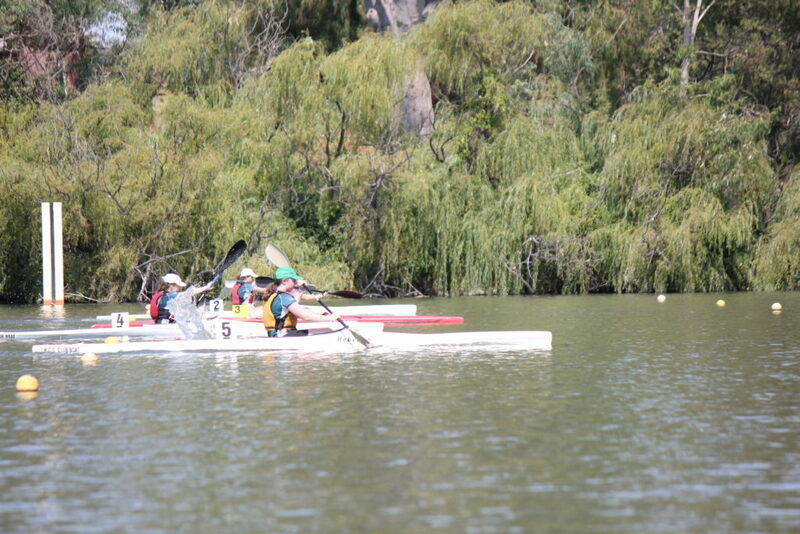 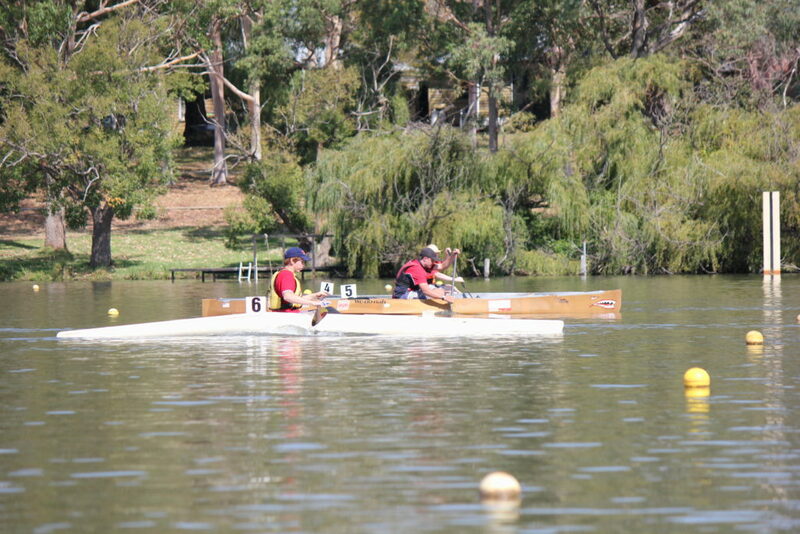 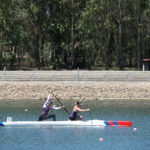 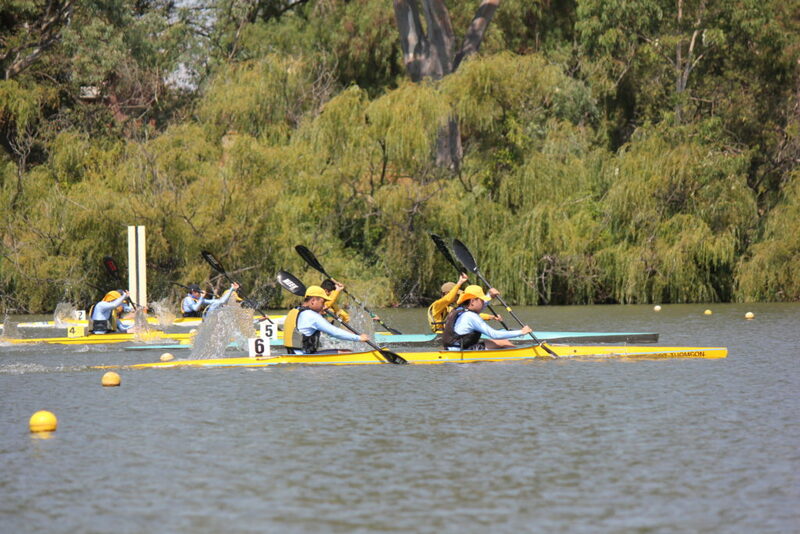 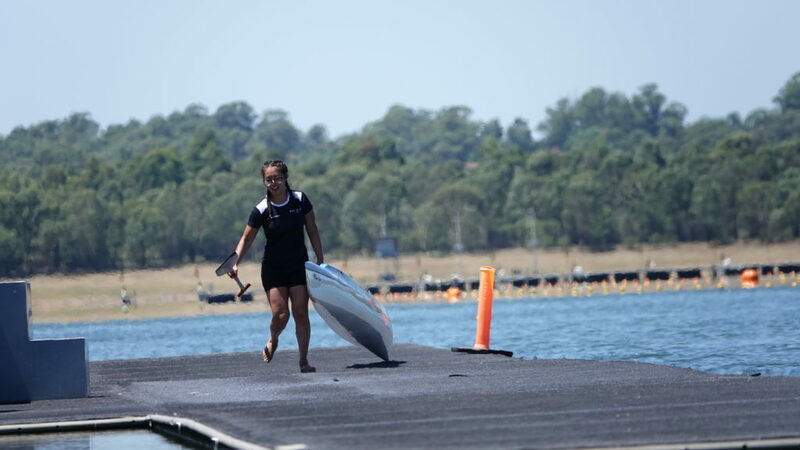 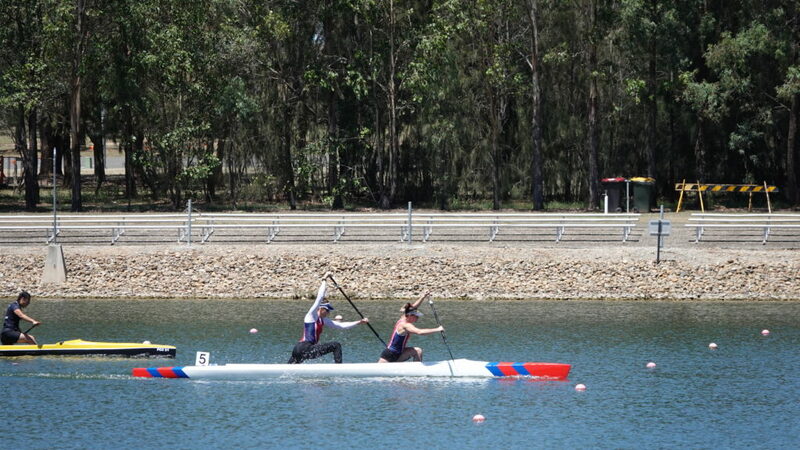 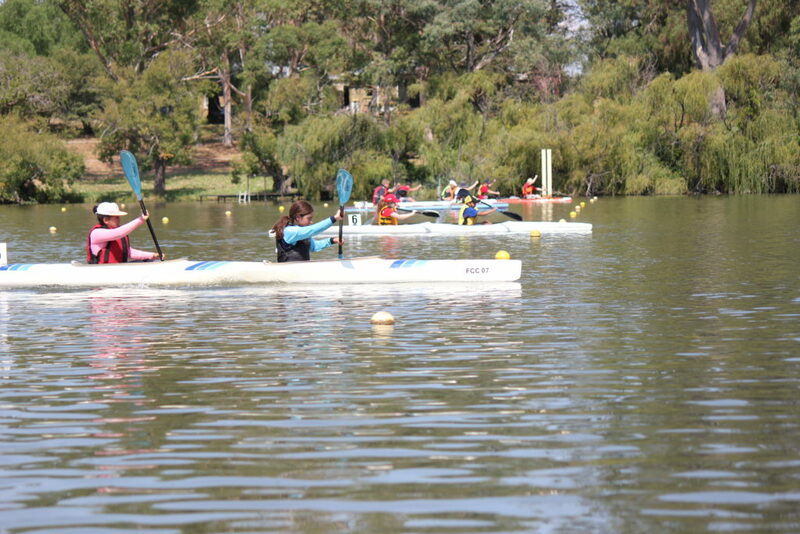 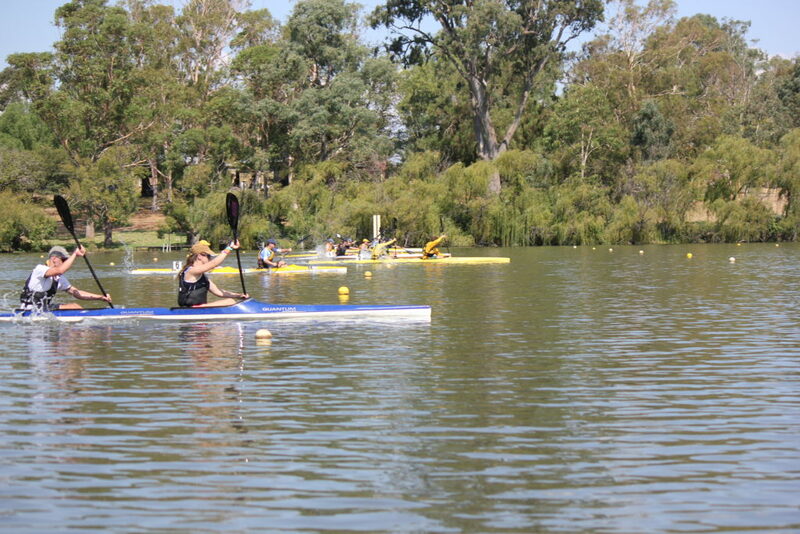 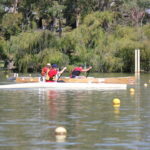 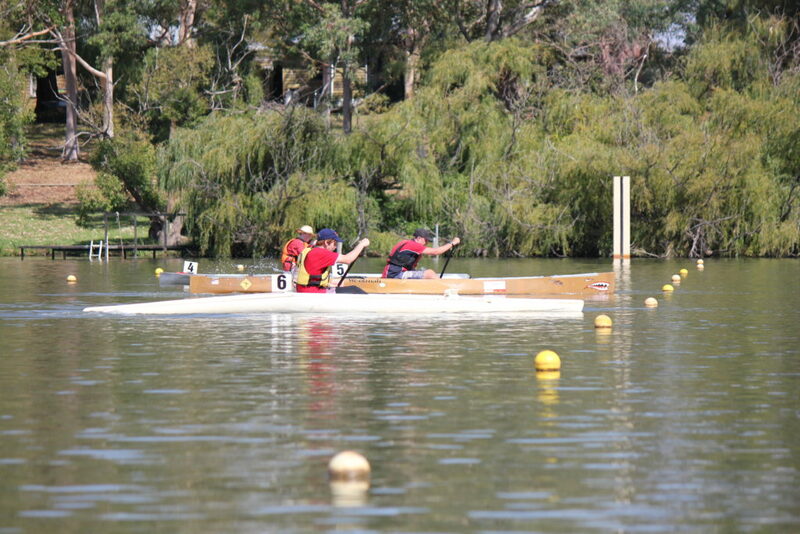 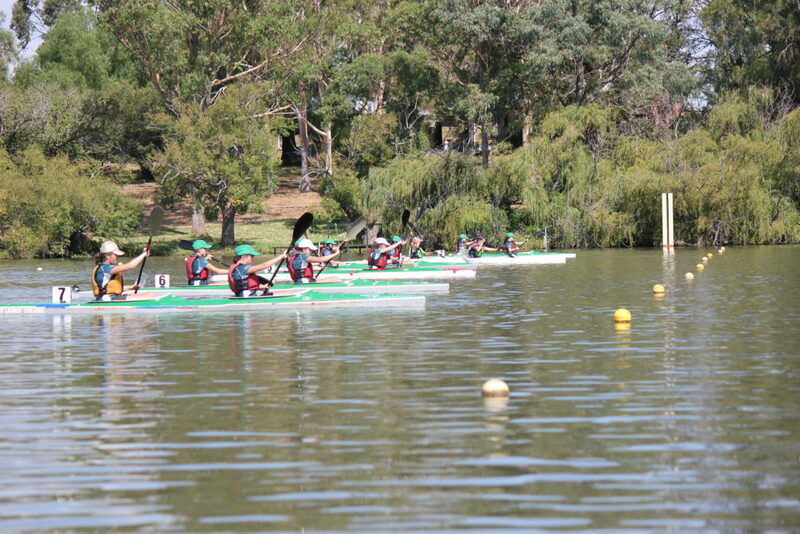 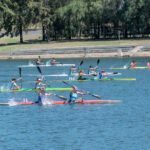 Flatwater Sprint Racing is one of the best-known competitive canoeing disciplines in Australia. 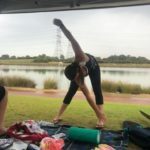 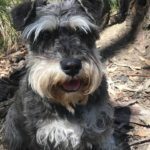 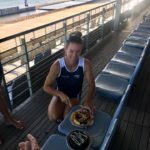 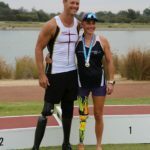 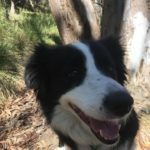 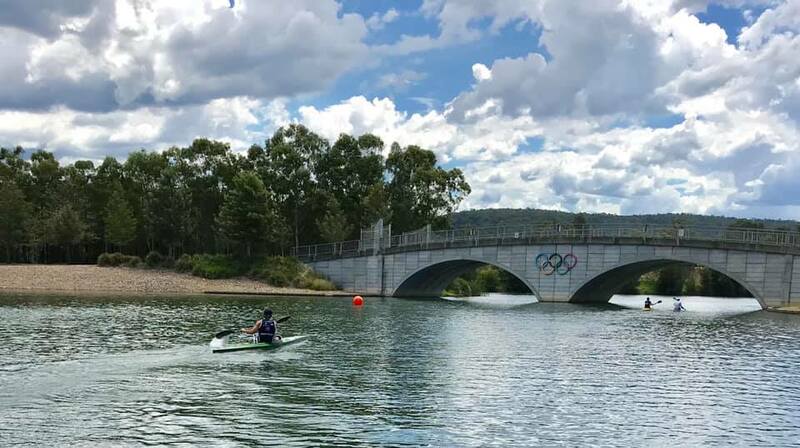 This is probably due to its inclusion in the Olympic Games since 1936 and Australia’s involvement in All Olympics from the 1956 Melbourne Olympic Games. 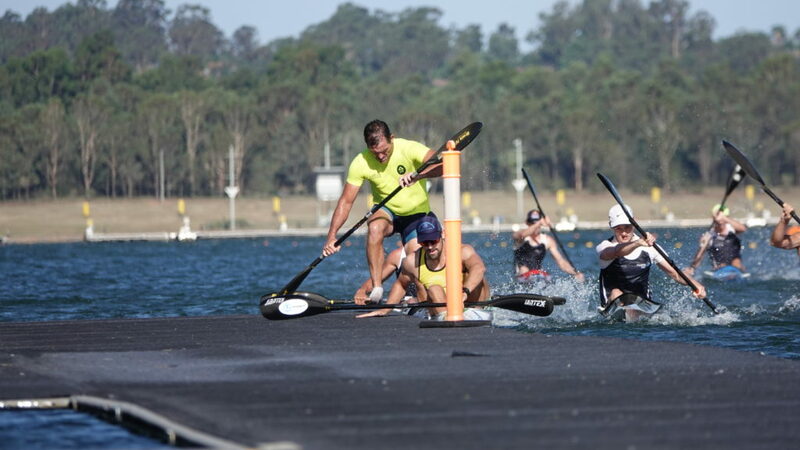 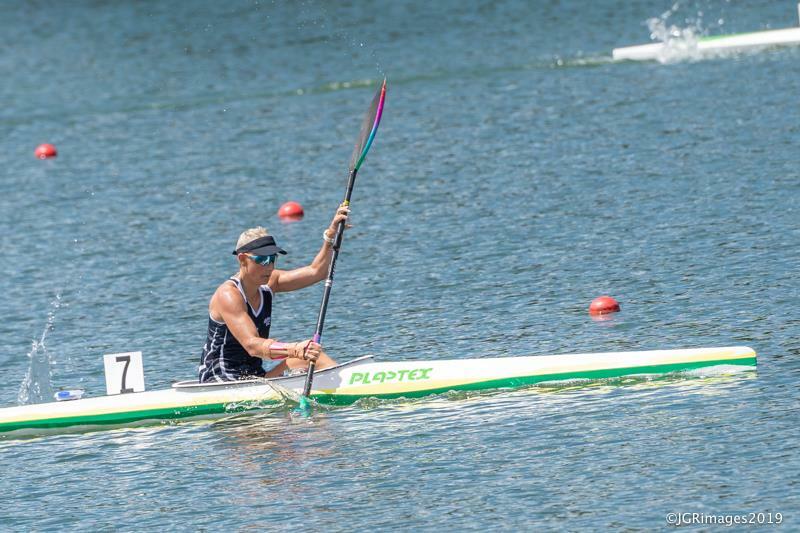 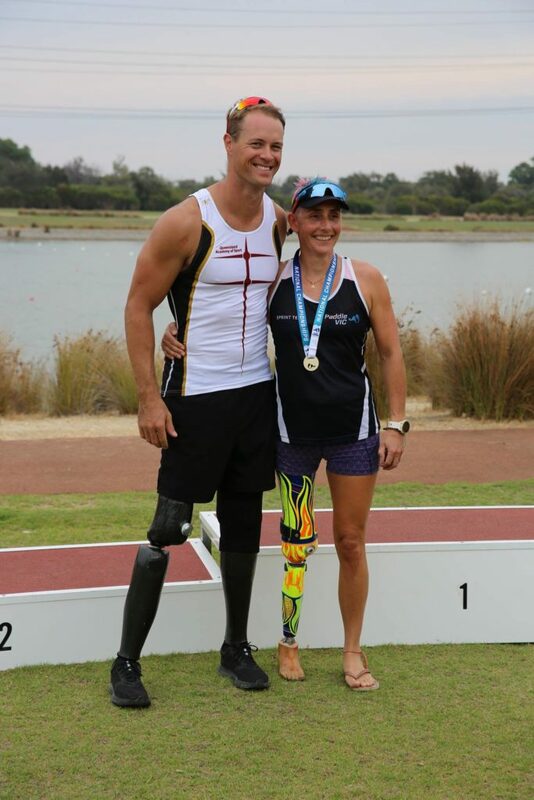 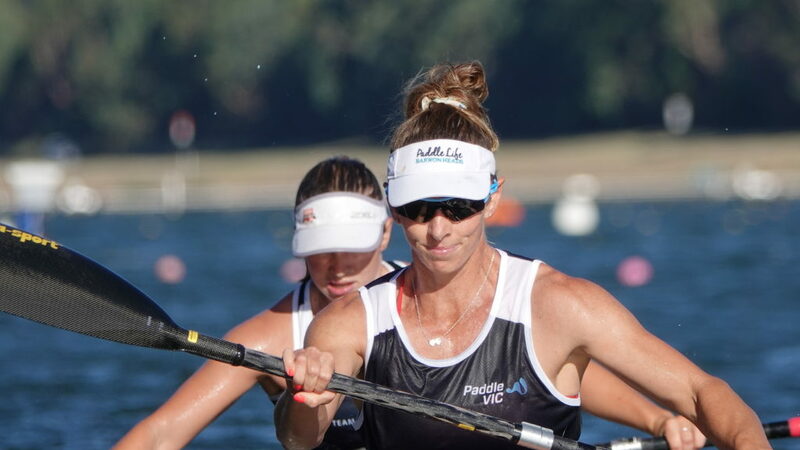 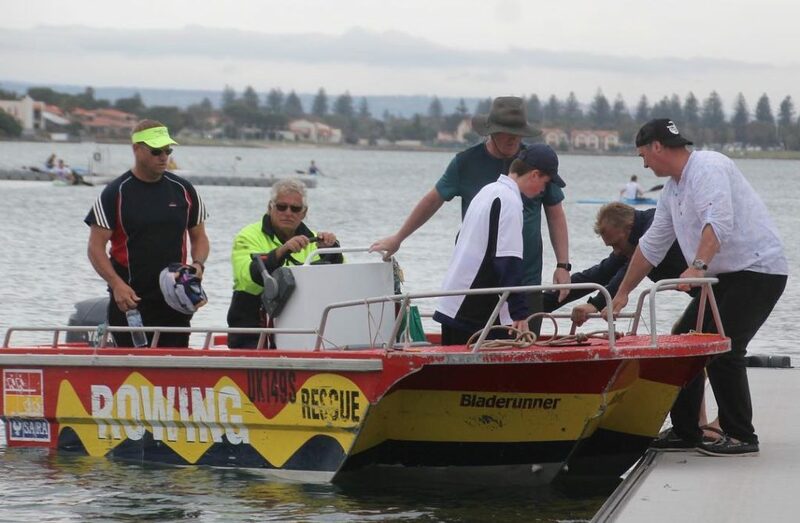 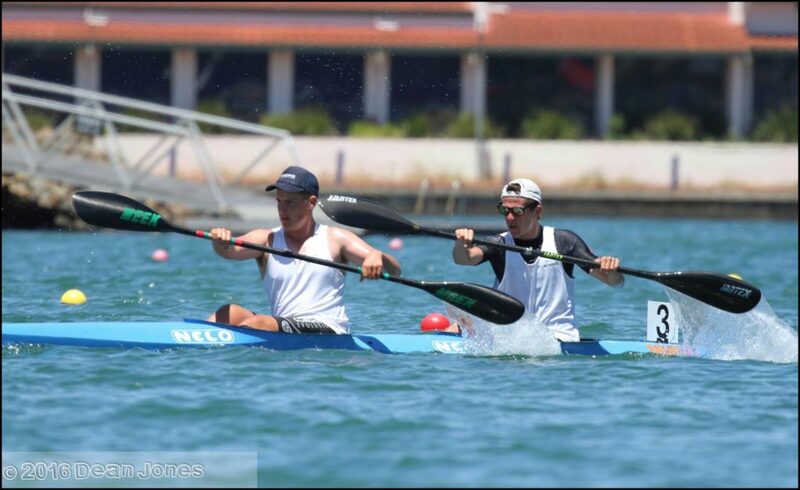 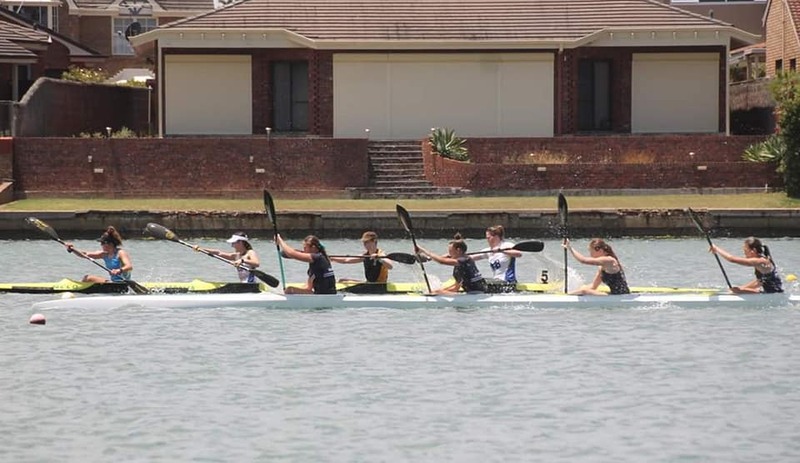 Flatwater Racing is all about speed on flat water over distances of 200 metres, 500 metres and 1000 metres. 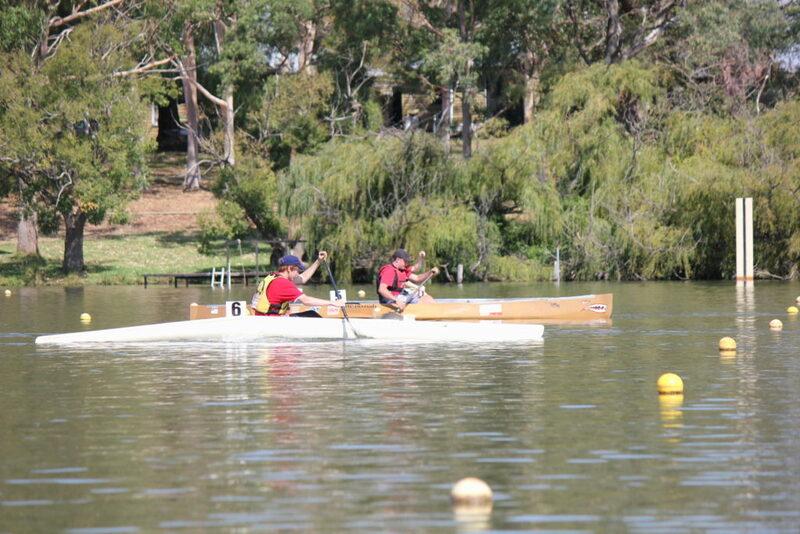 The crafts that have developed are sleek and fast but unstable. 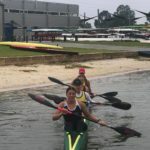 Canoe sprint made its debut at the Olympic Games in Berlin in 1936 with nine men’s events, with that number reduced to eight in London 12 years later to accommodate the first women’s race at the Games, the K1W 500m won by Denmark’s Karen Hoff. 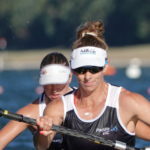 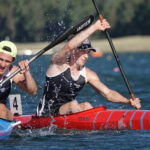 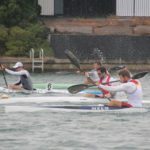 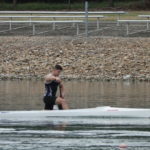 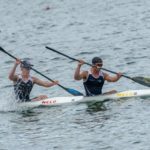 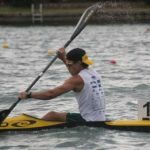 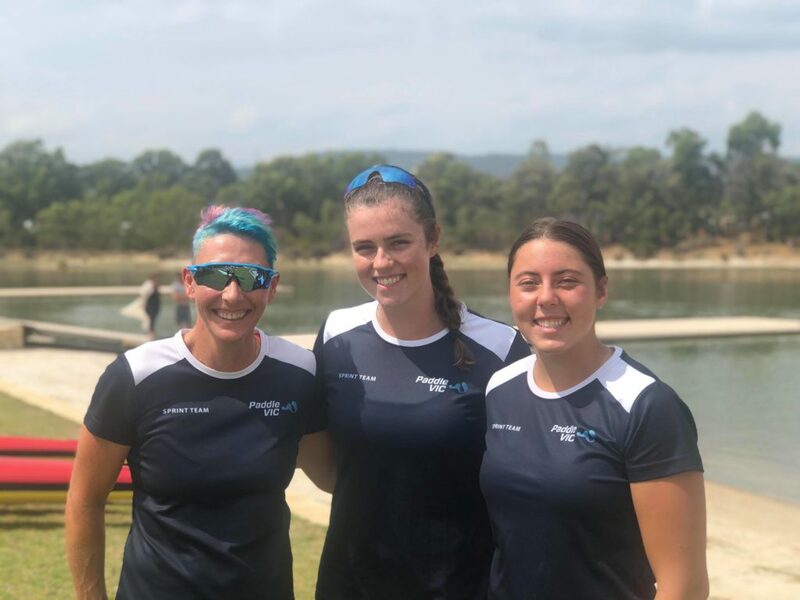 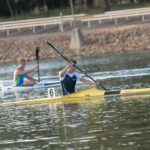 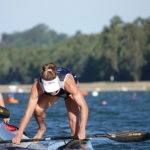 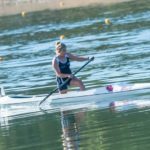 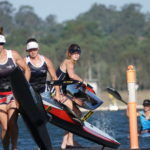 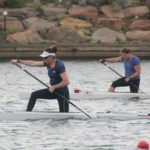 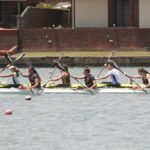 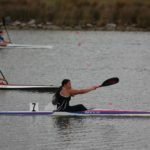 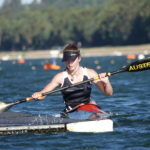 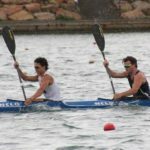 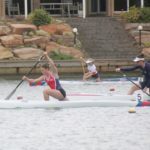 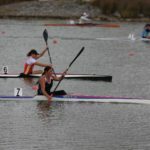 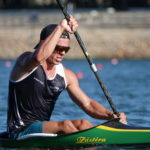 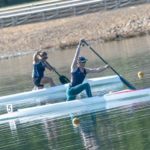 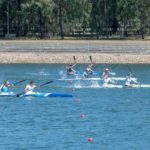 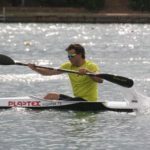 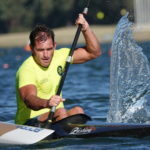 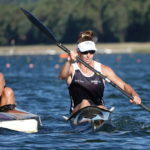 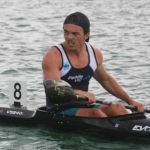 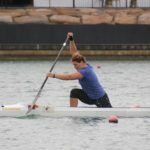 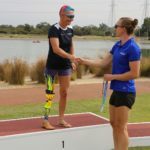 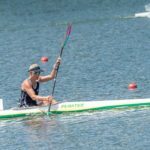 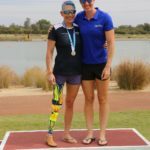 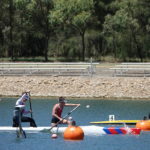 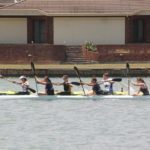 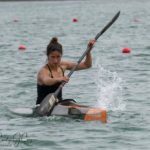 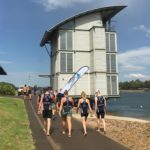 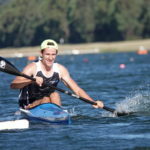 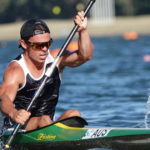 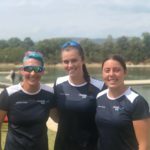 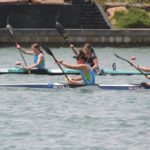 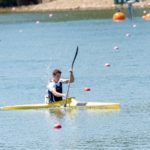 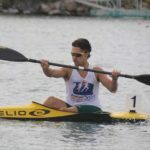 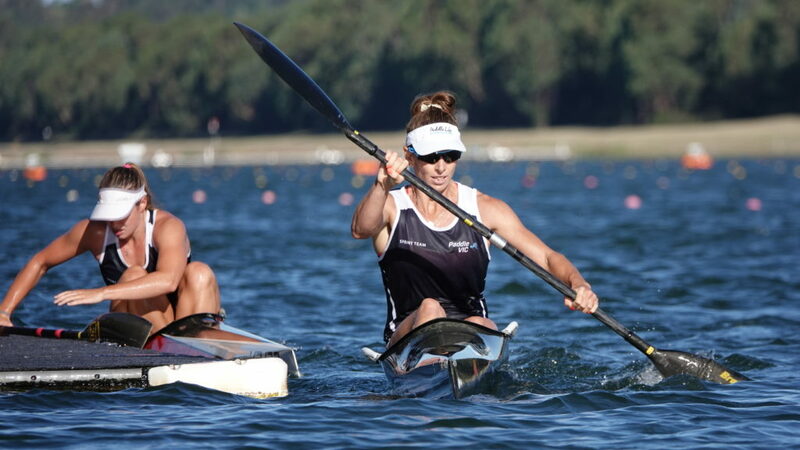 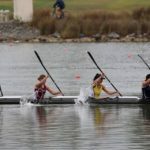 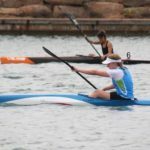 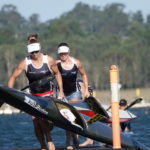 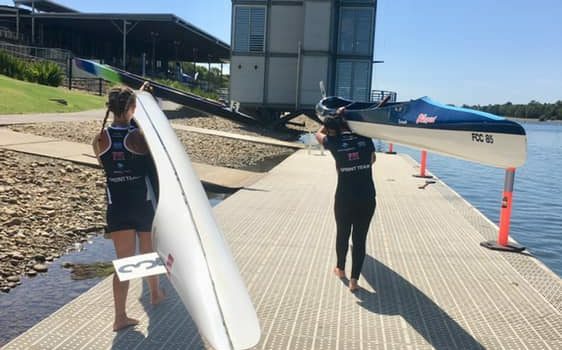 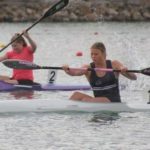 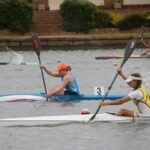 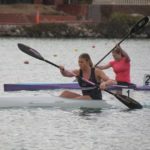 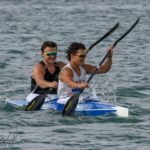 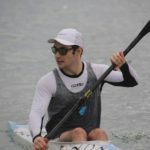 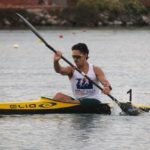 Canoe sprint has featured in every Games since, and the 2020 programme in Tokyo will consist of six men’s and six women’s events. 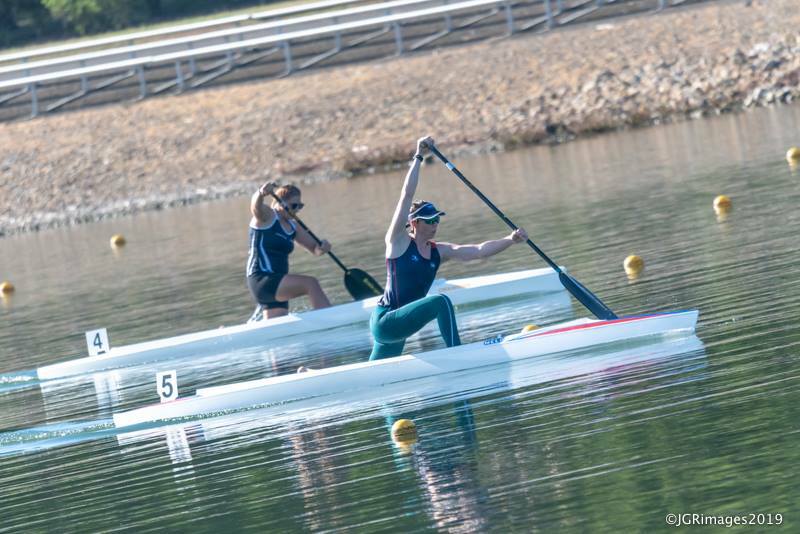 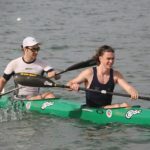 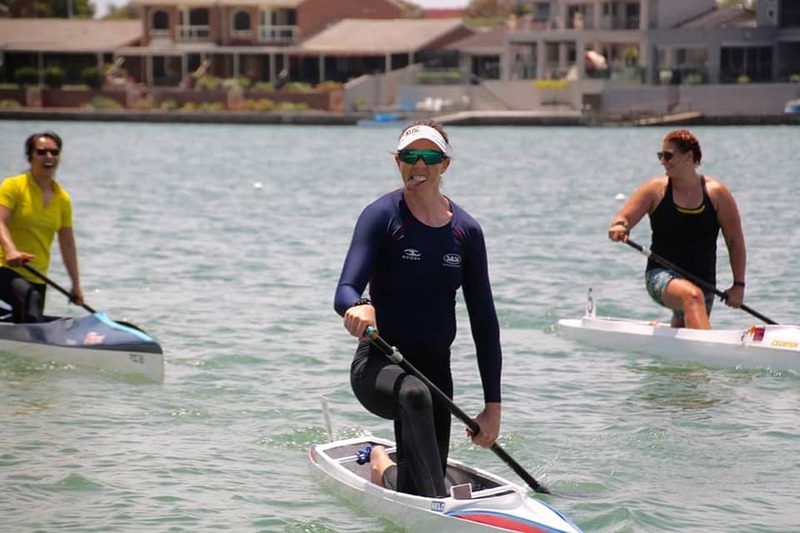 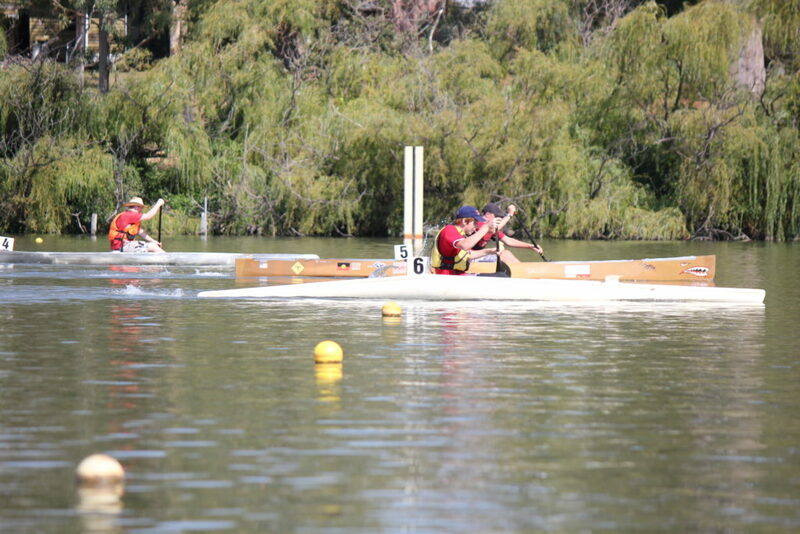 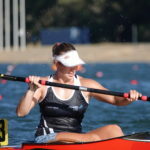 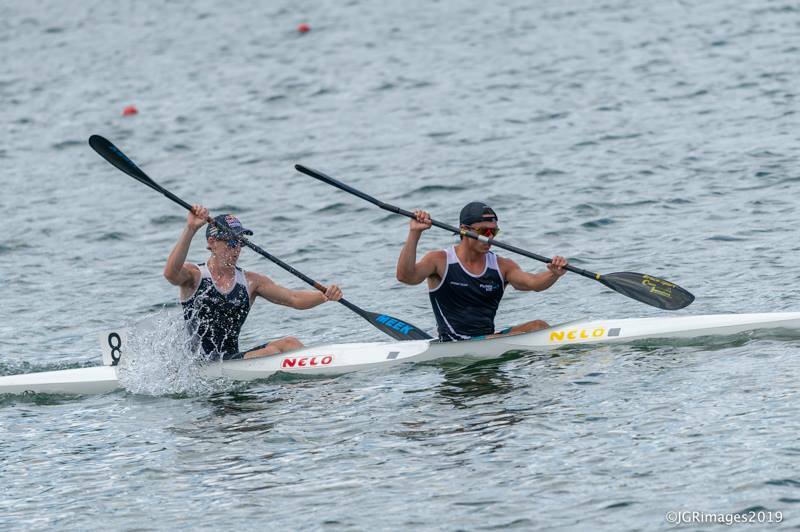 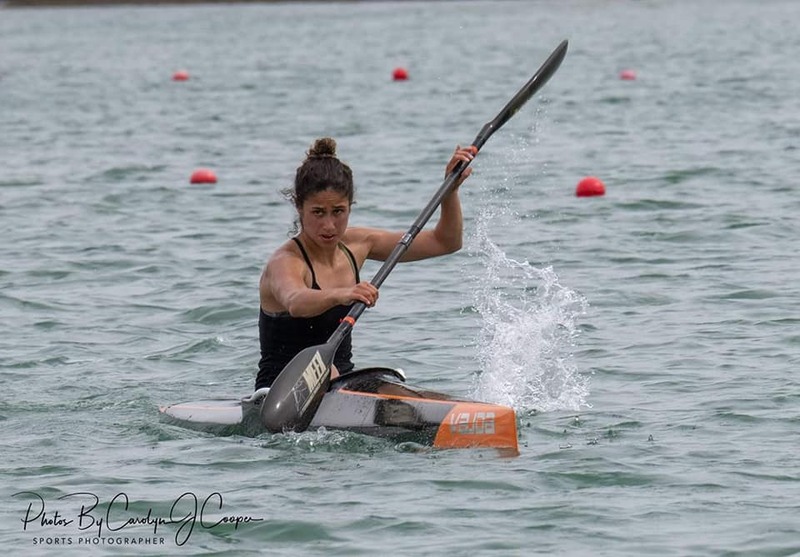 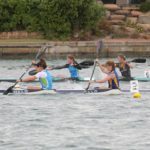 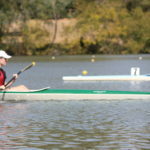 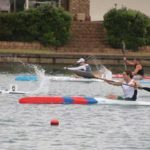 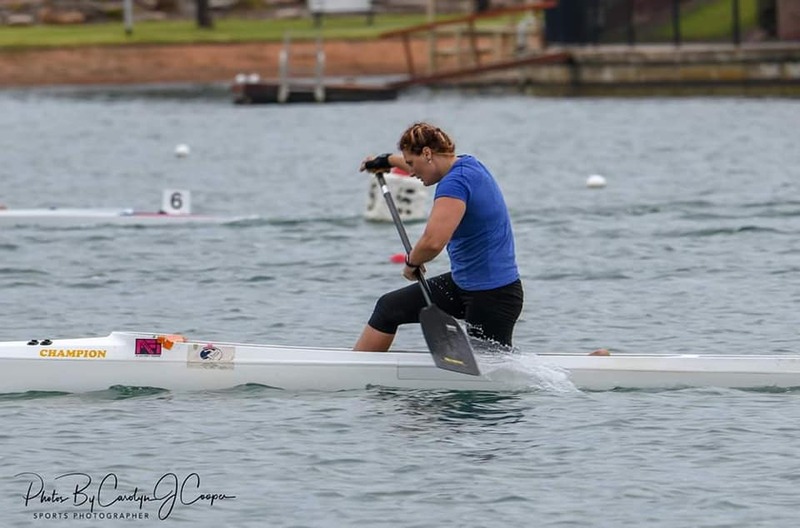 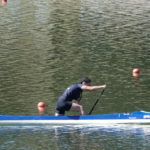 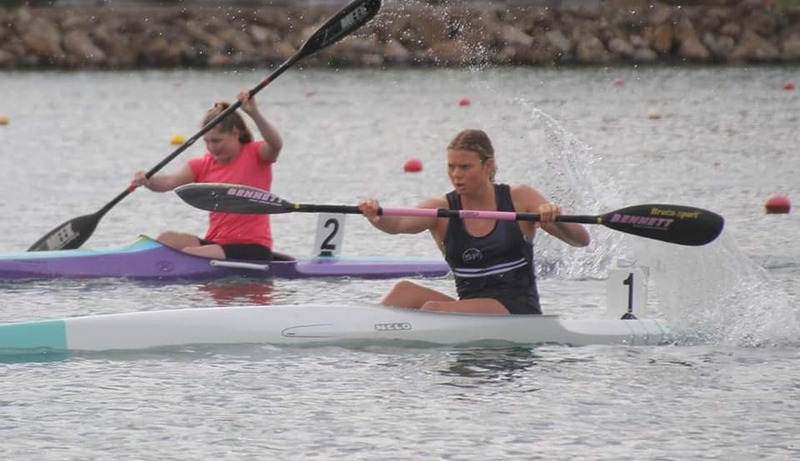 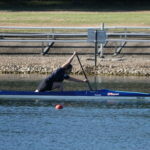 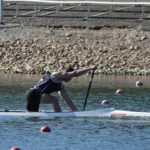 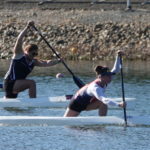 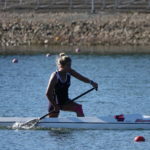 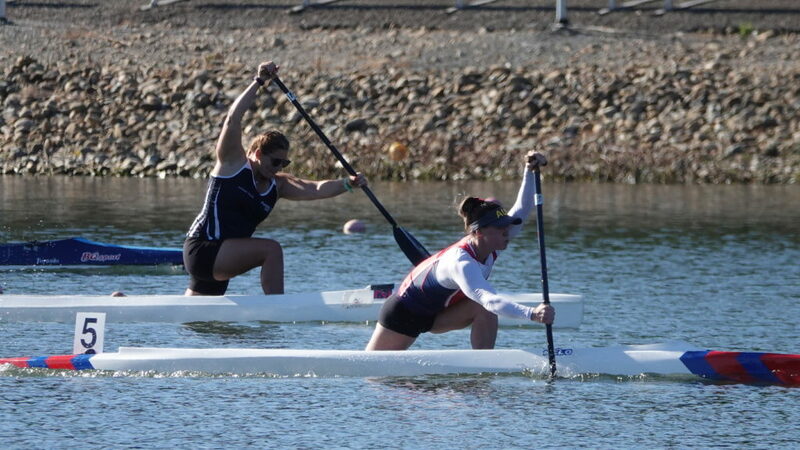 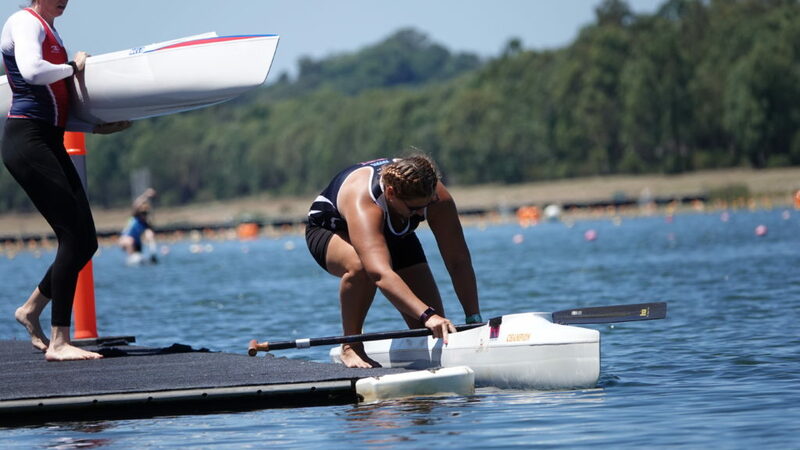 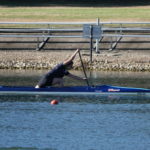 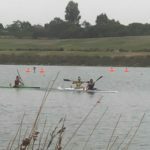 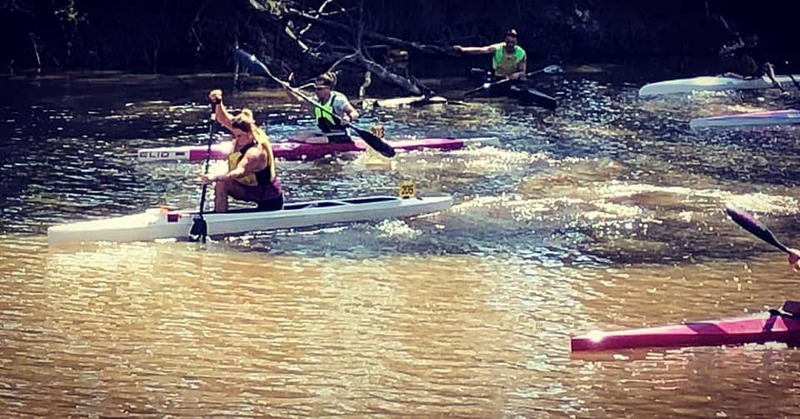 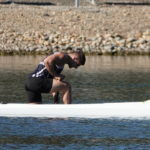 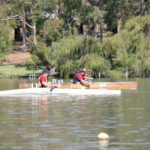 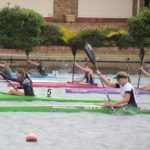 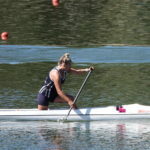 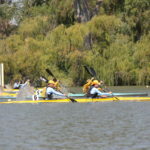 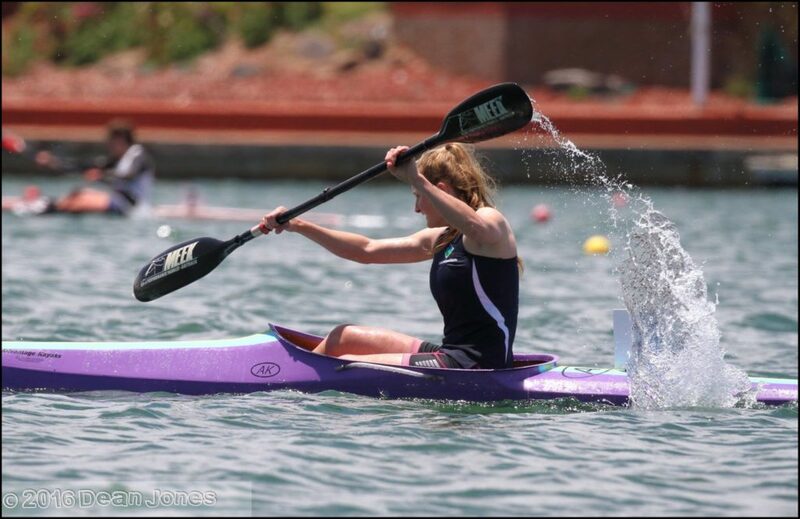 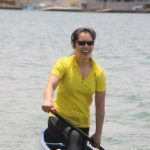 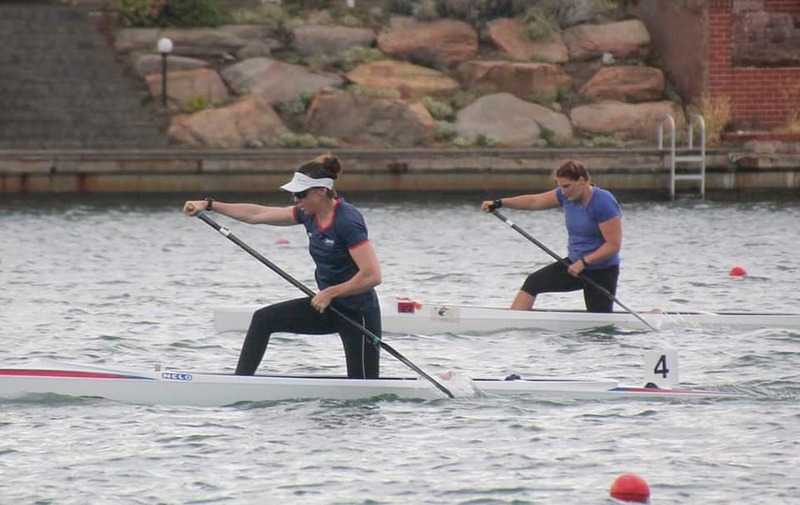 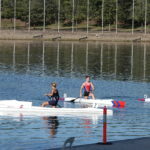 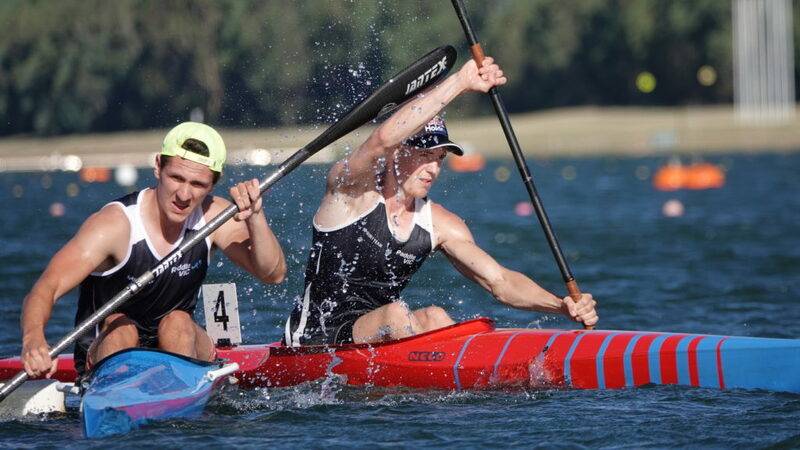 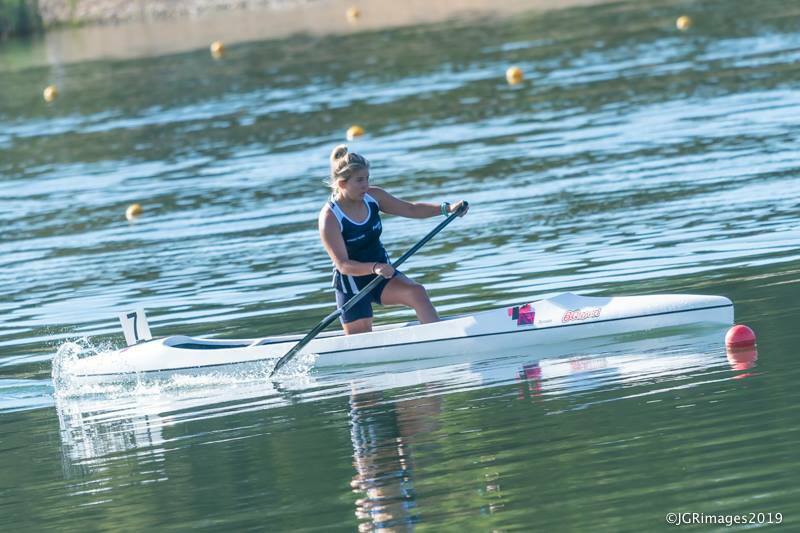 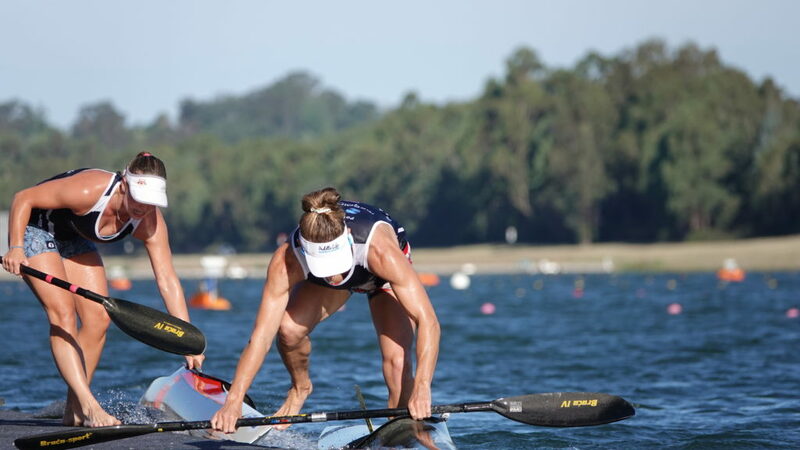 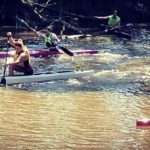 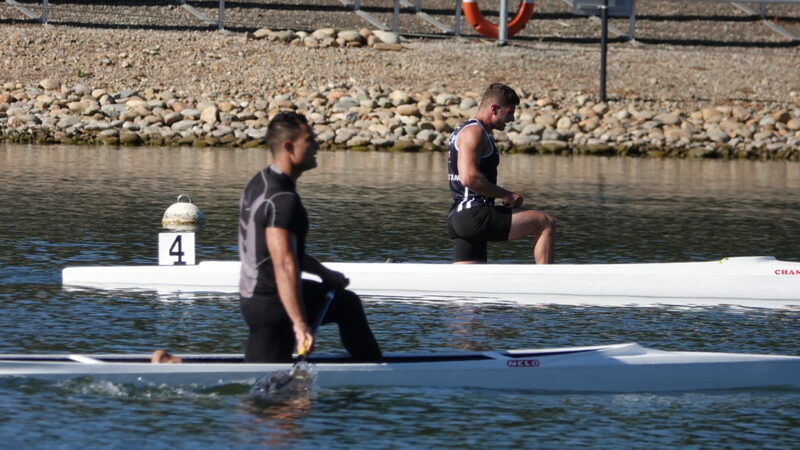 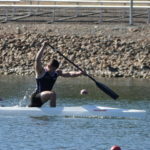 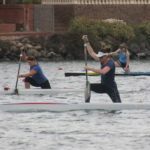 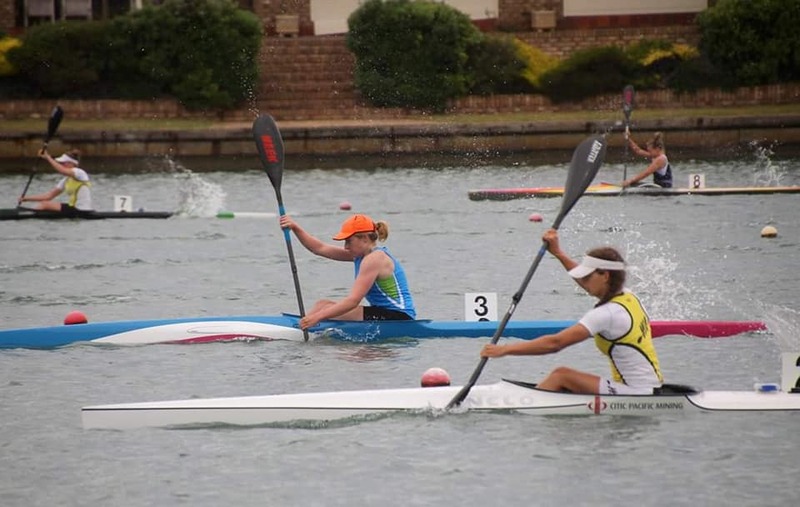 Both canoes and kayaks compete in the sprint discipline and are distinguished on the results sheet by their initial letter C and K followed by the number of competitors in the boat, the gender and then the distance. 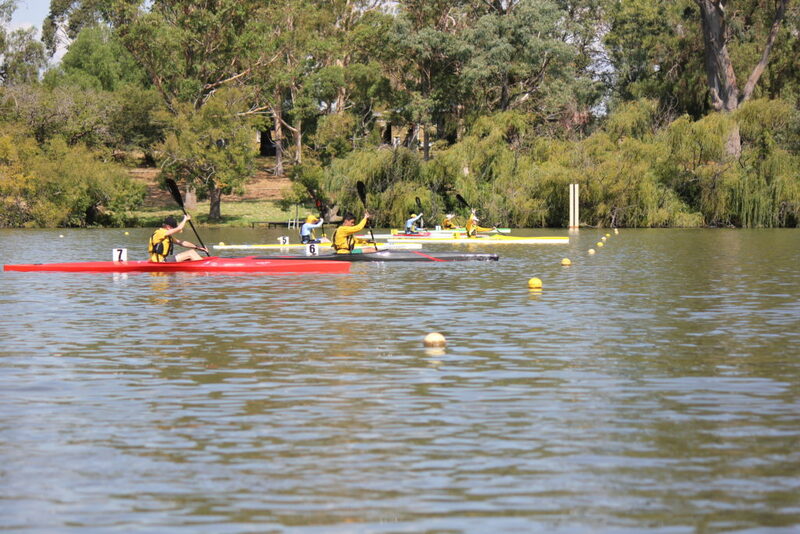 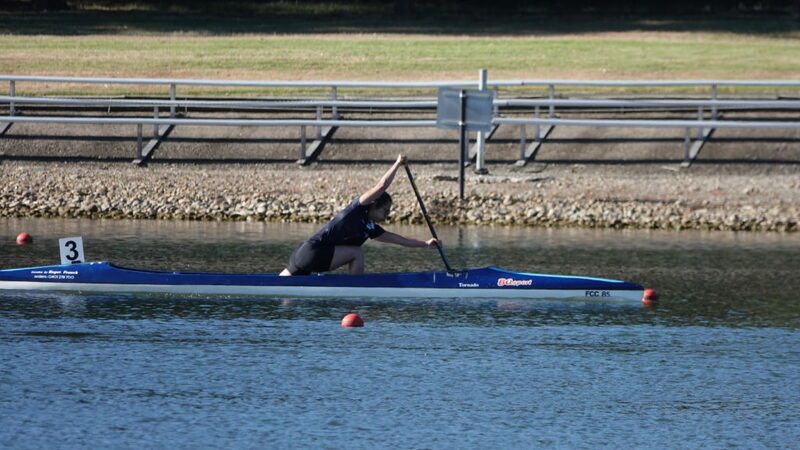 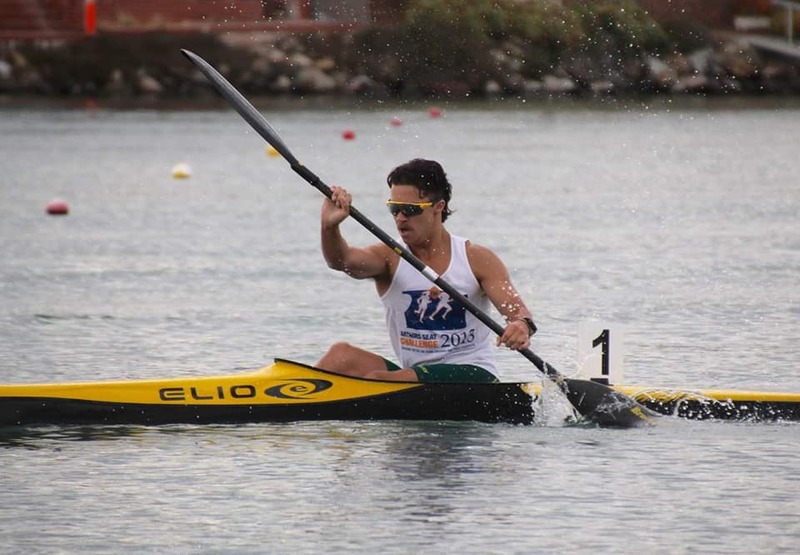 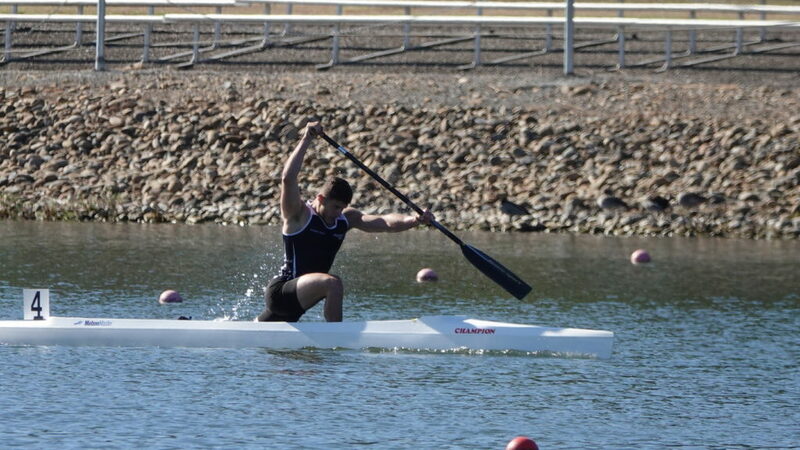 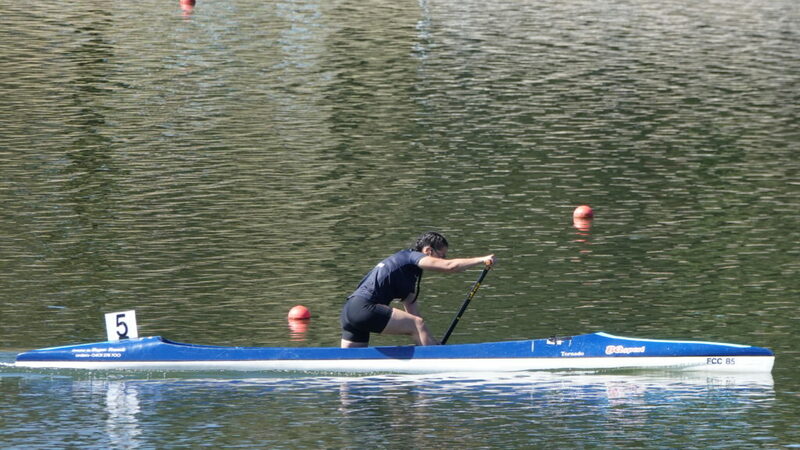 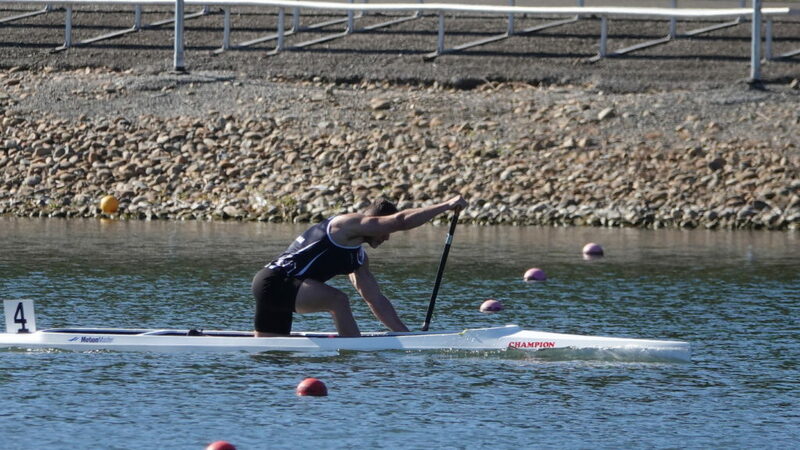 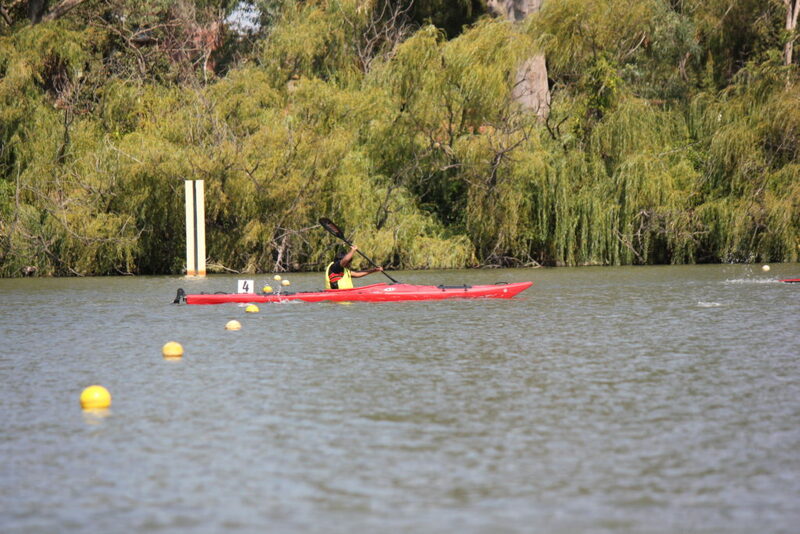 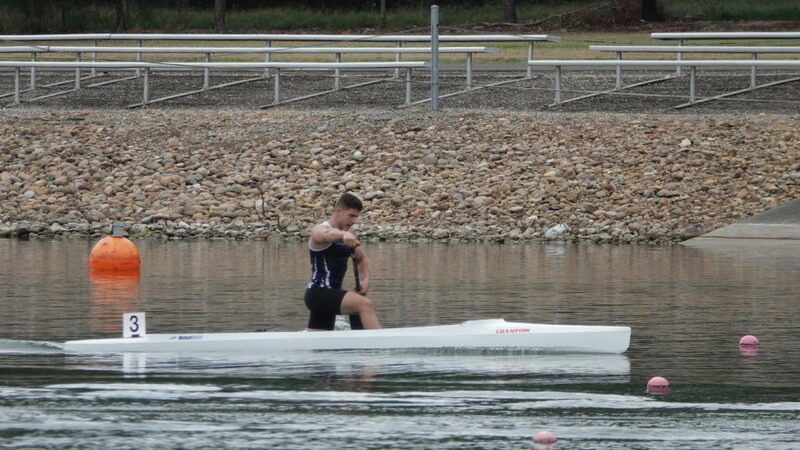 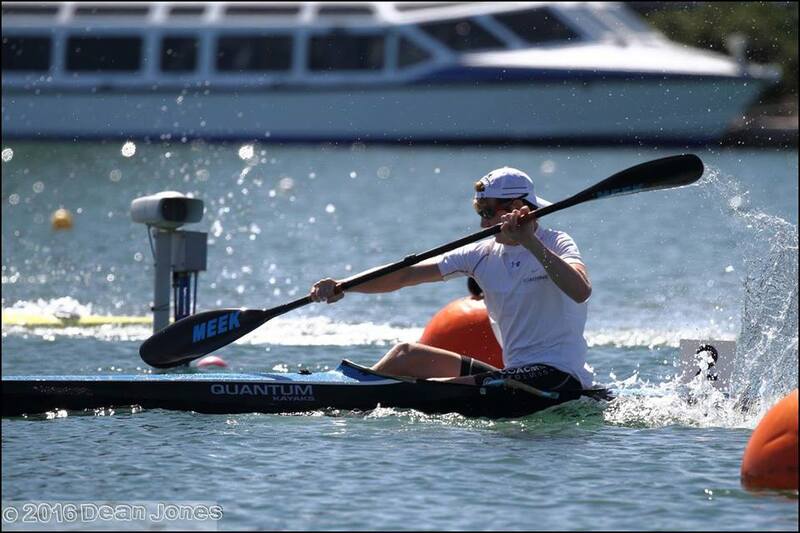 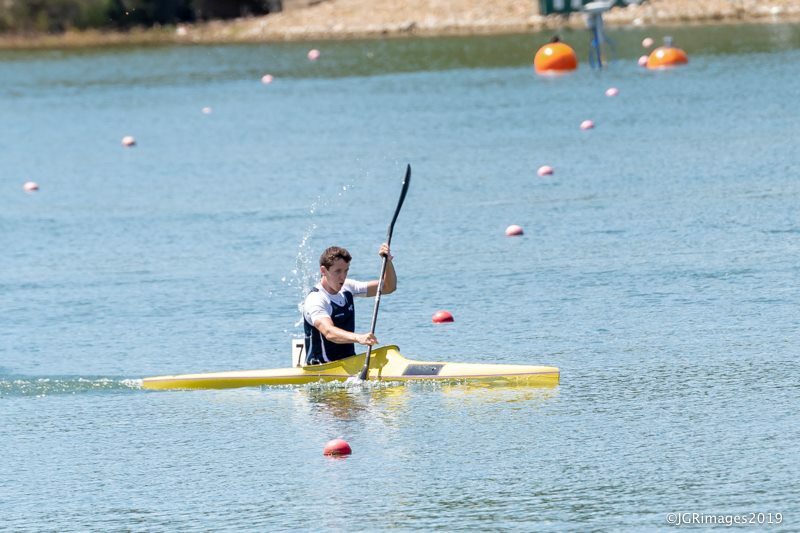 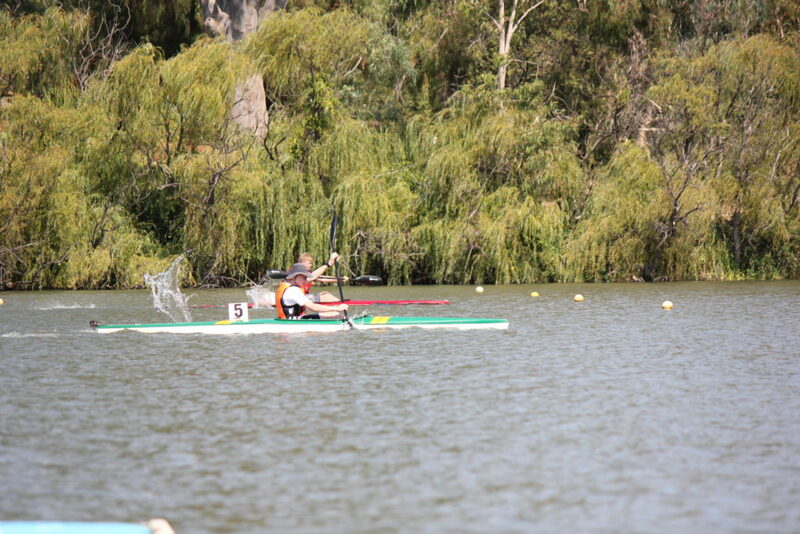 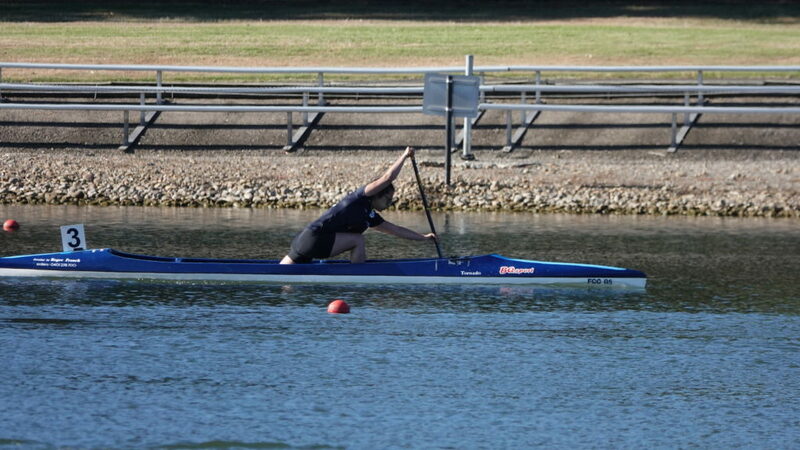 For example, K1M 200m is Kayak Men’s Singles over 200 meters. 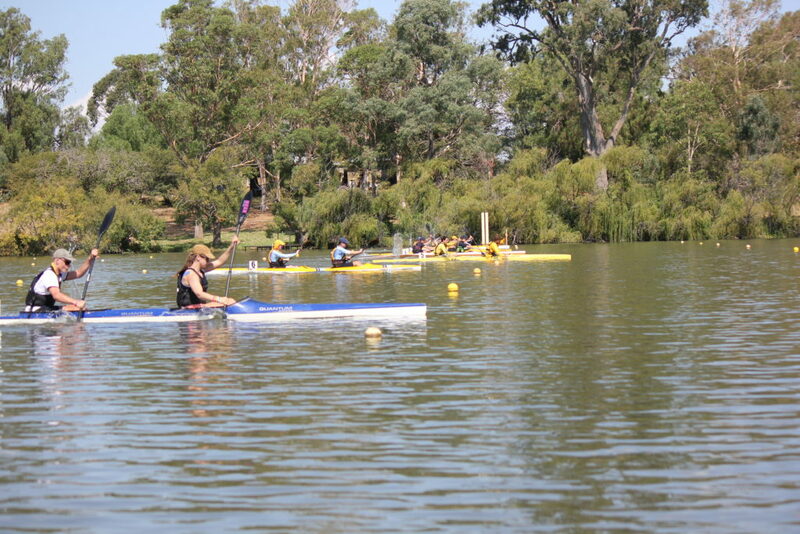 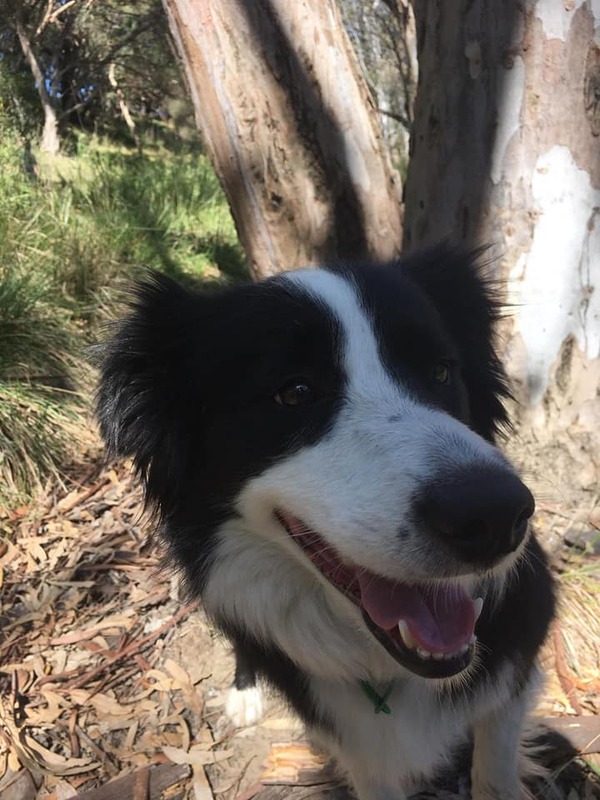 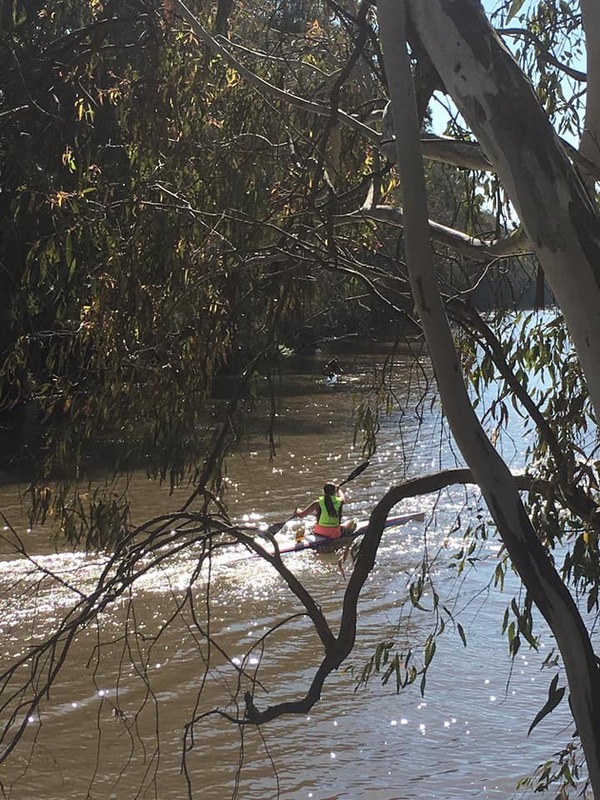 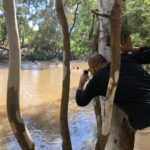 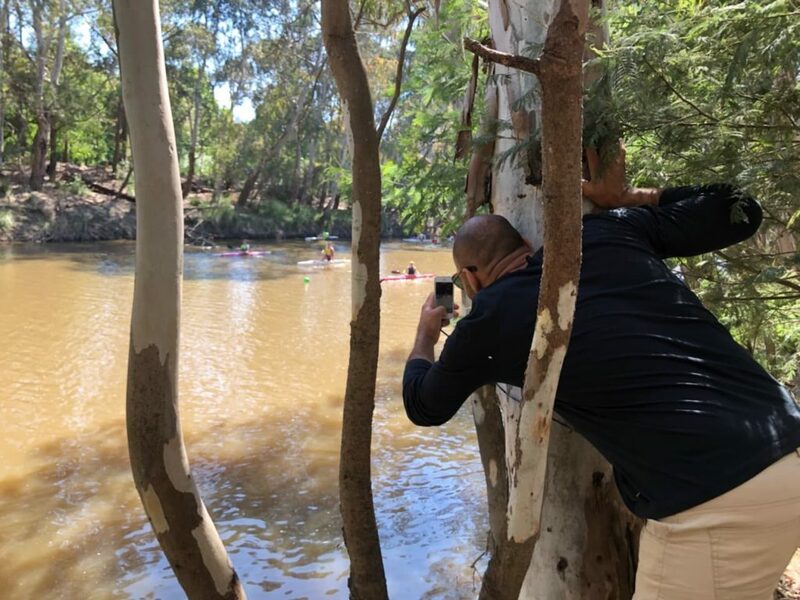 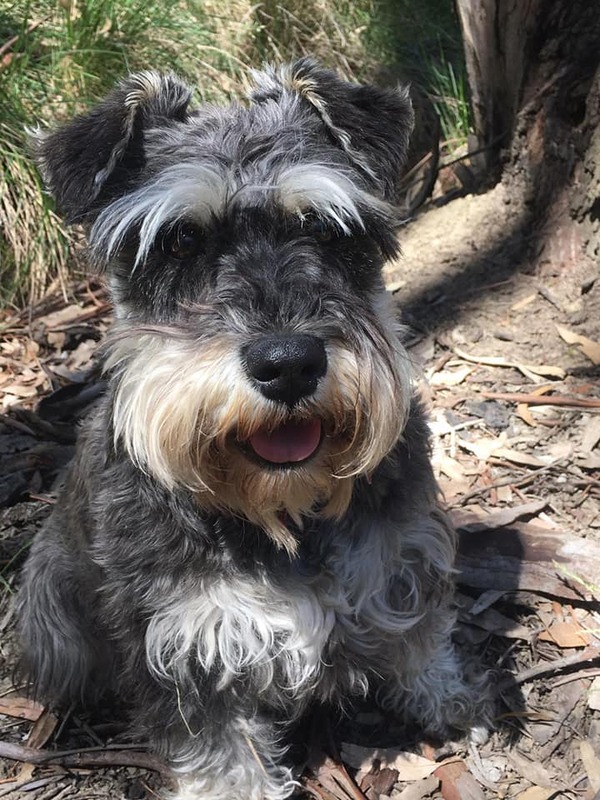 For more information email Reka or Canoeing Victoria office by email or on (03) 9020 2750. 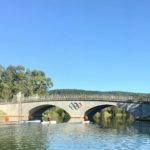 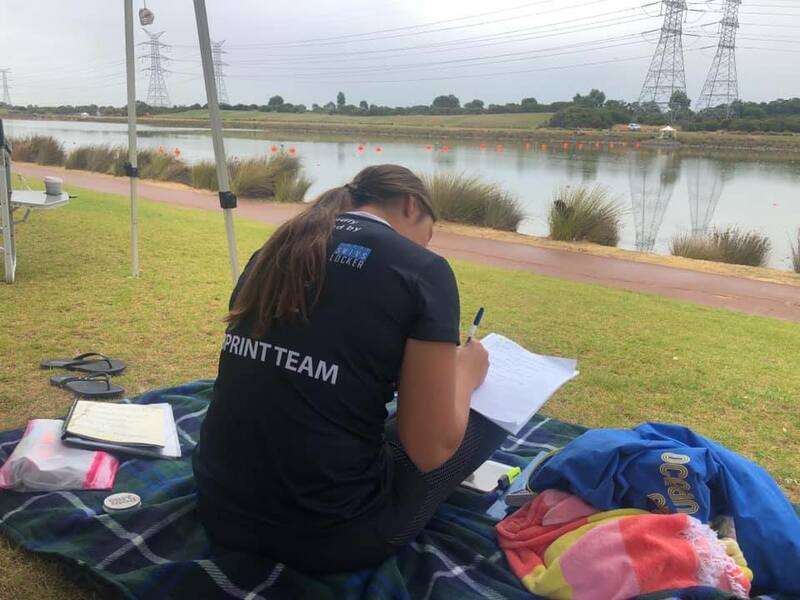 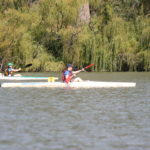 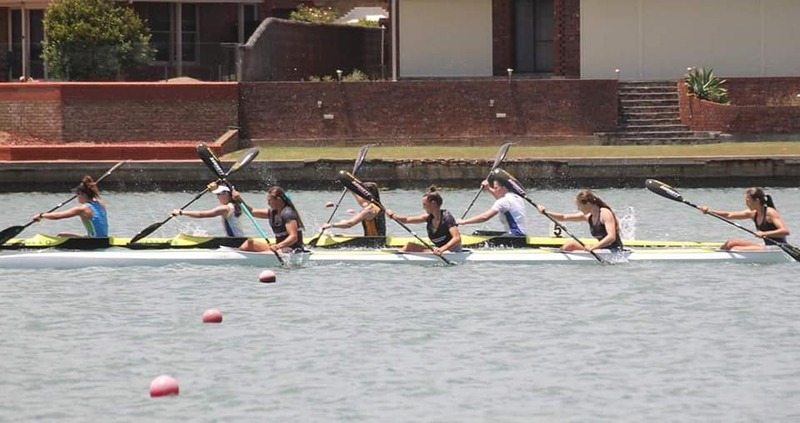 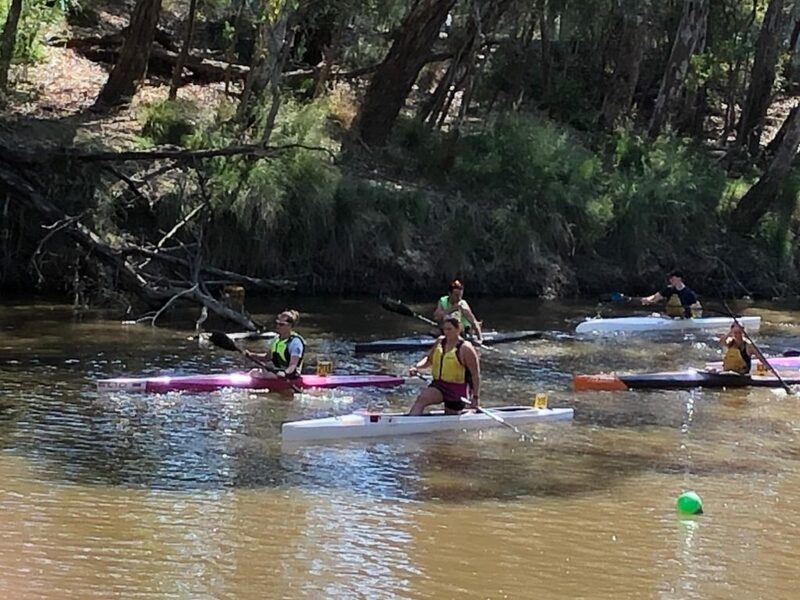 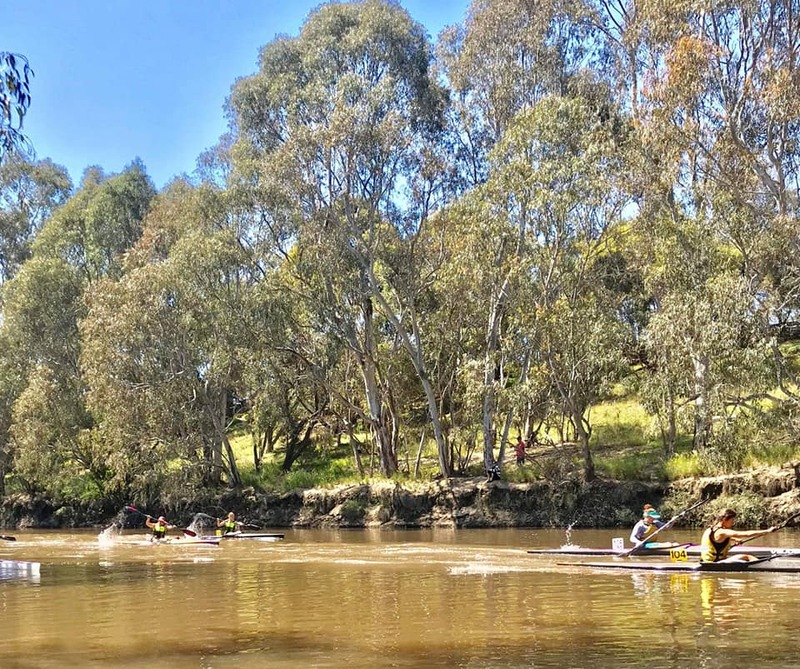 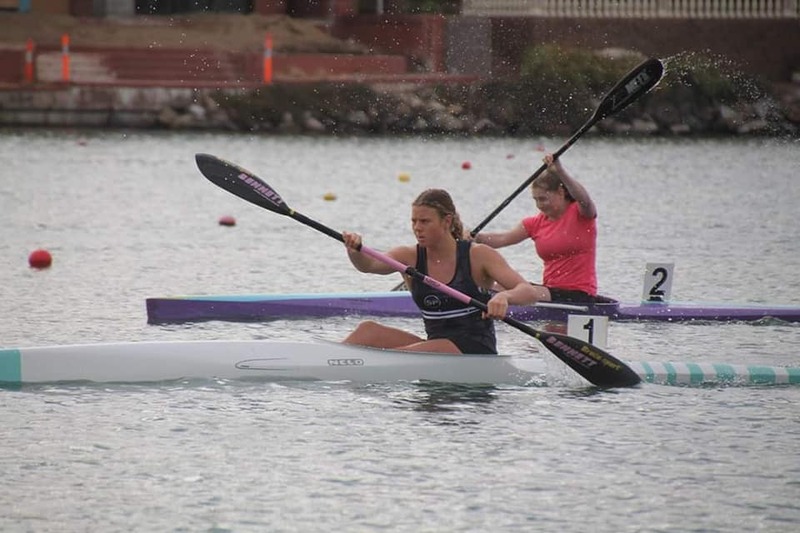 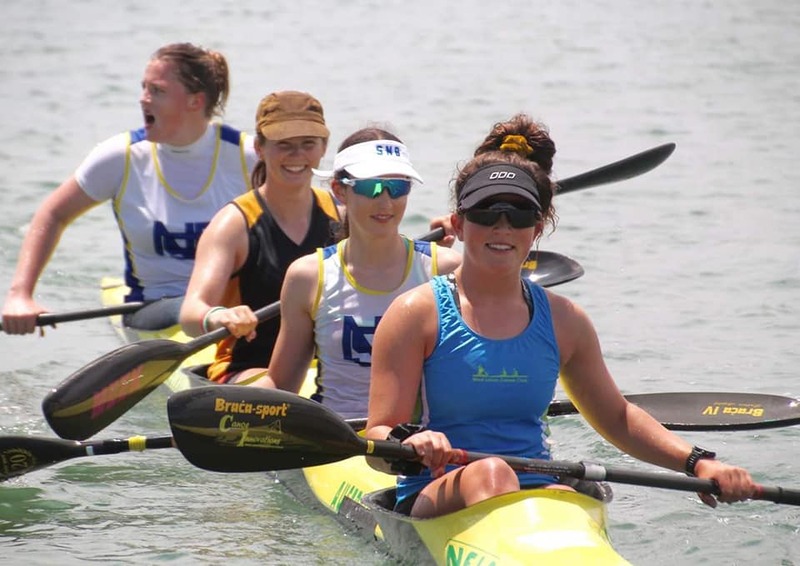 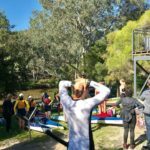 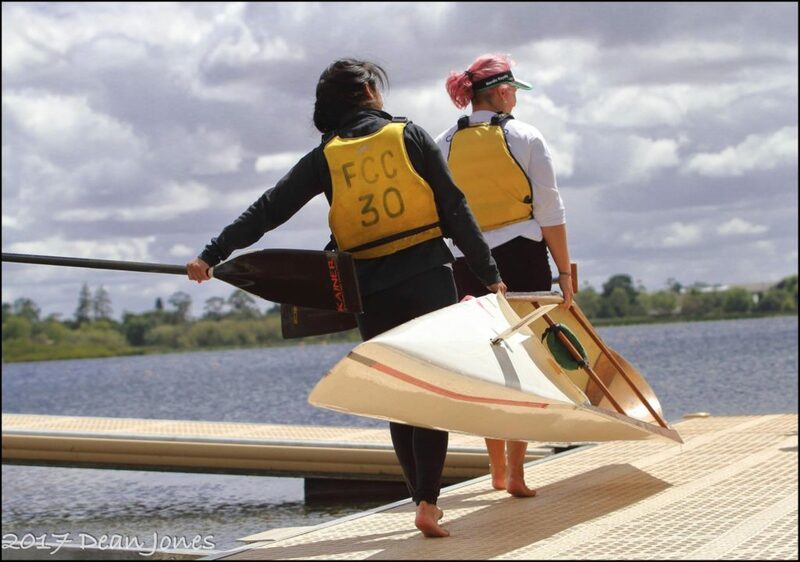 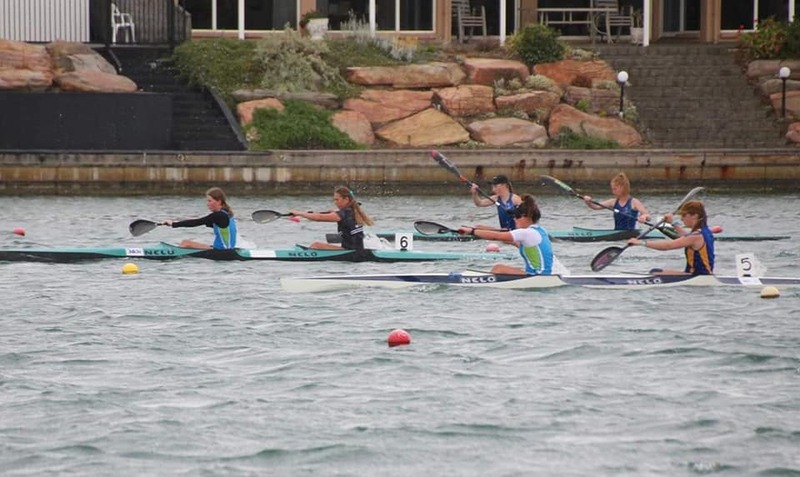 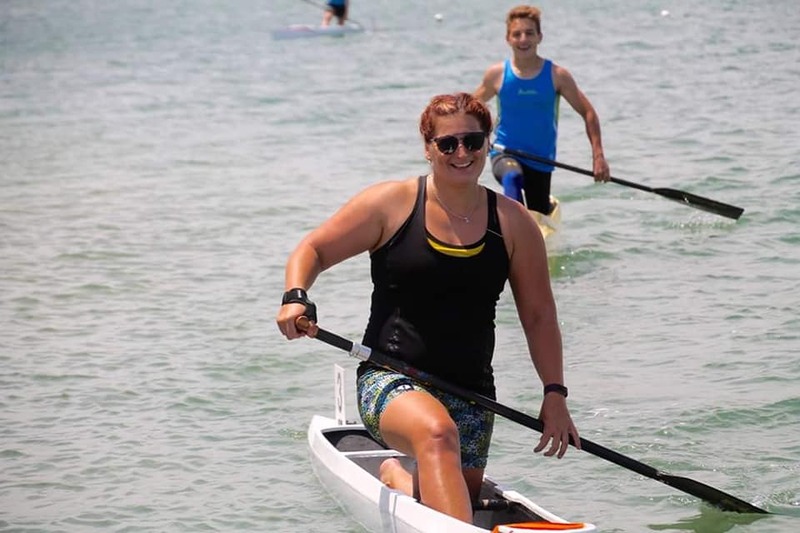 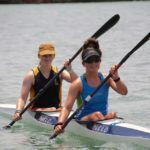 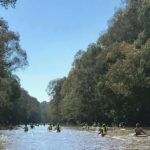 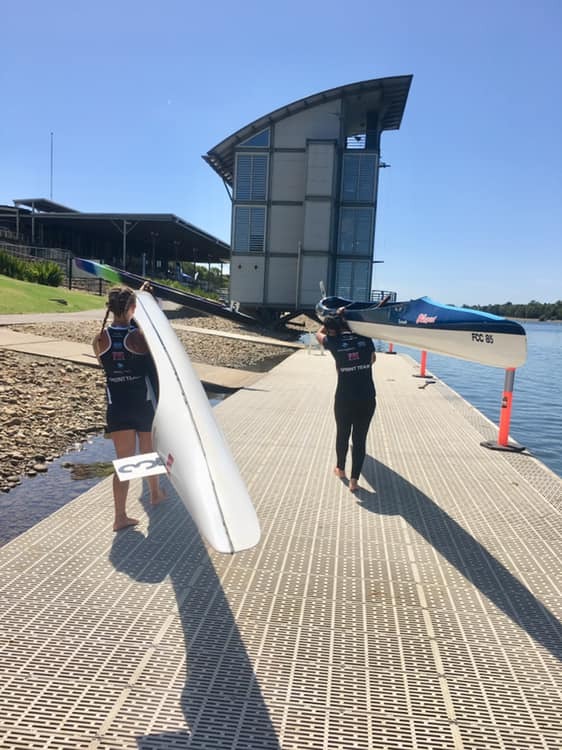 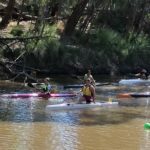 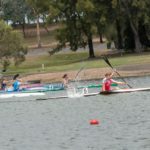 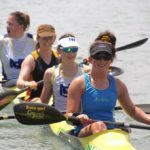 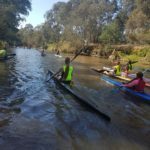 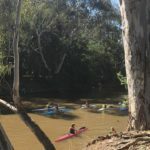 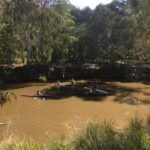 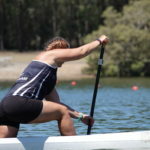 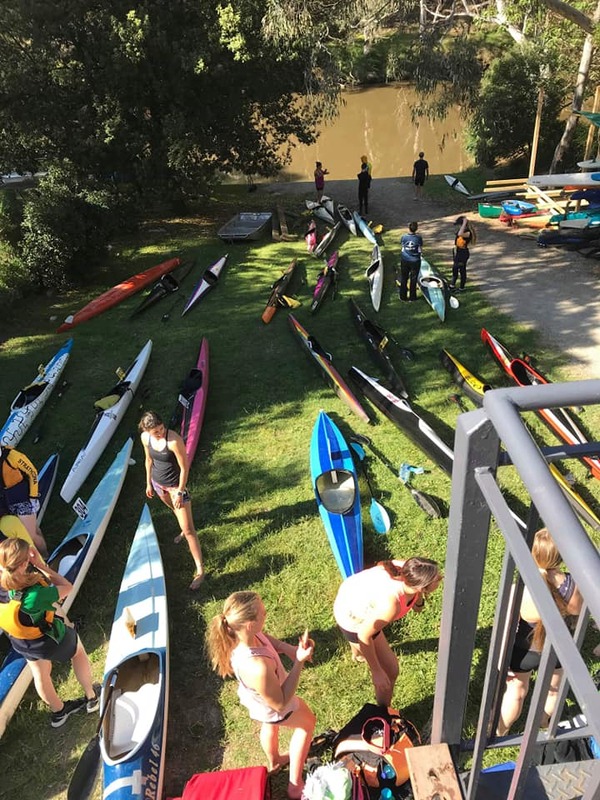 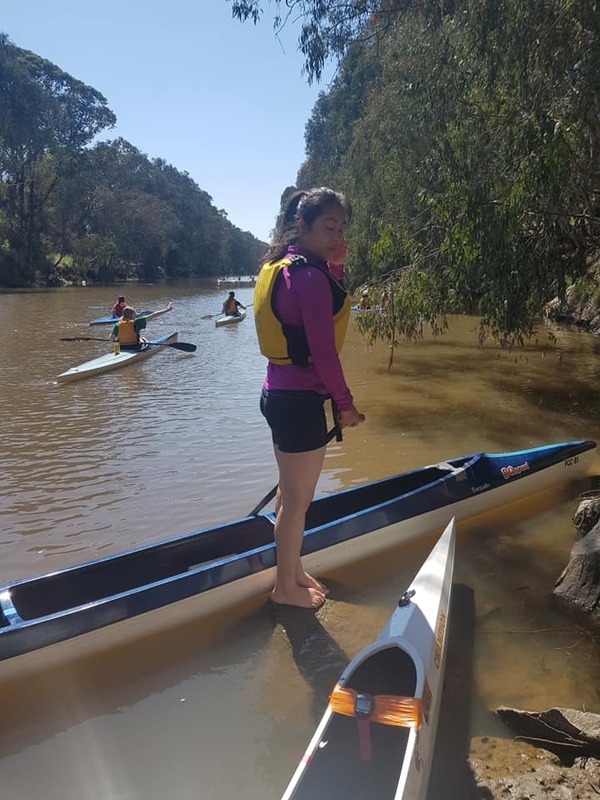 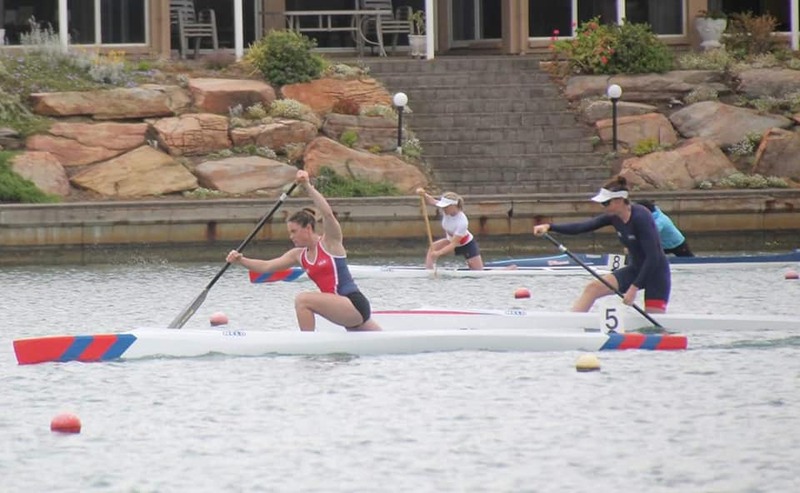 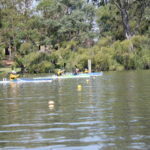 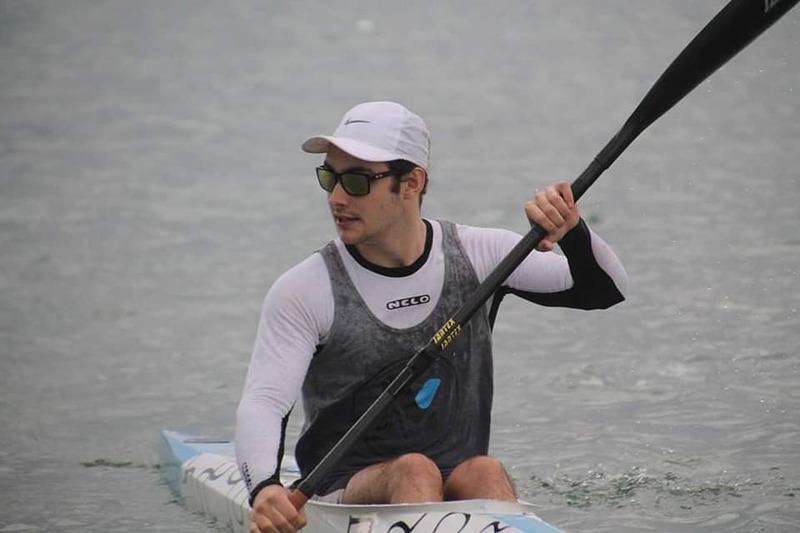 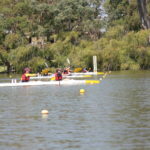 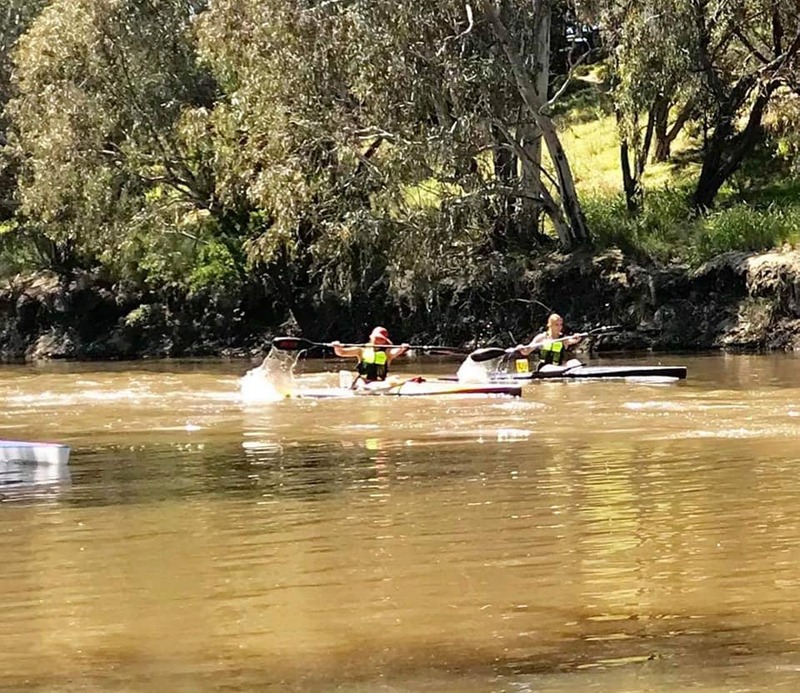 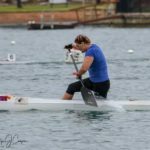 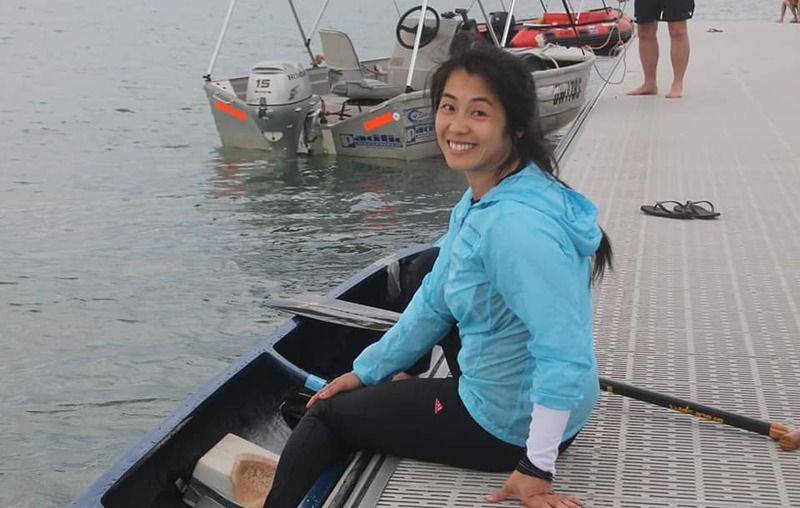 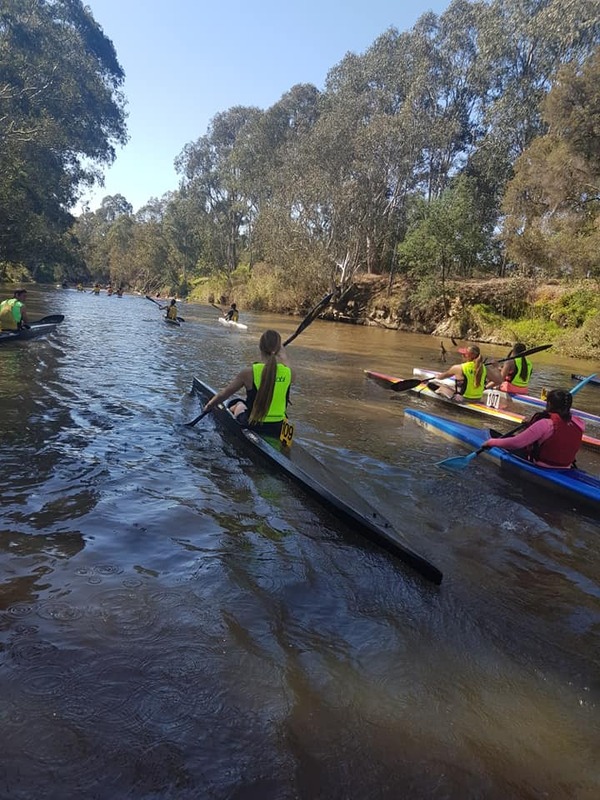 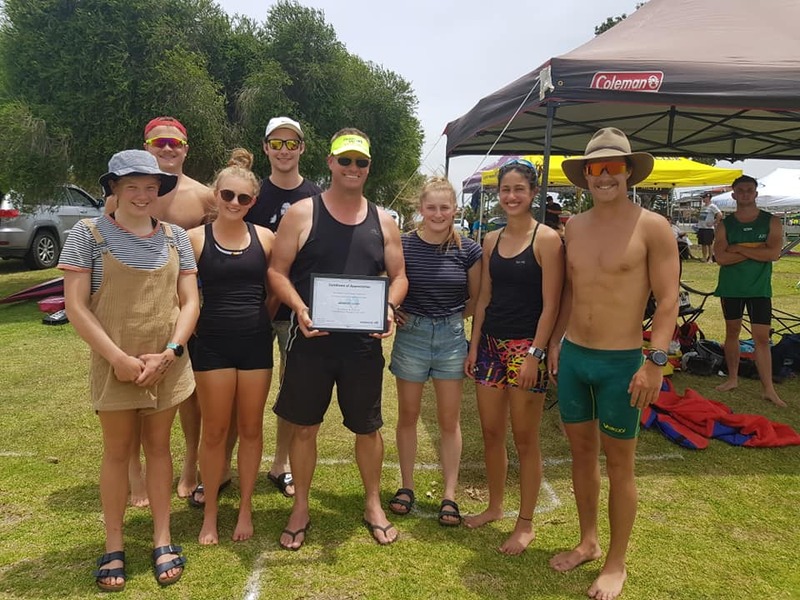 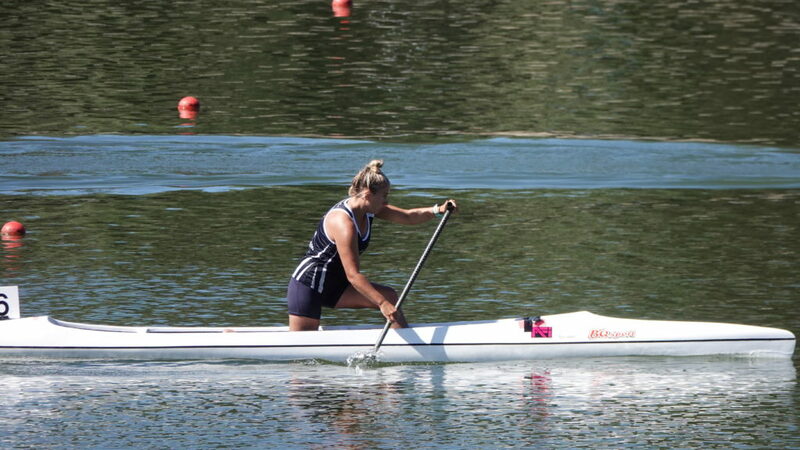 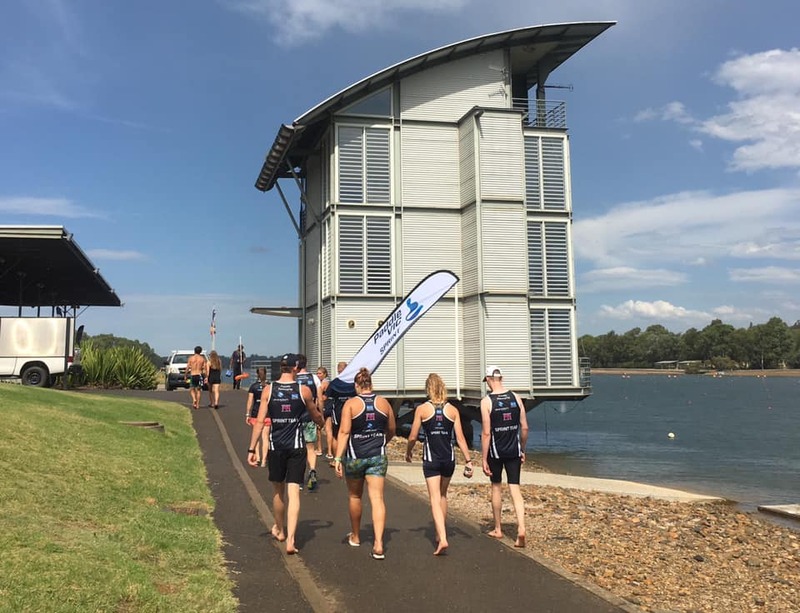 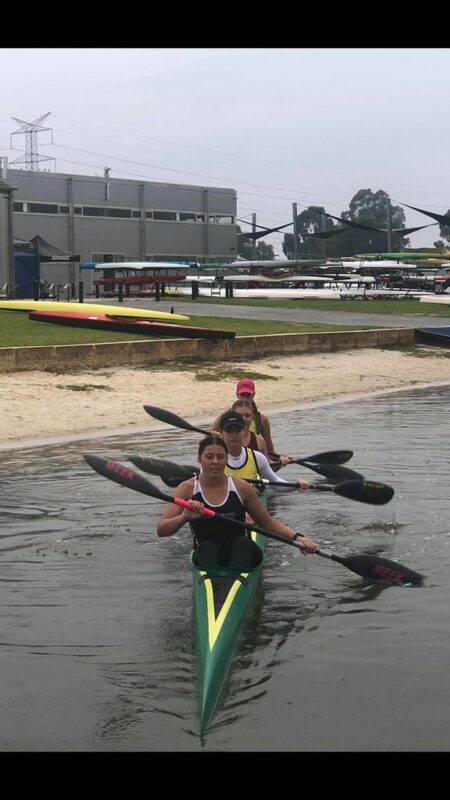 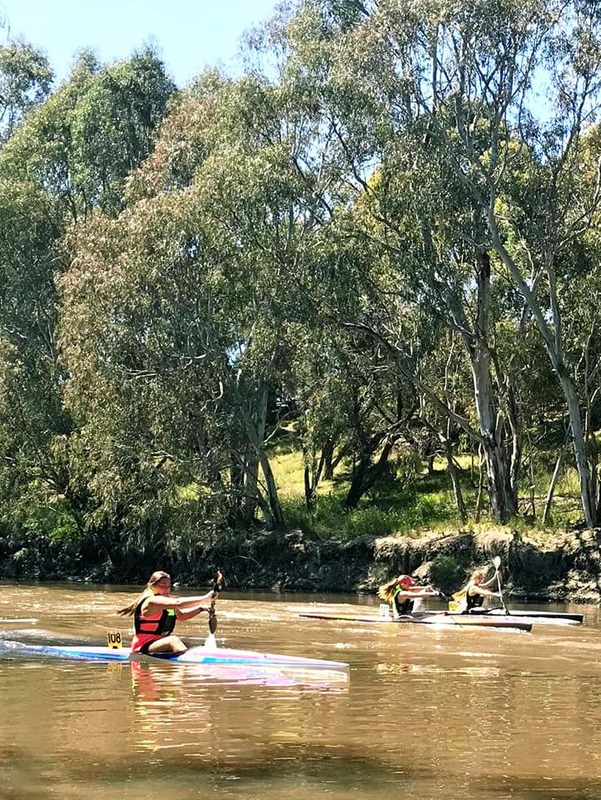 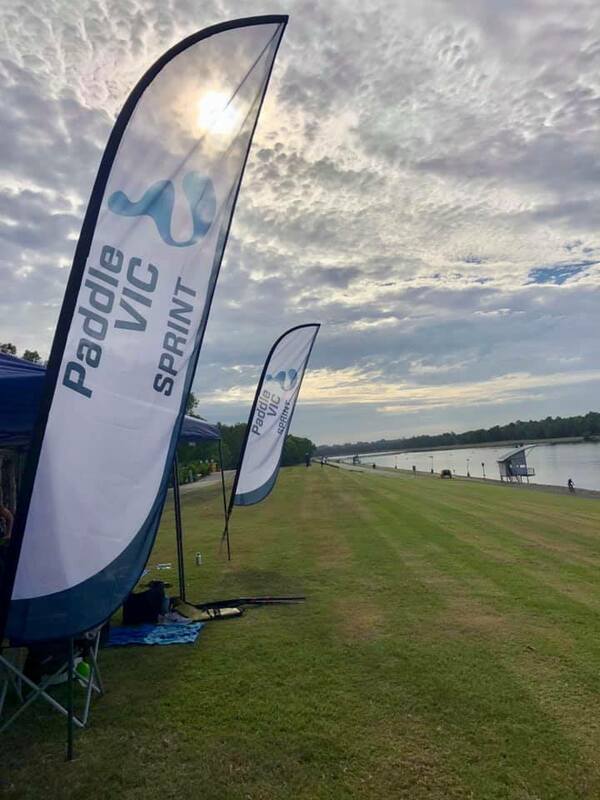 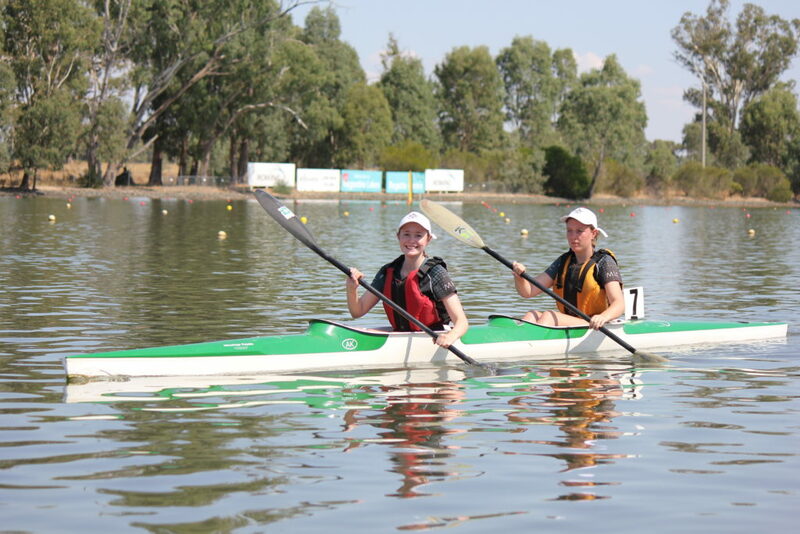 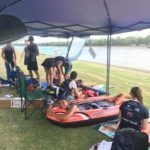 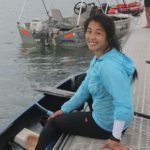 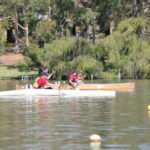 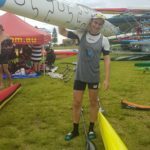 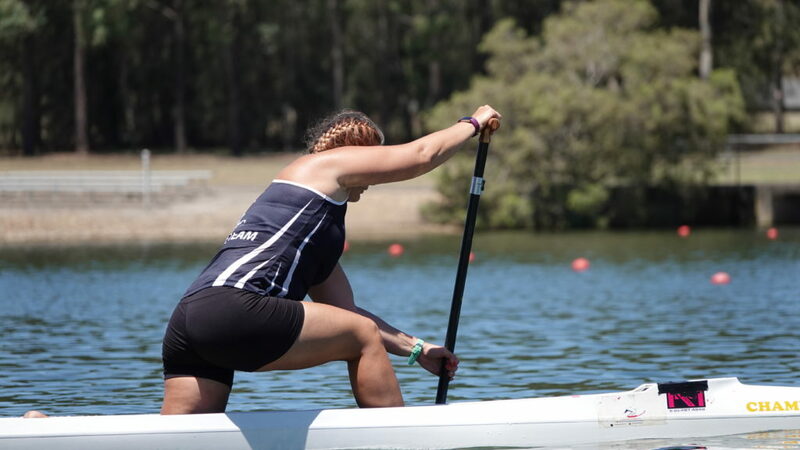 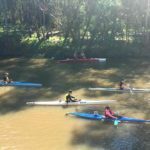 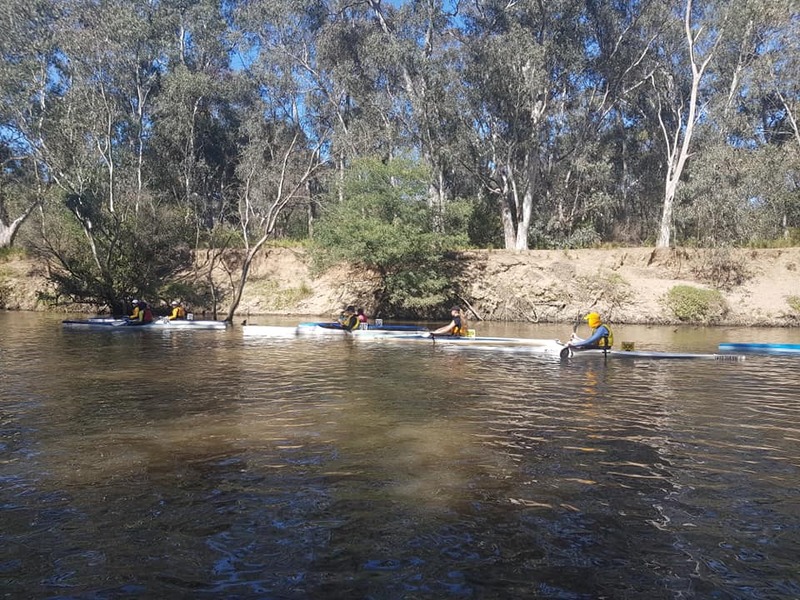 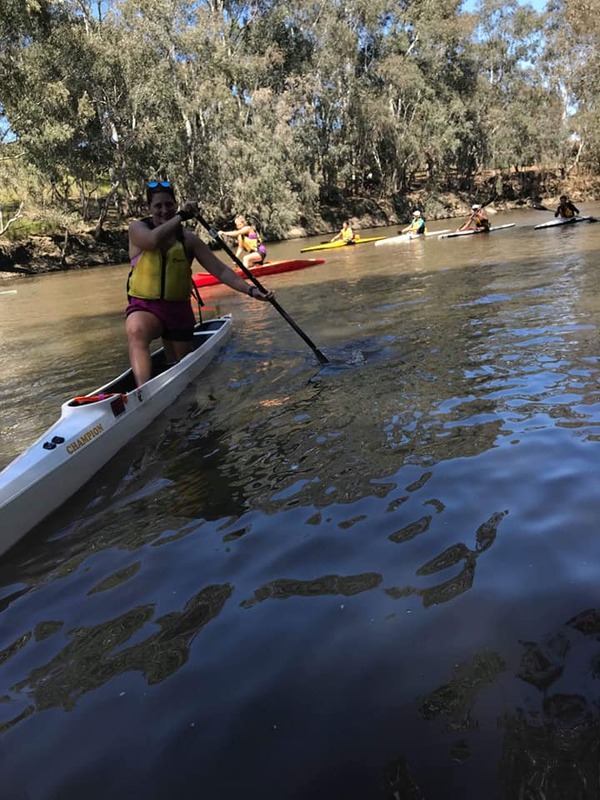 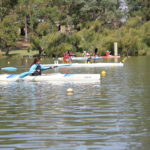 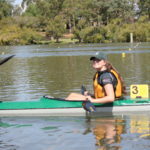 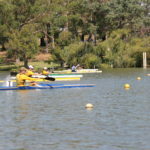 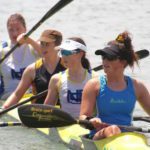 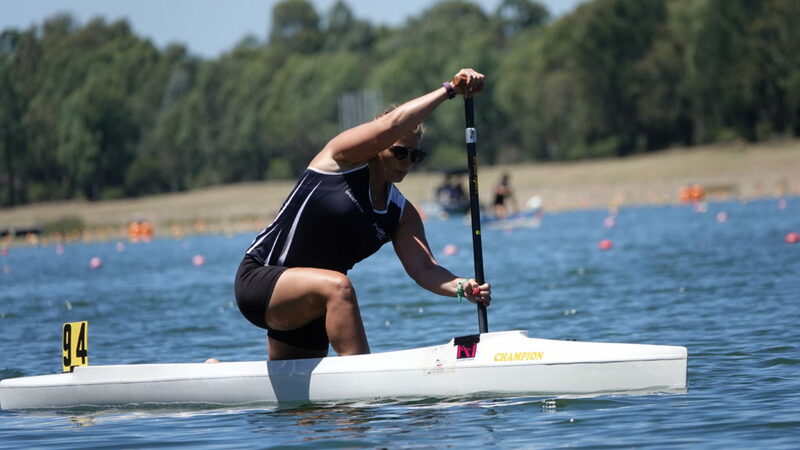 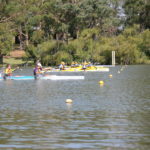 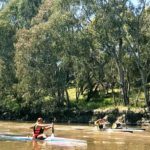 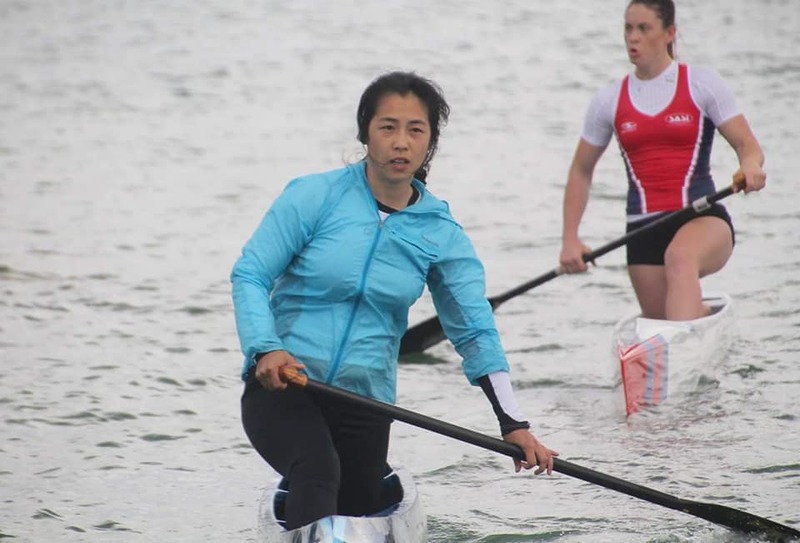 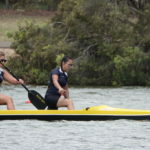 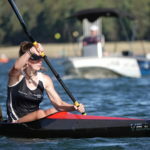 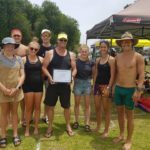 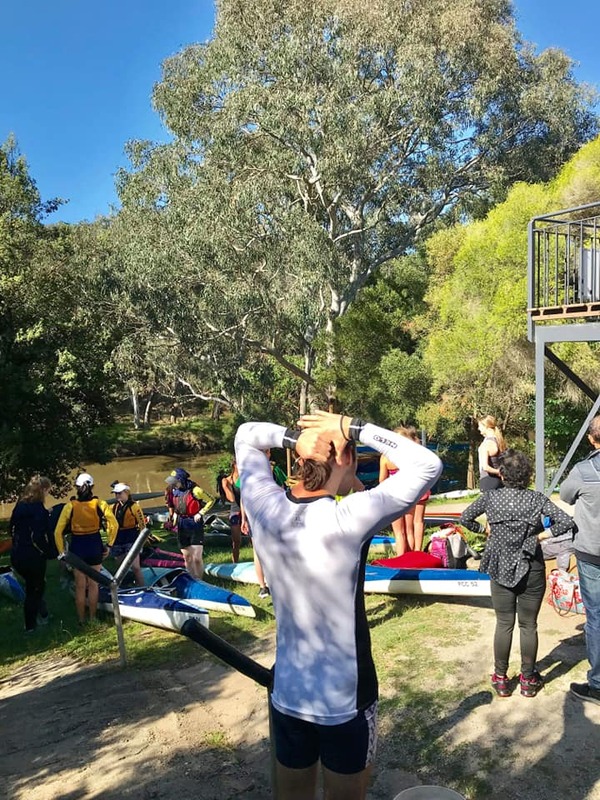 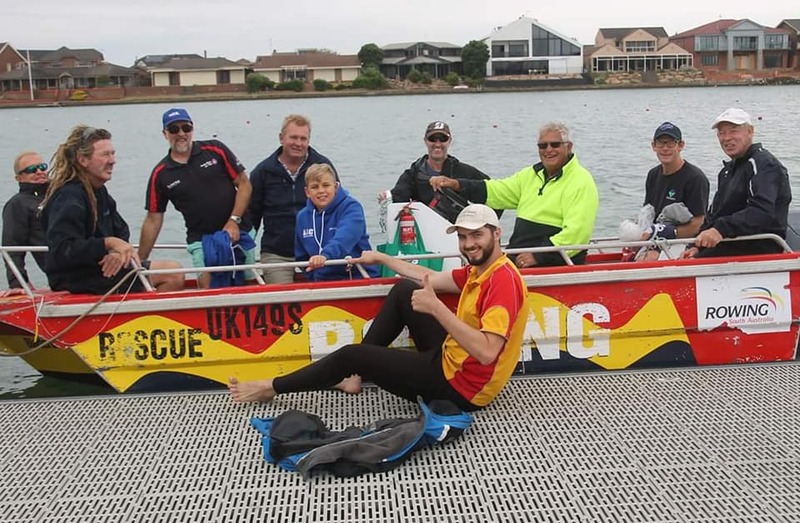 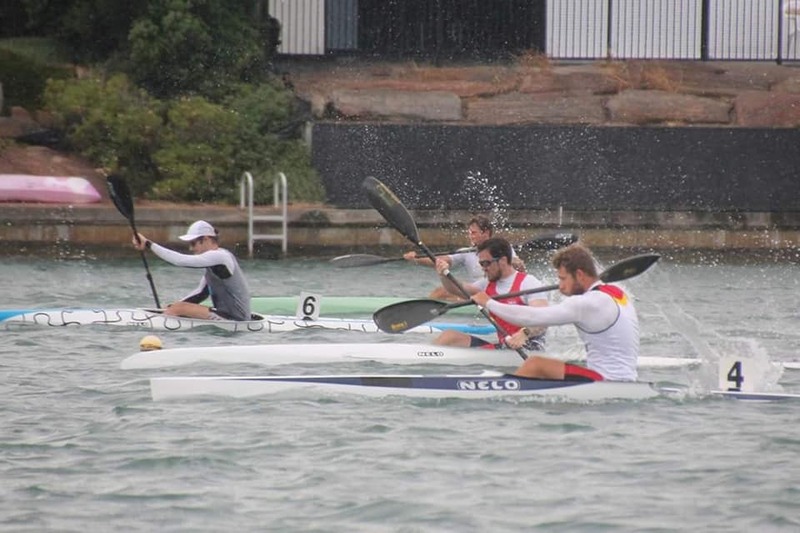 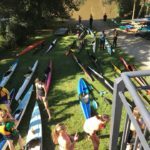 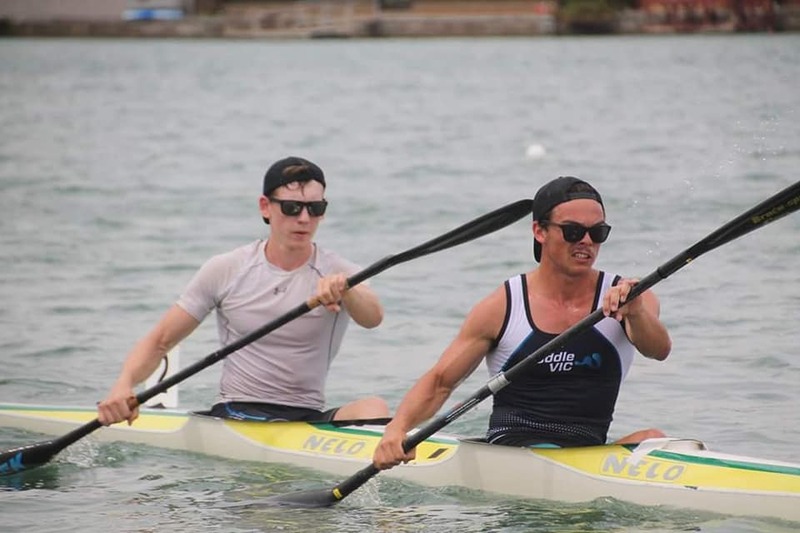 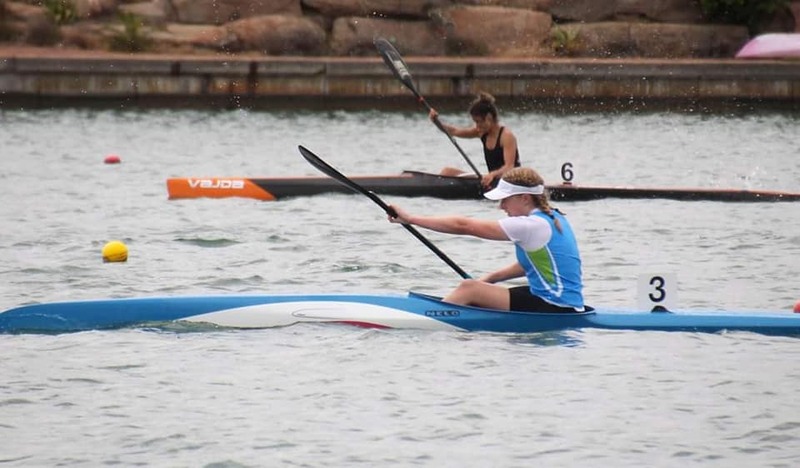 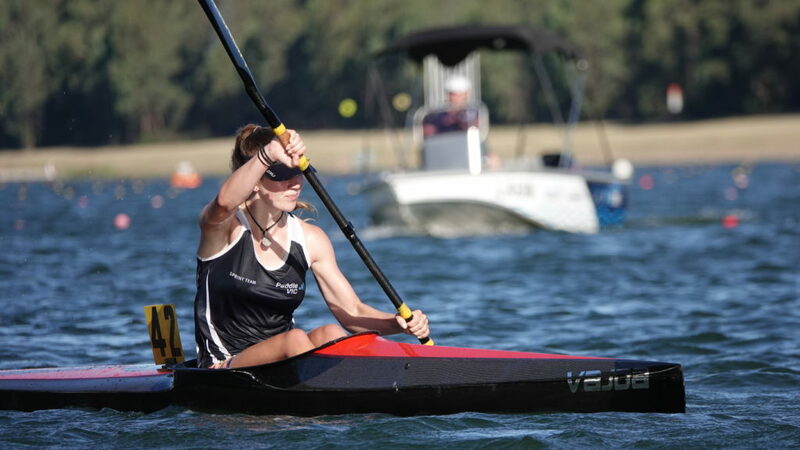 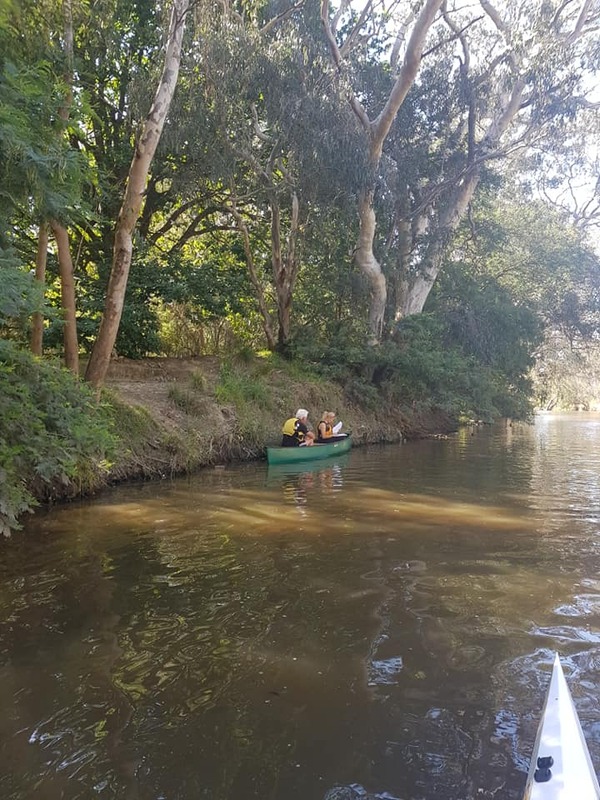 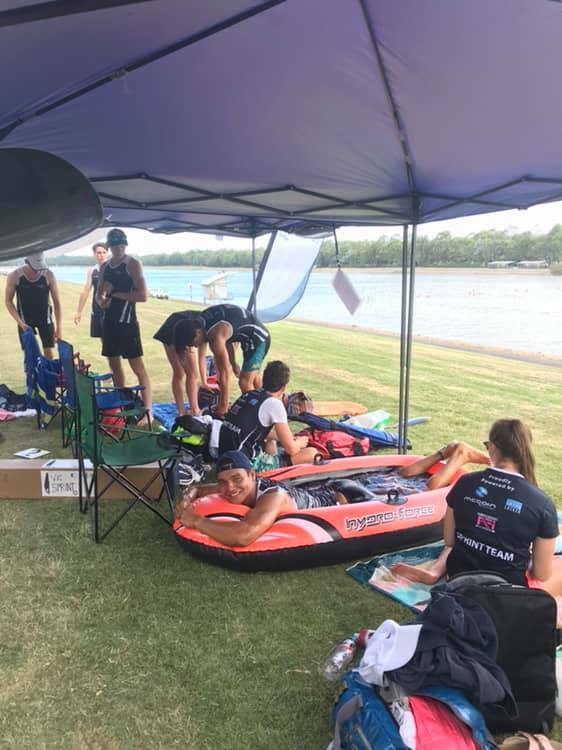 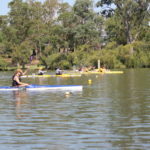 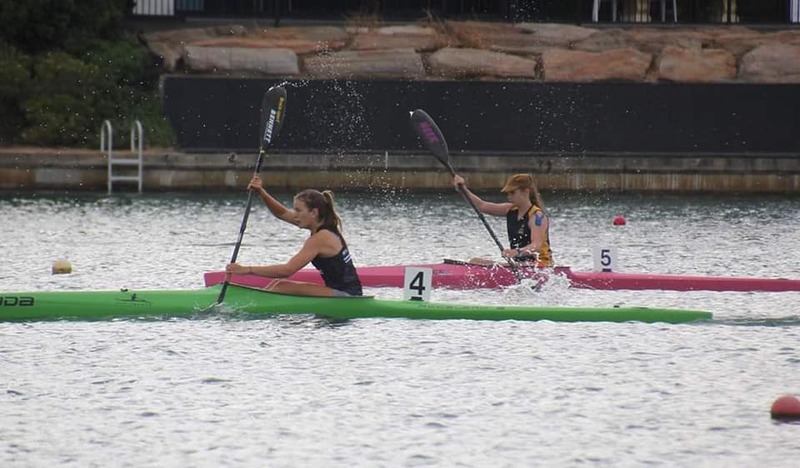 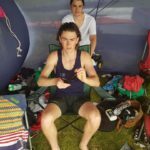 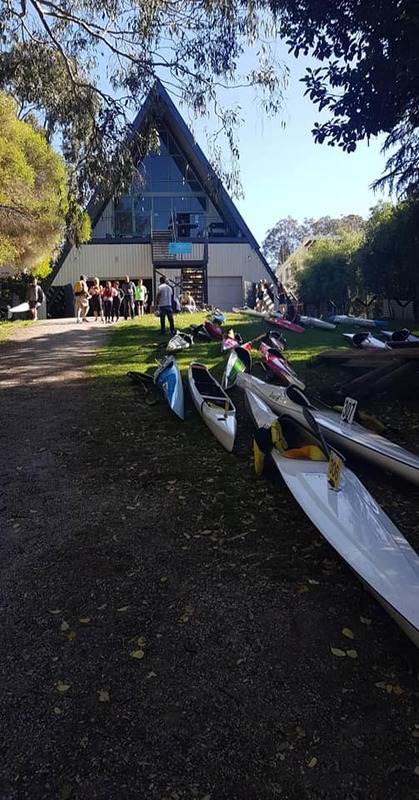 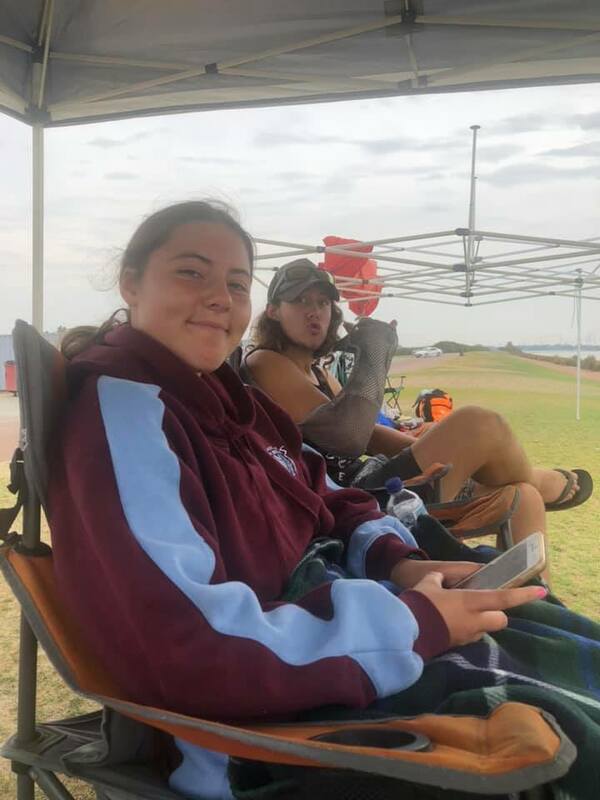 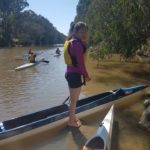 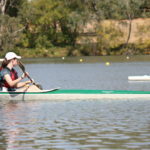 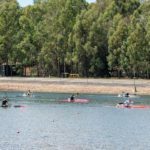 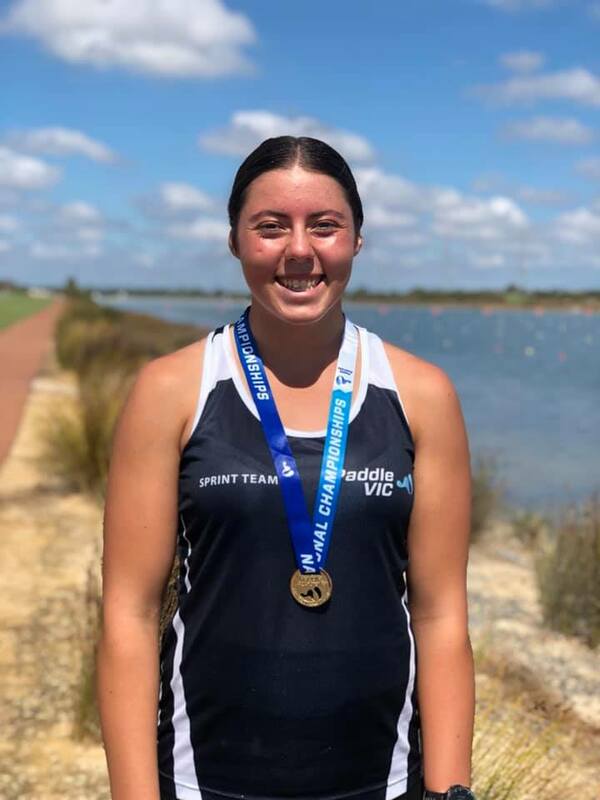 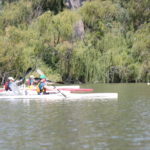 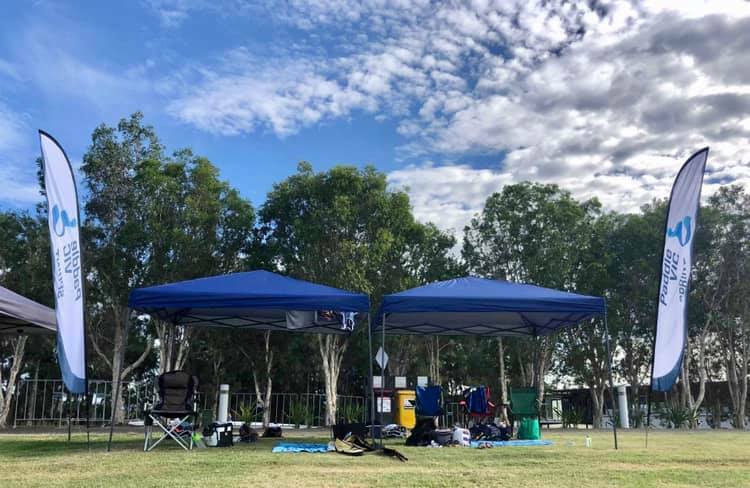 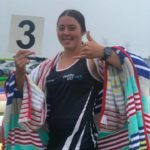 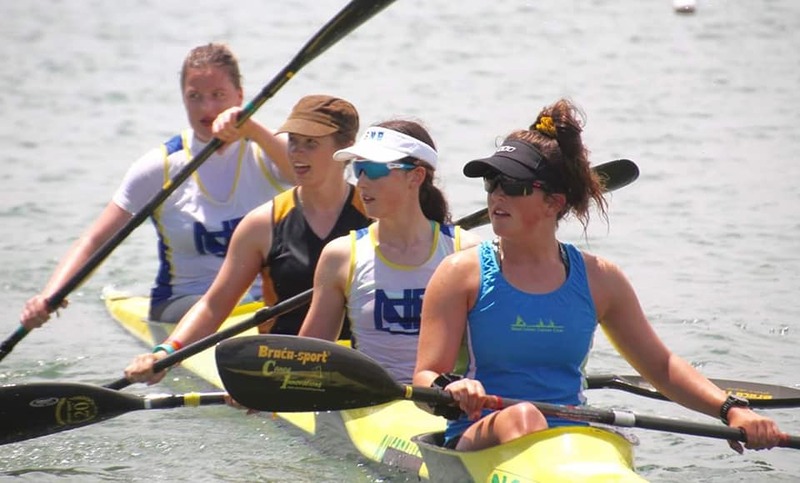 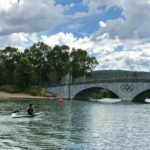 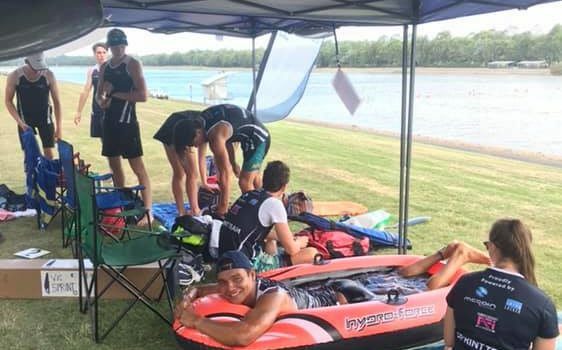 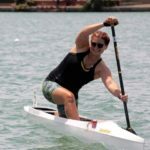 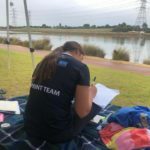 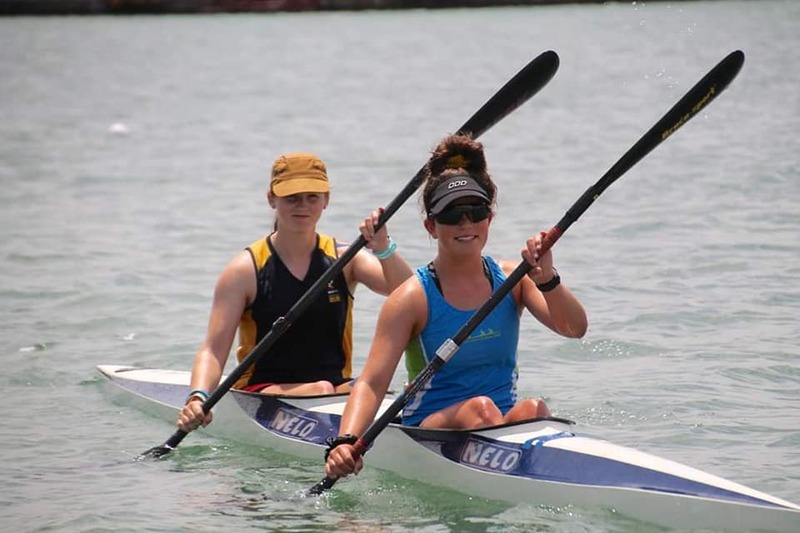 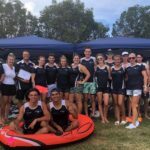 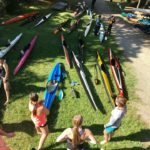 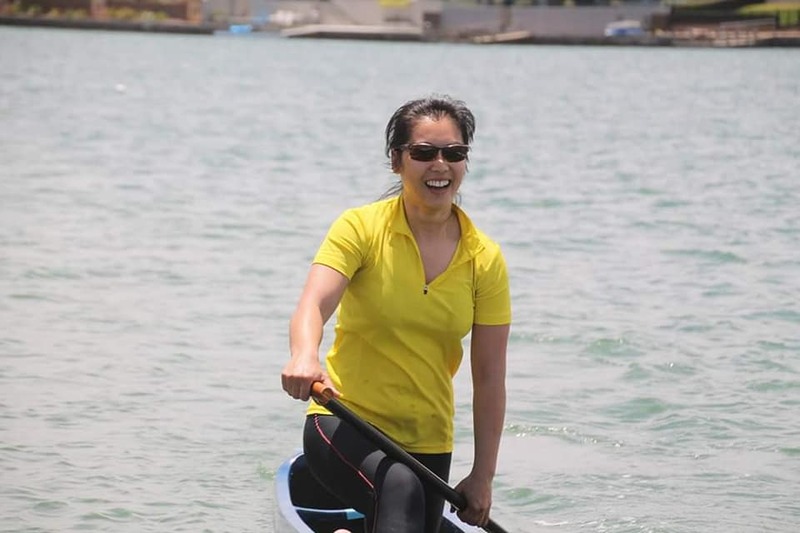 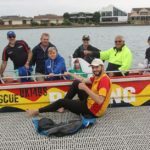 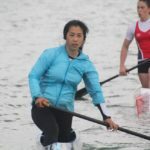 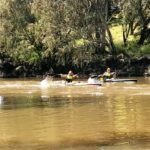 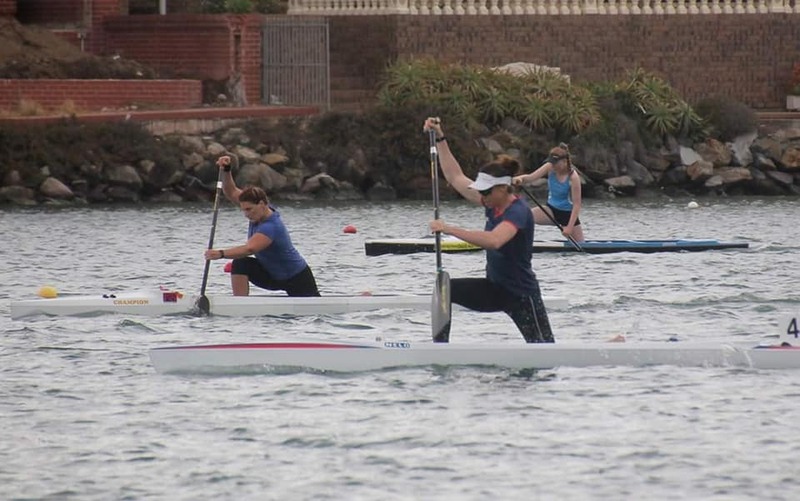 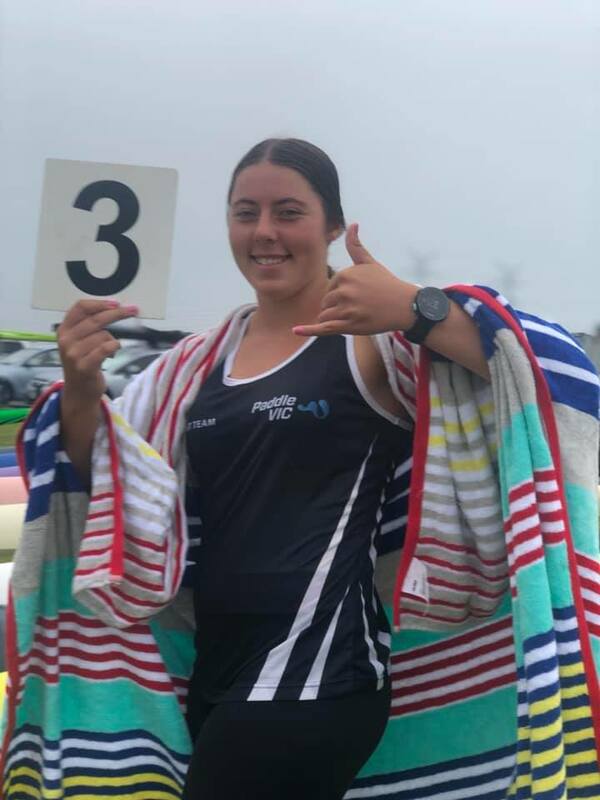 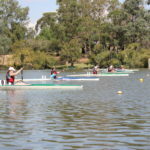 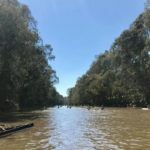 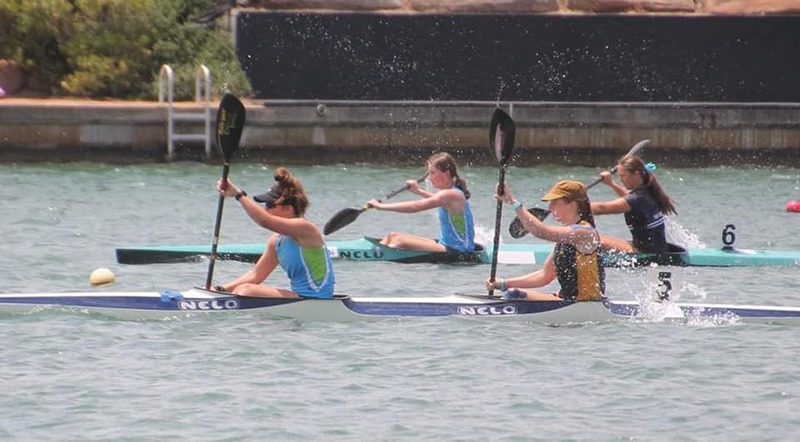 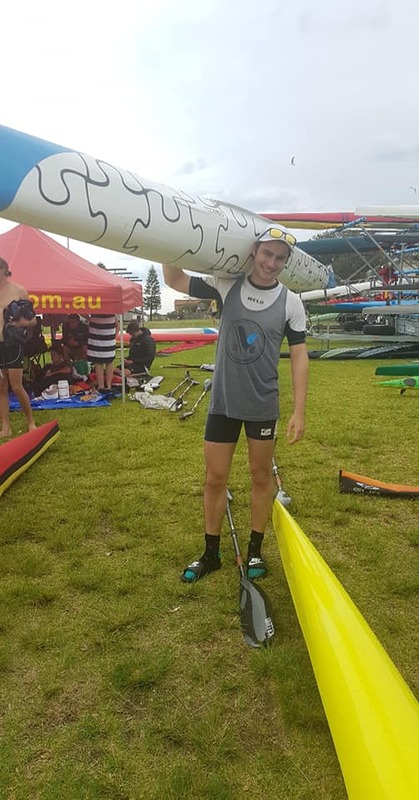 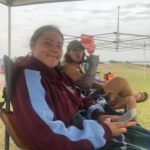 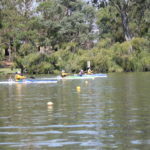 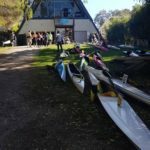 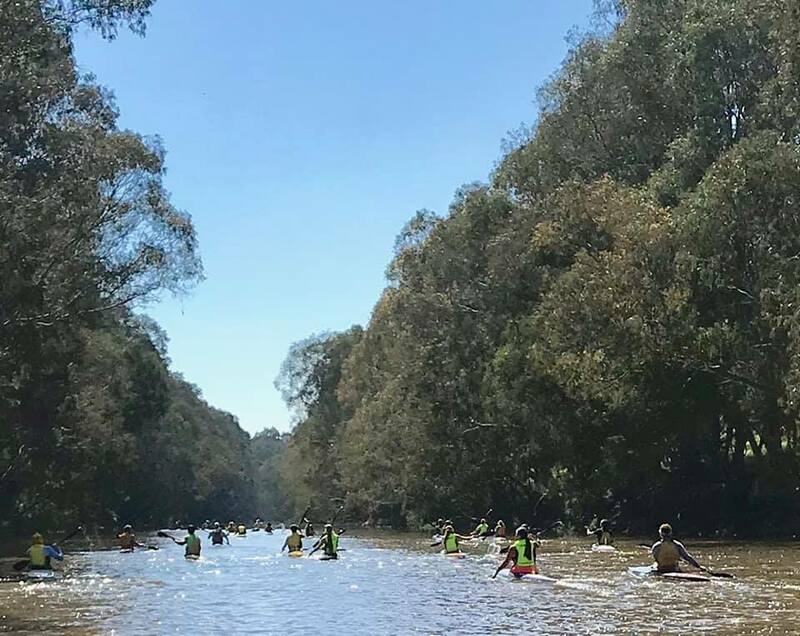 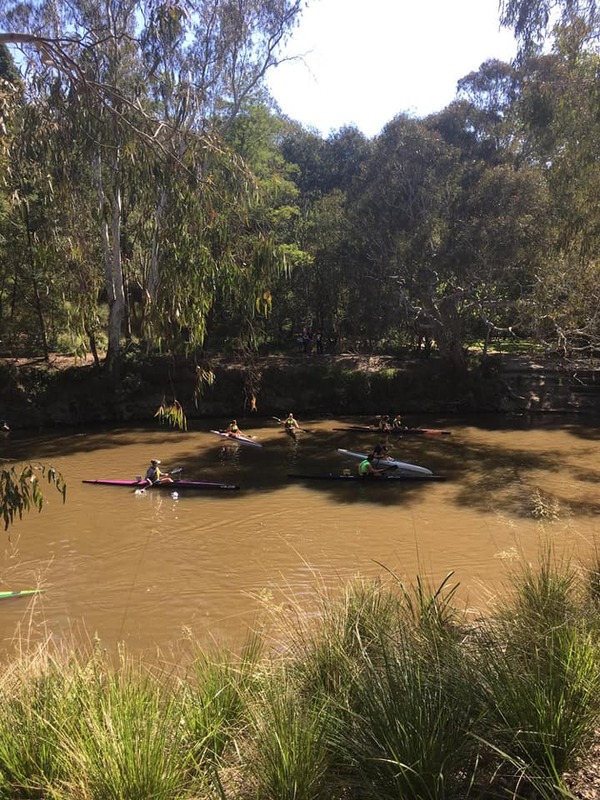 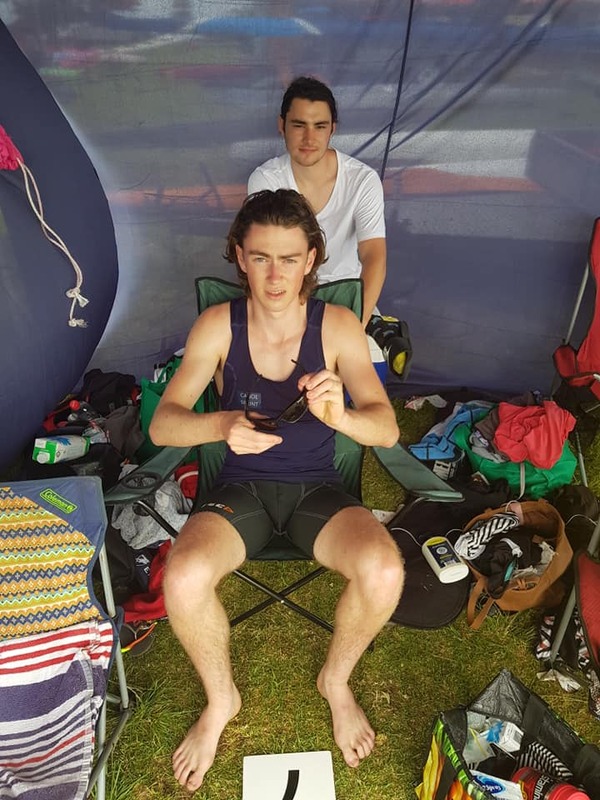 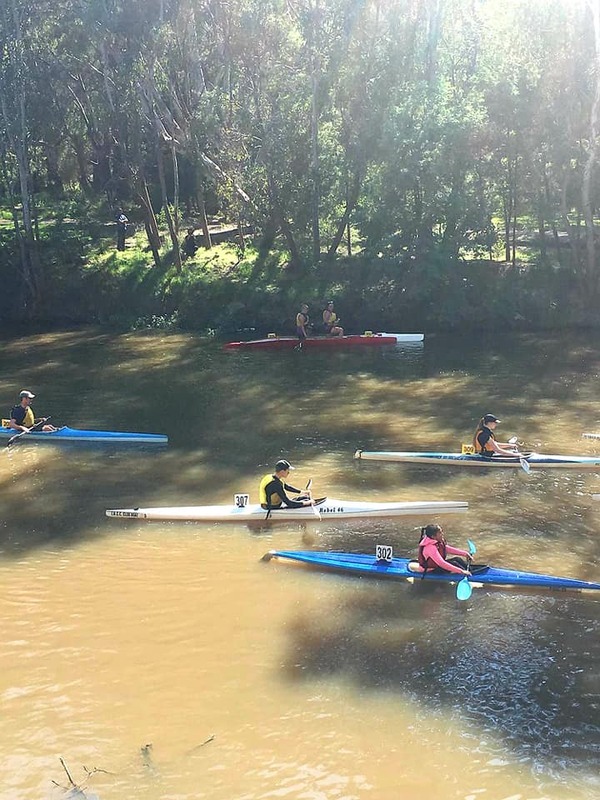 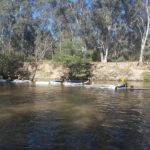 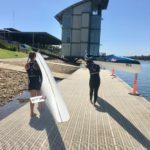 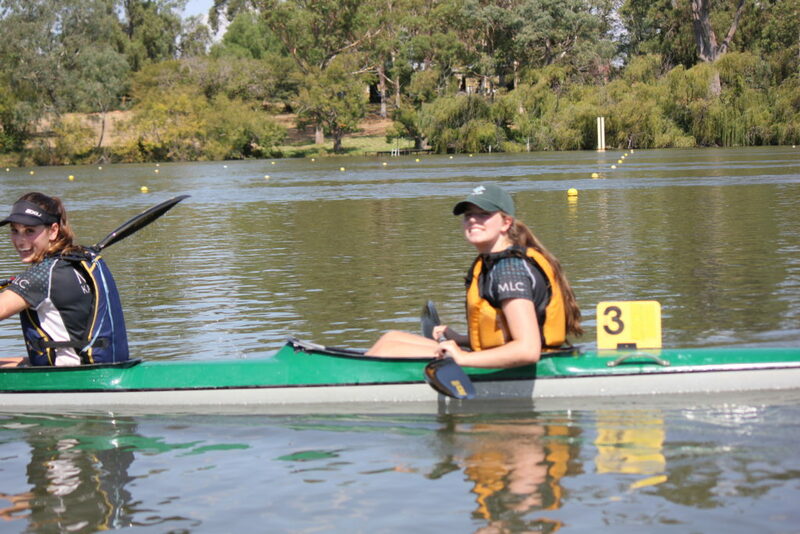 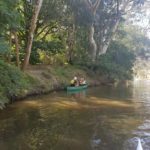 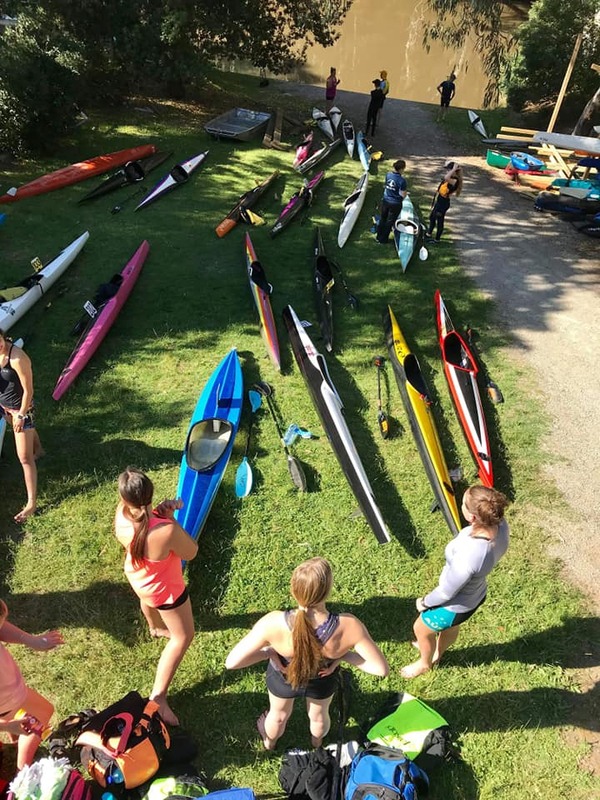 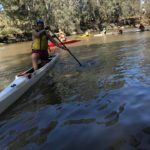 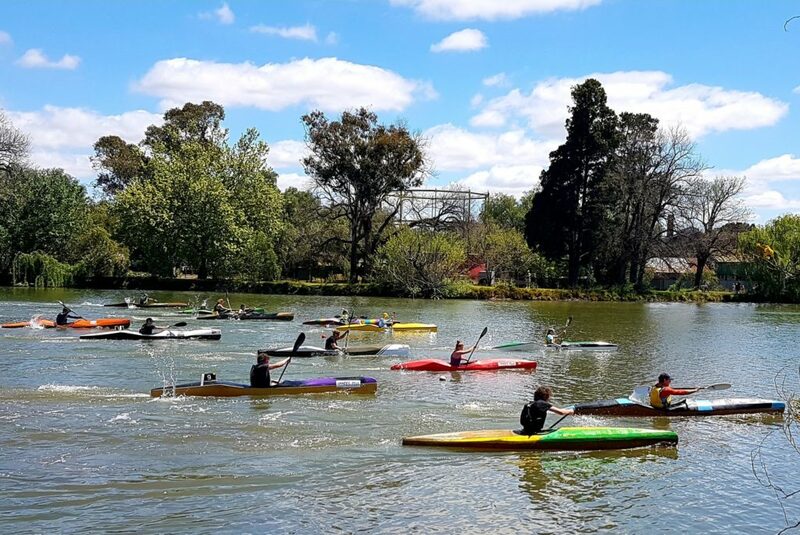 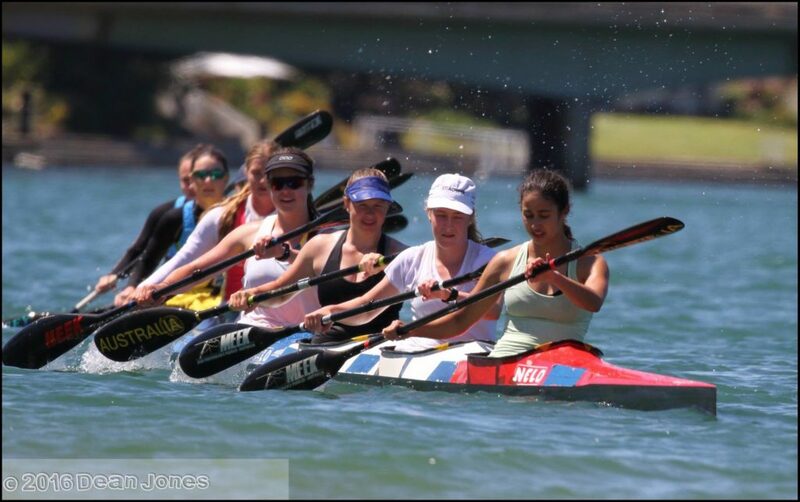 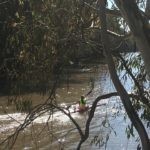 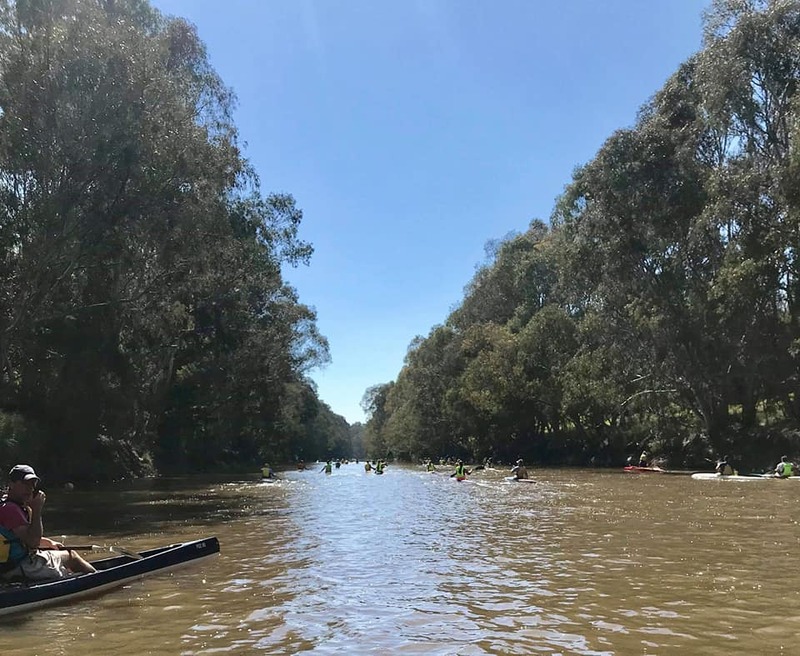 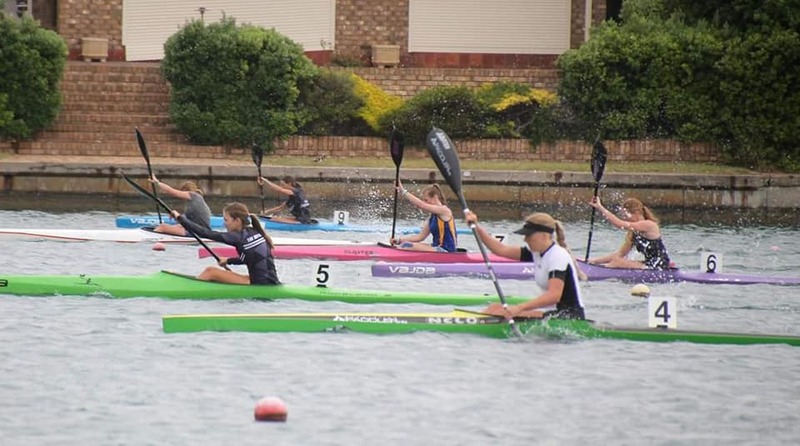 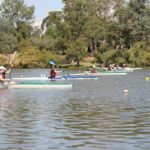 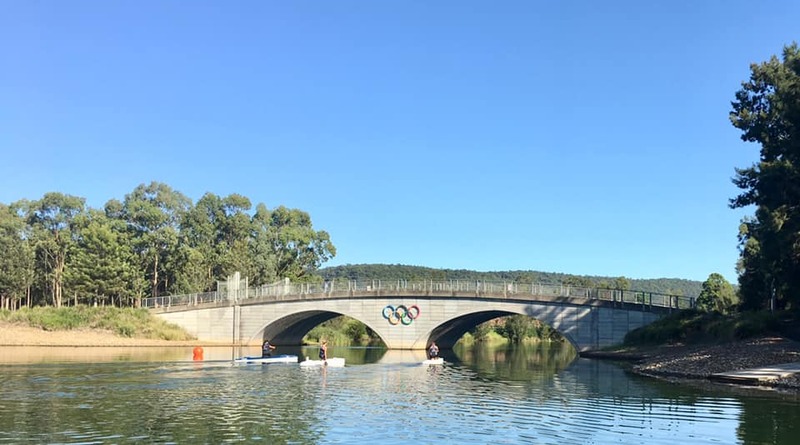 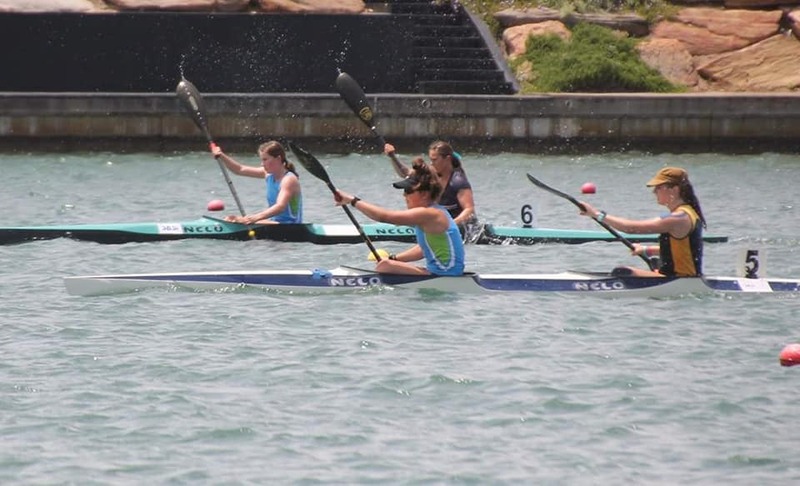 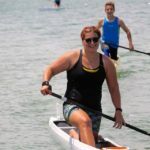 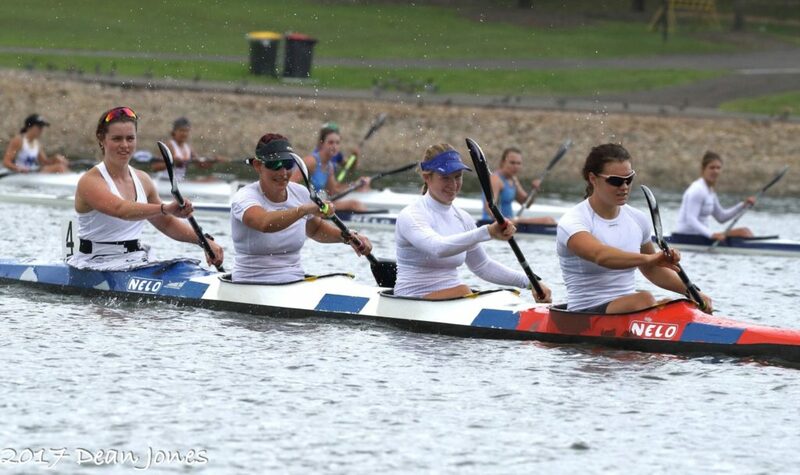 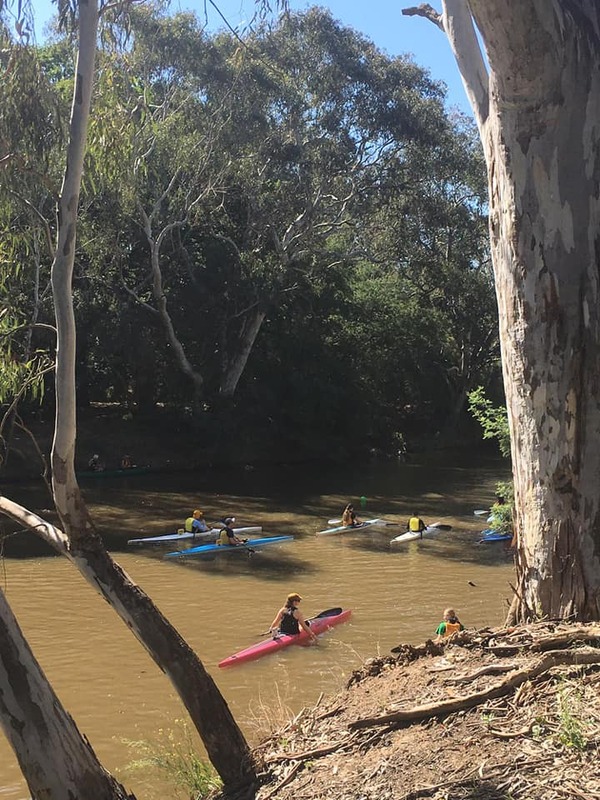 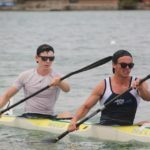 Canoeing Victoria has many affiliated clubs who specialise in sprint paddling and have club coaches and boats available for their members to use when building their skills. 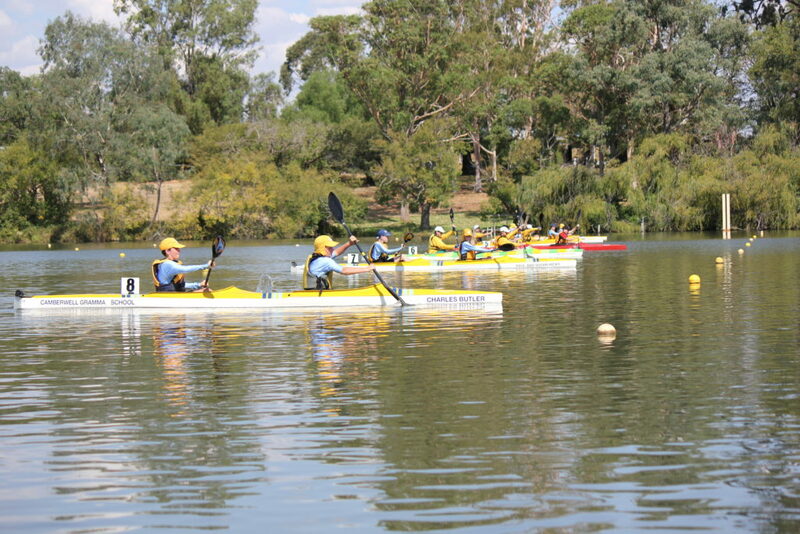 For more information, contact the clubs directly. 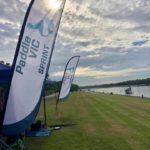 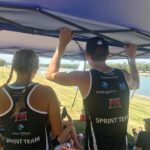 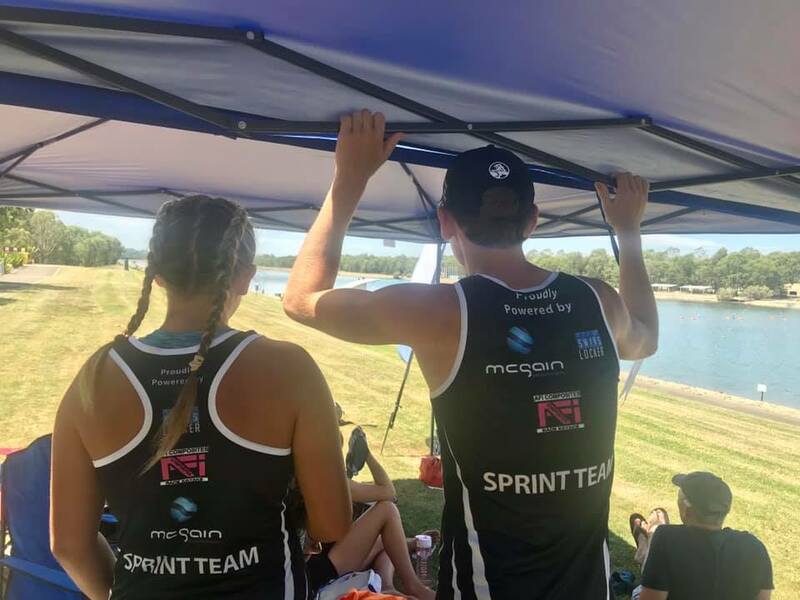 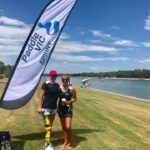 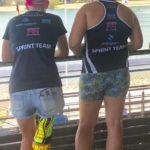 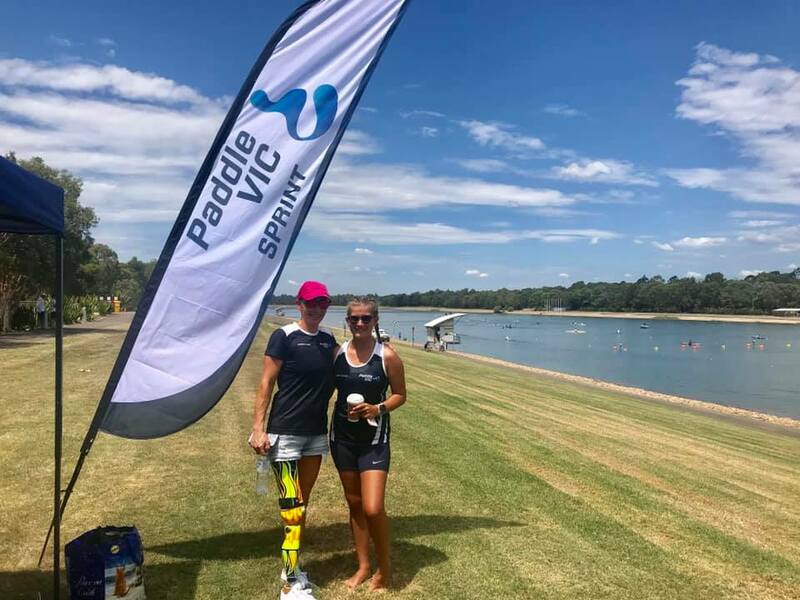 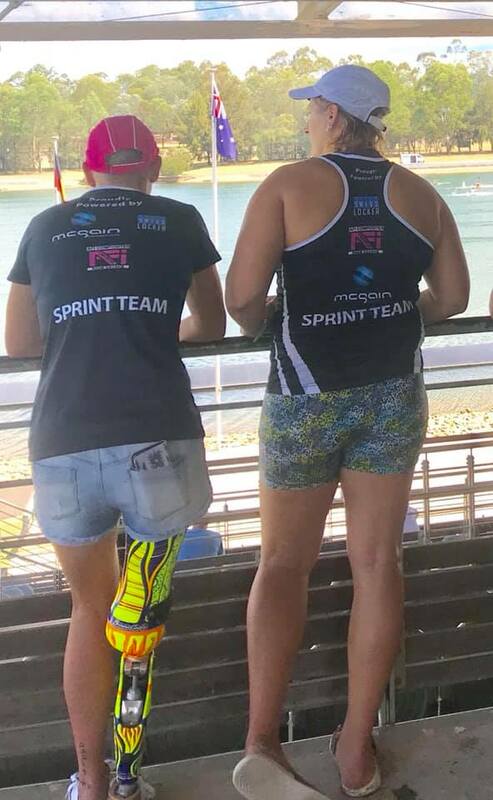 A list of clubs who support sprint paddling can be found here.